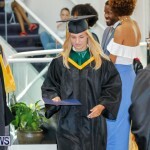 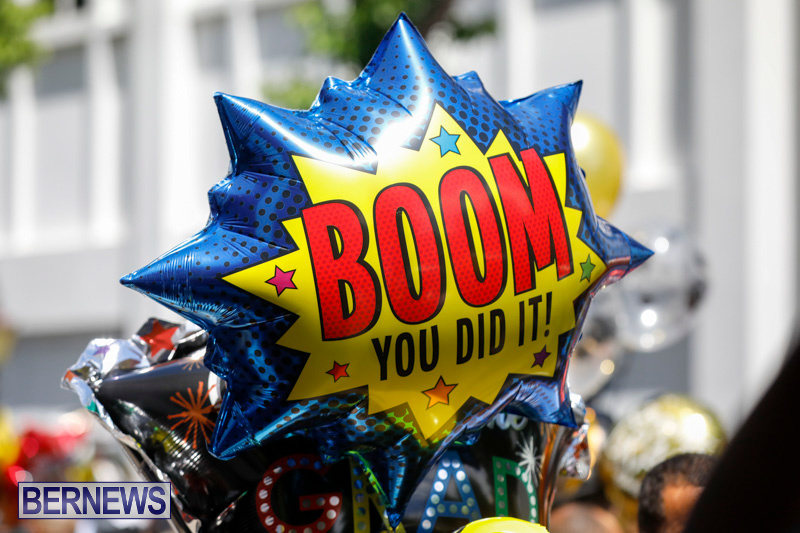 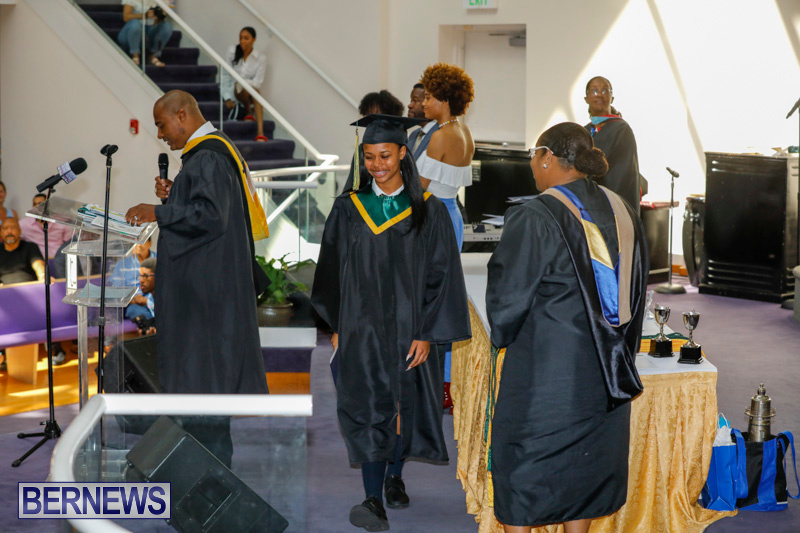 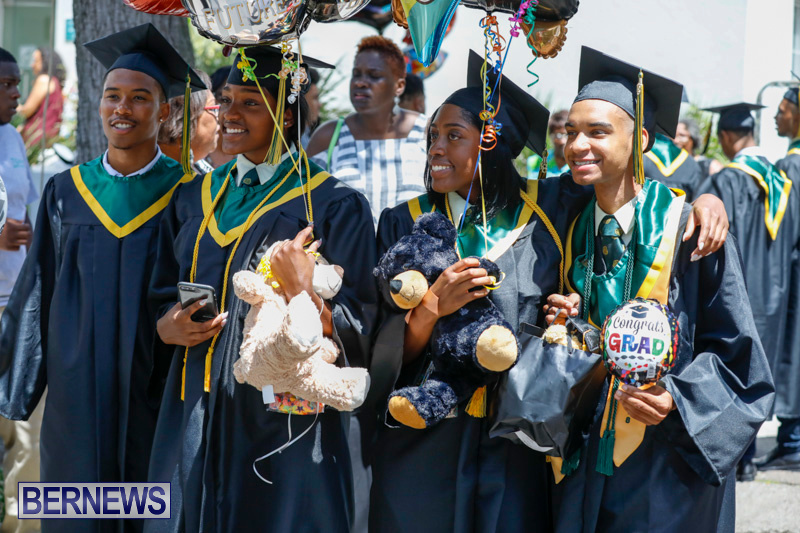 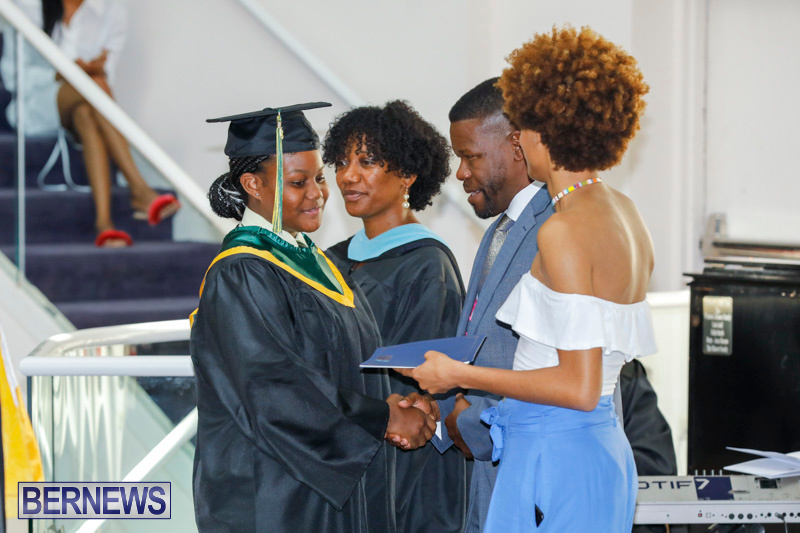 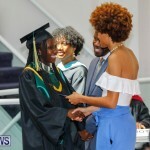 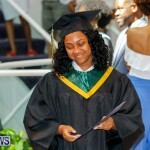 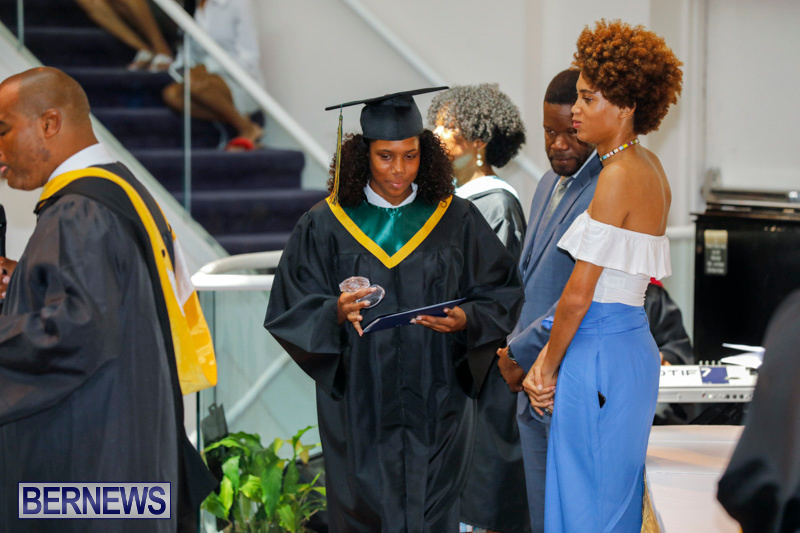 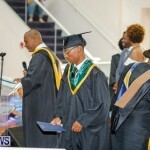 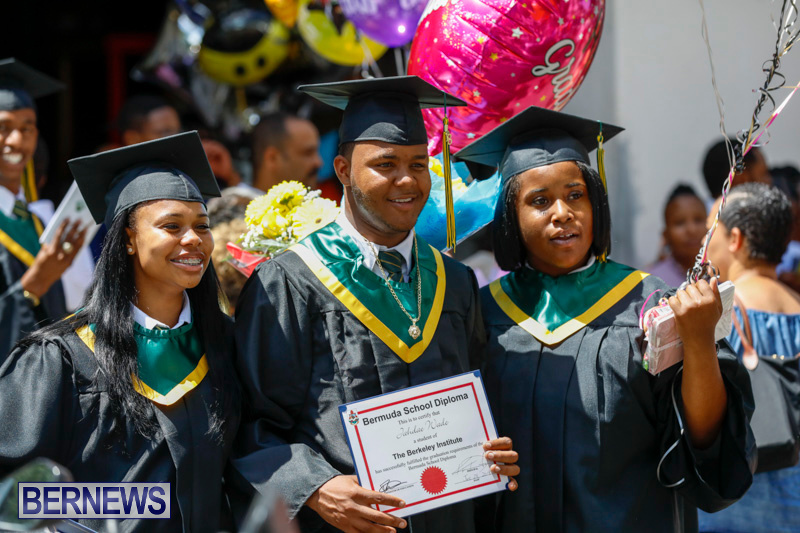 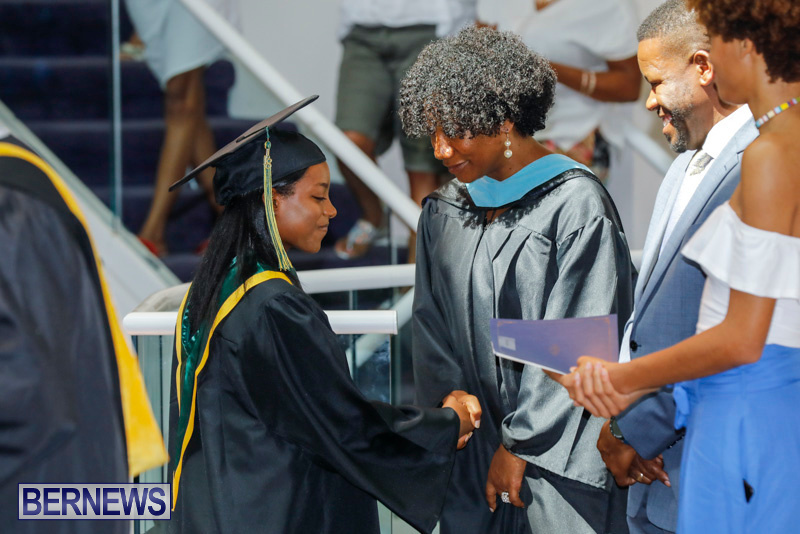 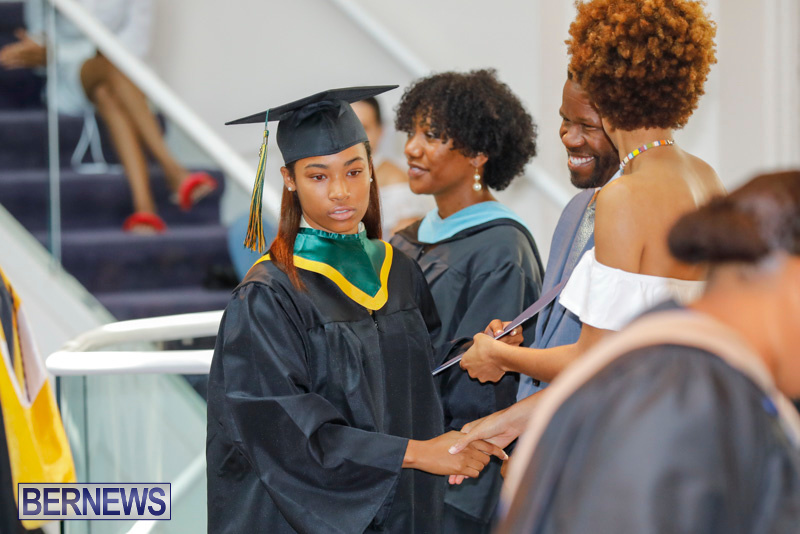 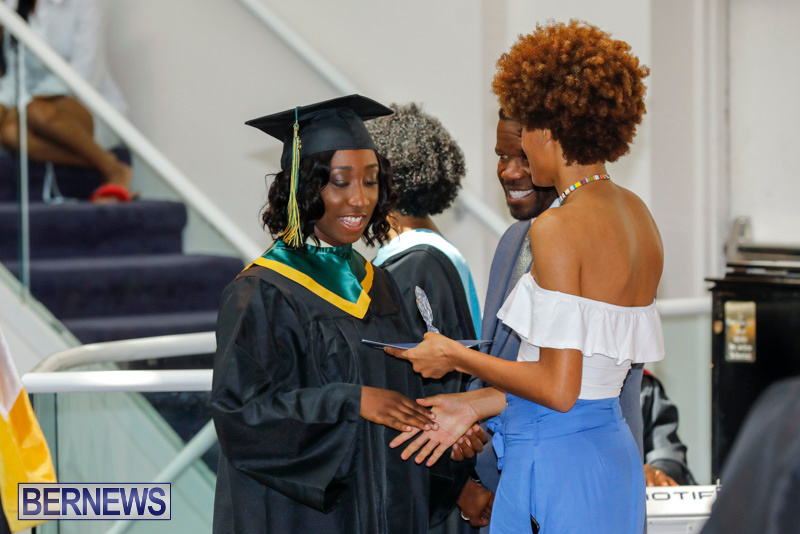 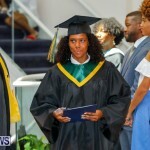 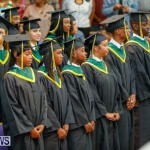 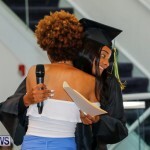 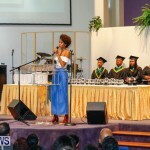 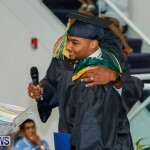 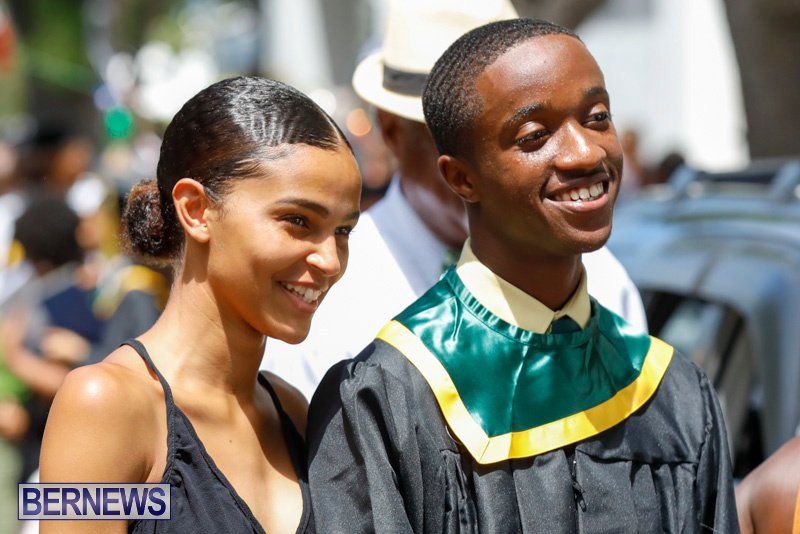 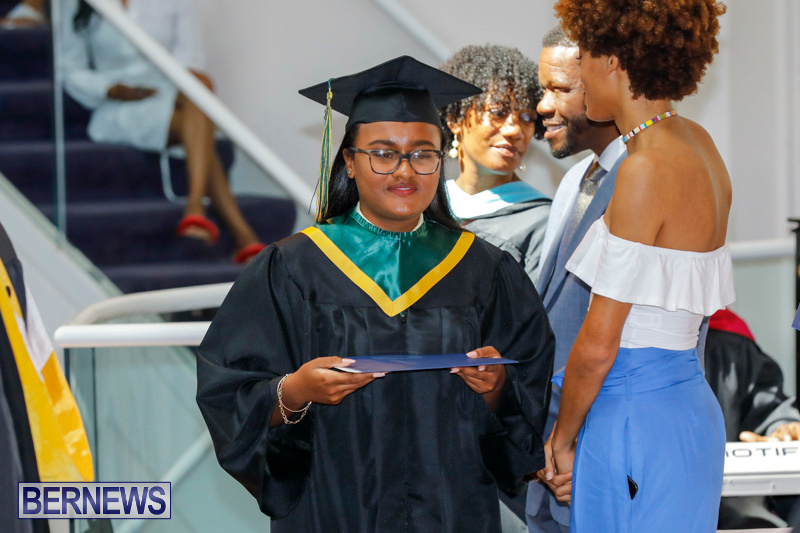 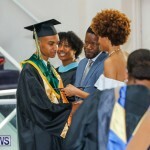 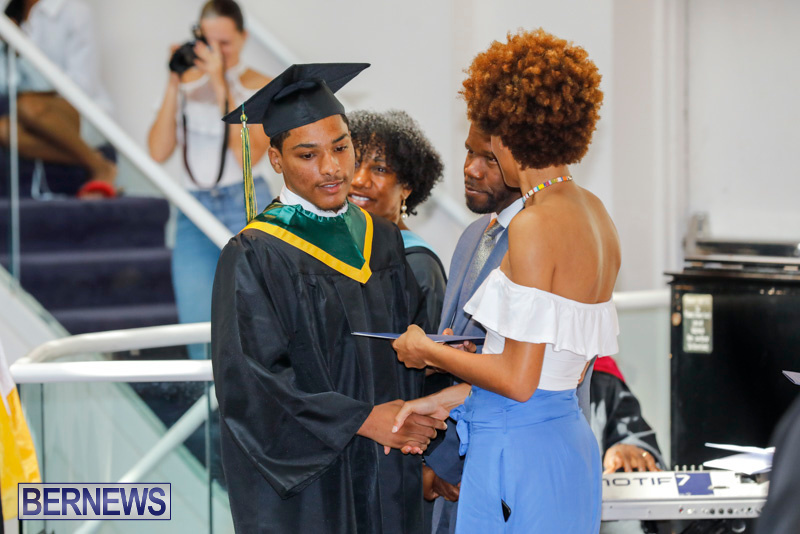 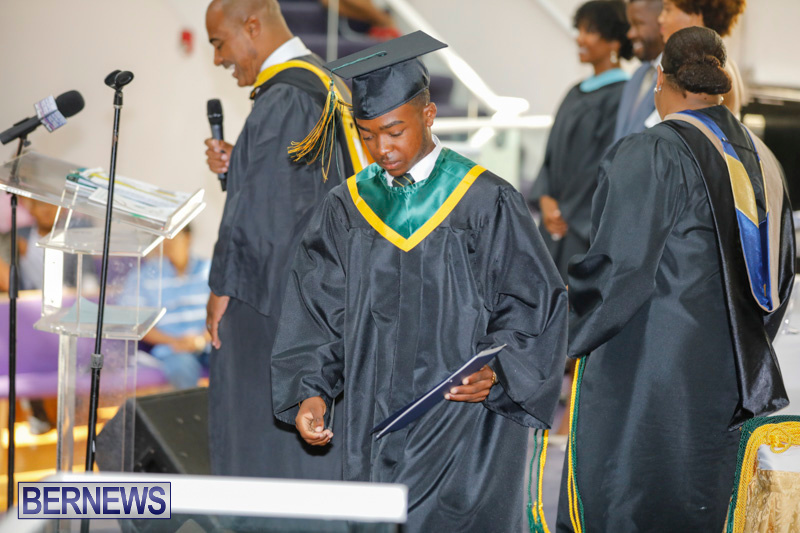 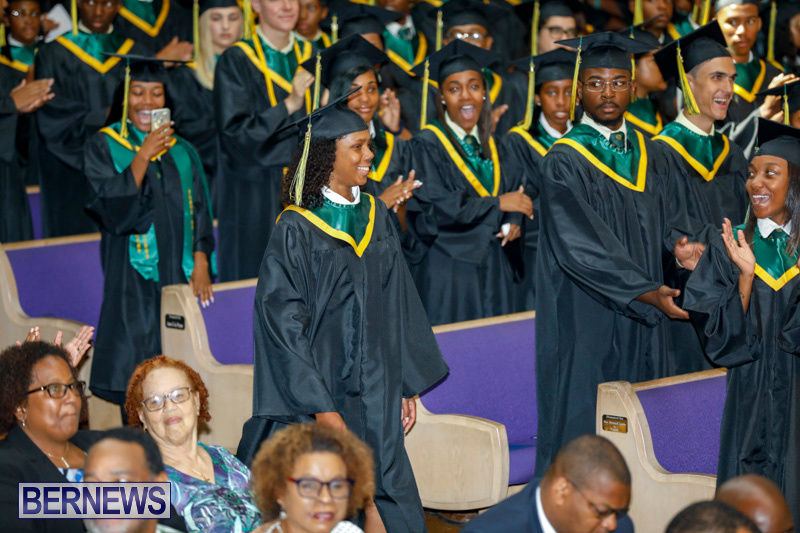 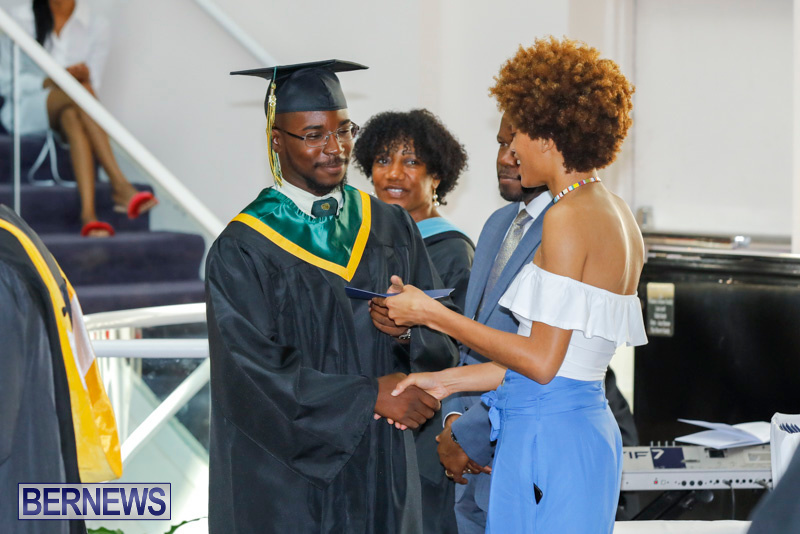 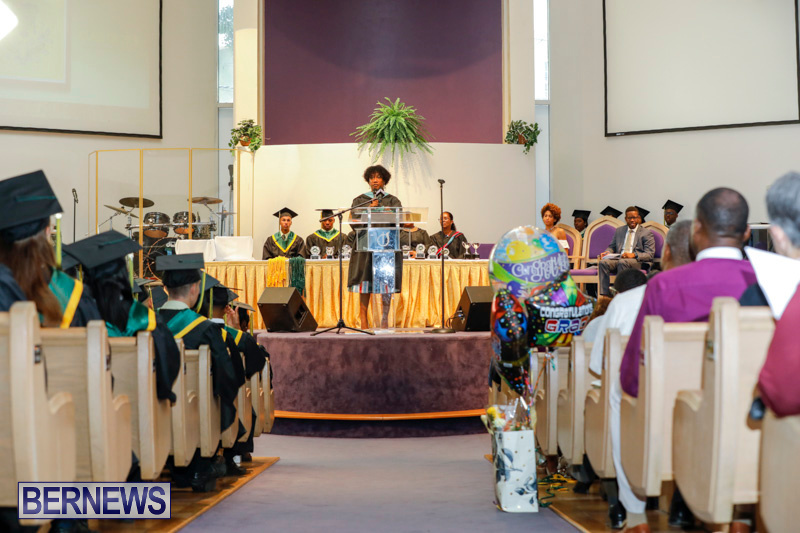 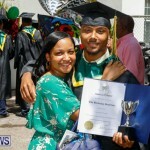 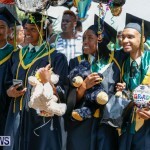 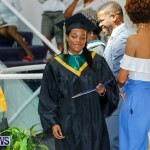 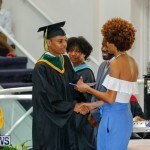 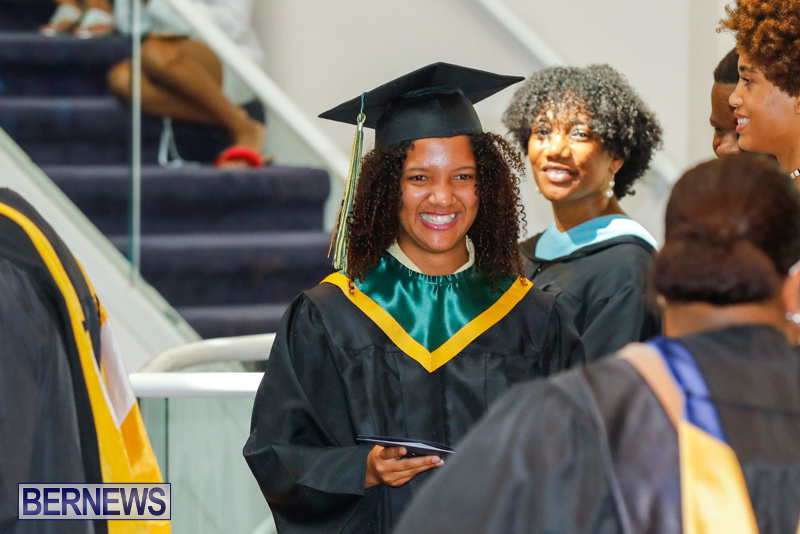 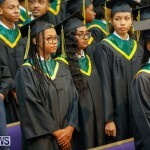 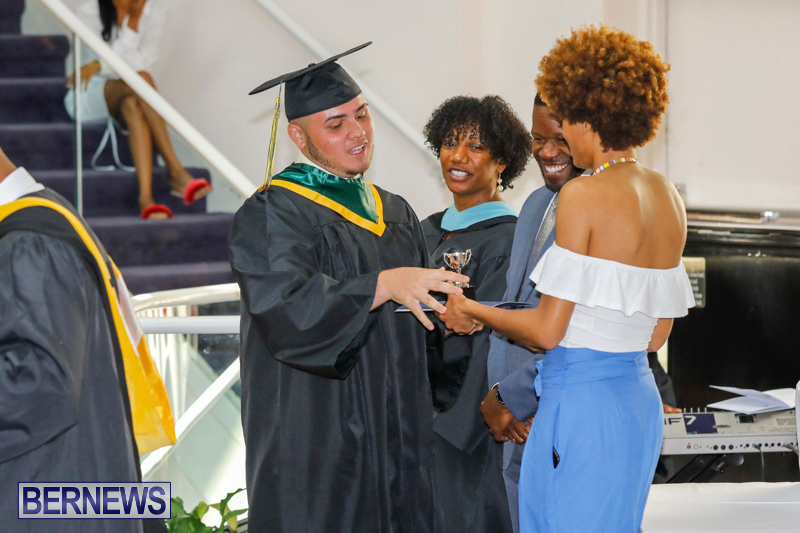 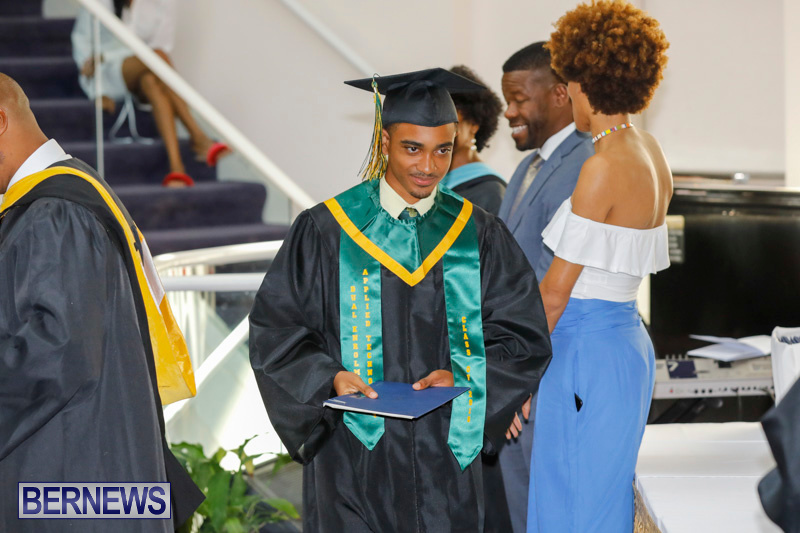 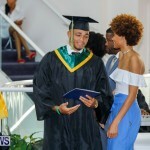 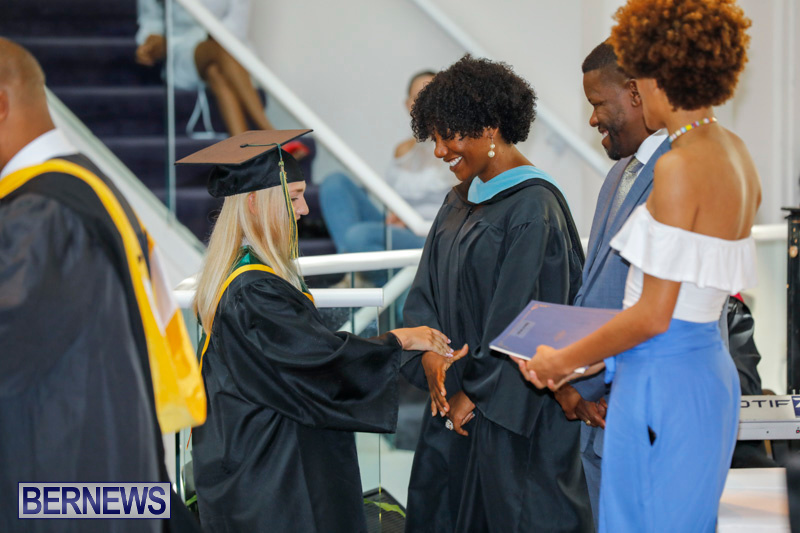 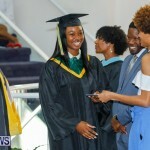 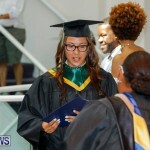 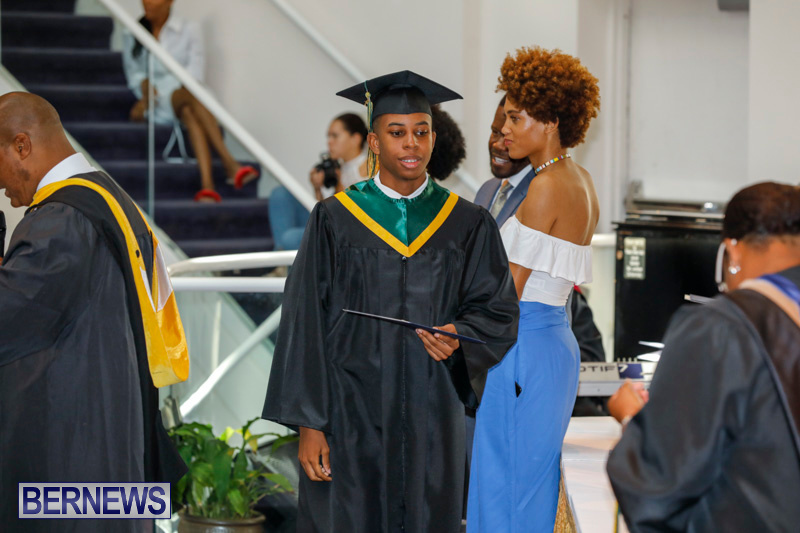 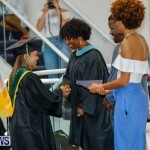 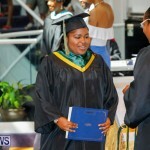 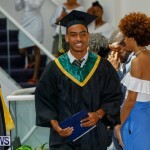 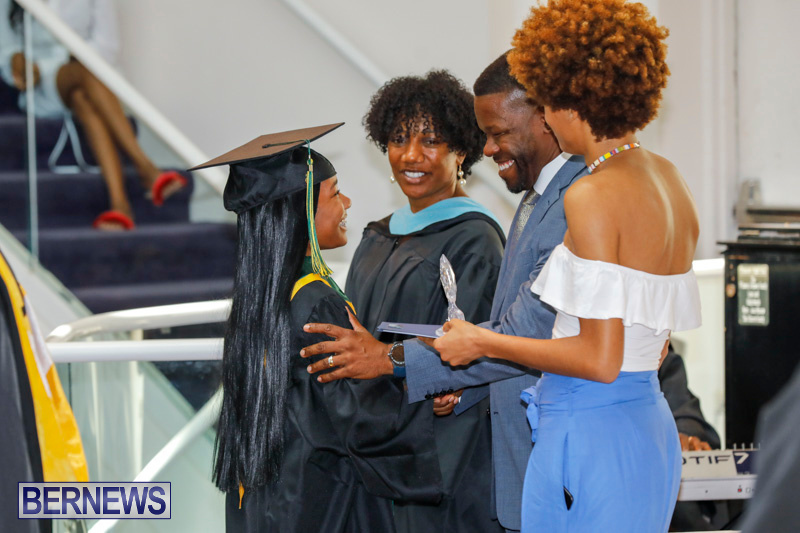 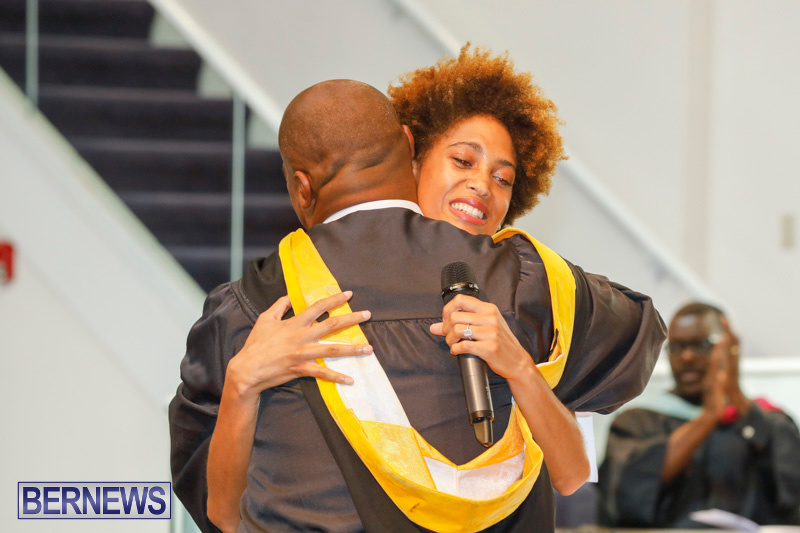 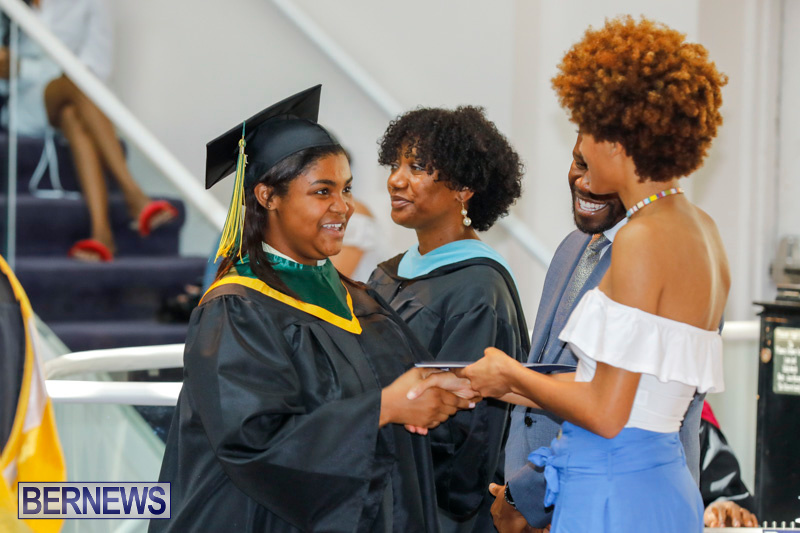 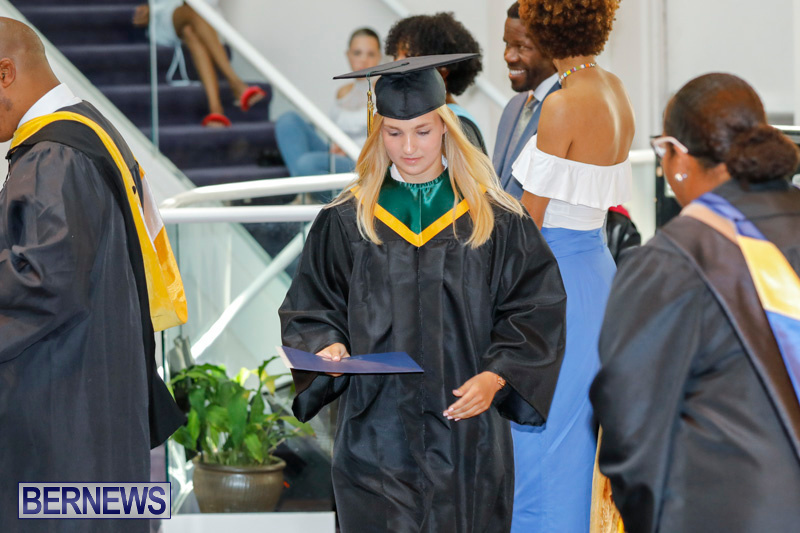 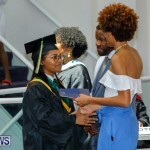 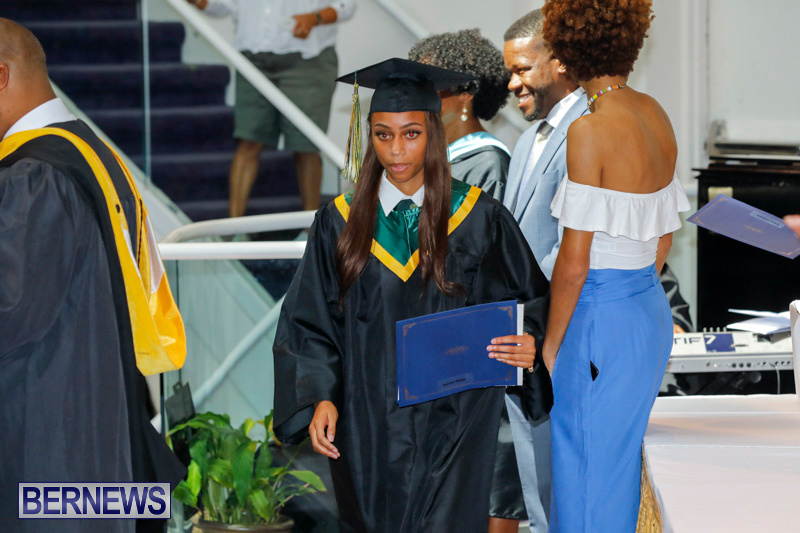 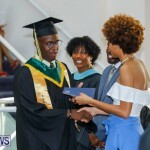 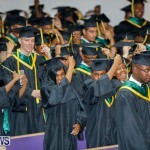 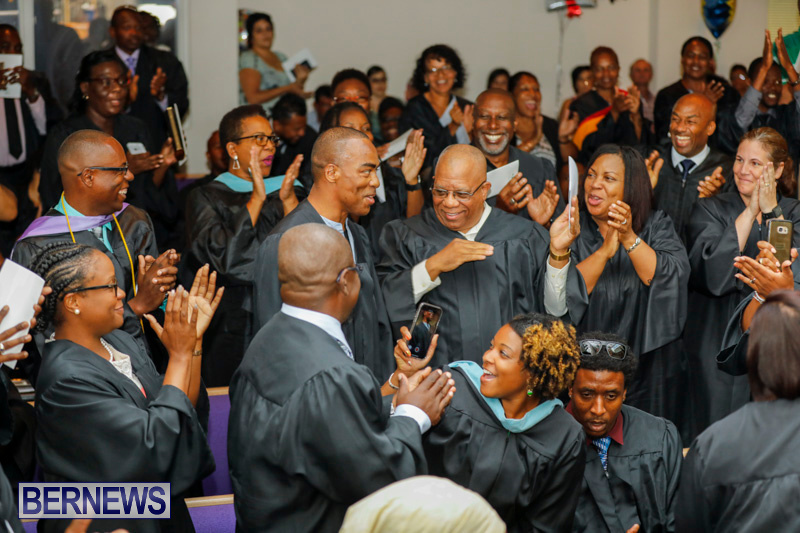 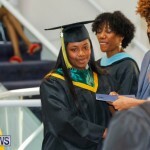 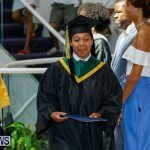 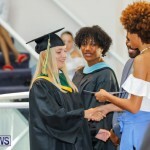 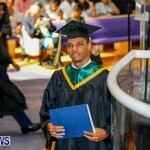 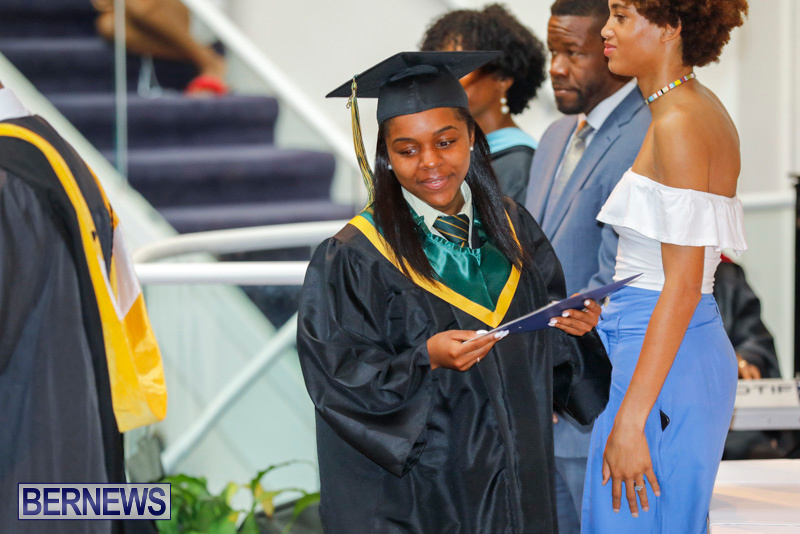 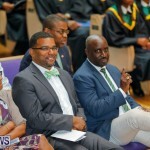 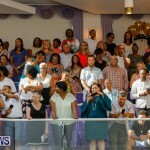 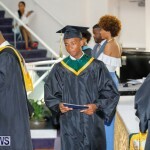 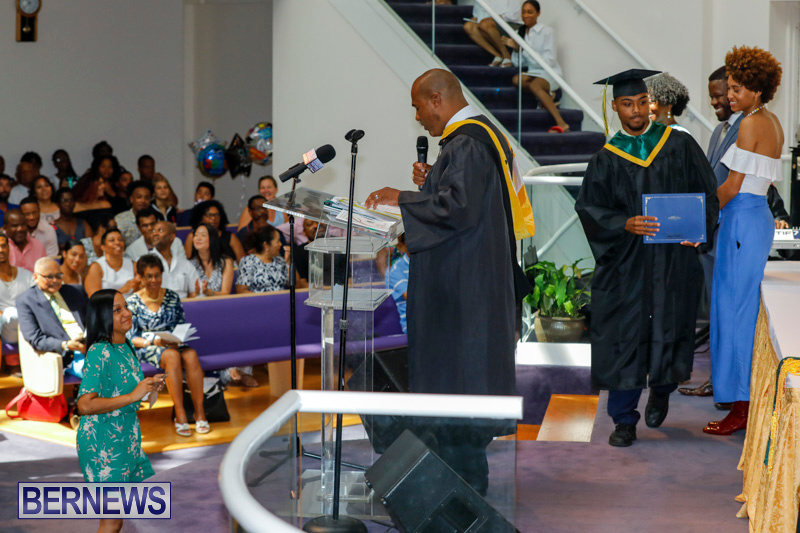 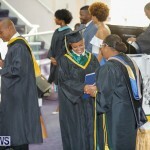 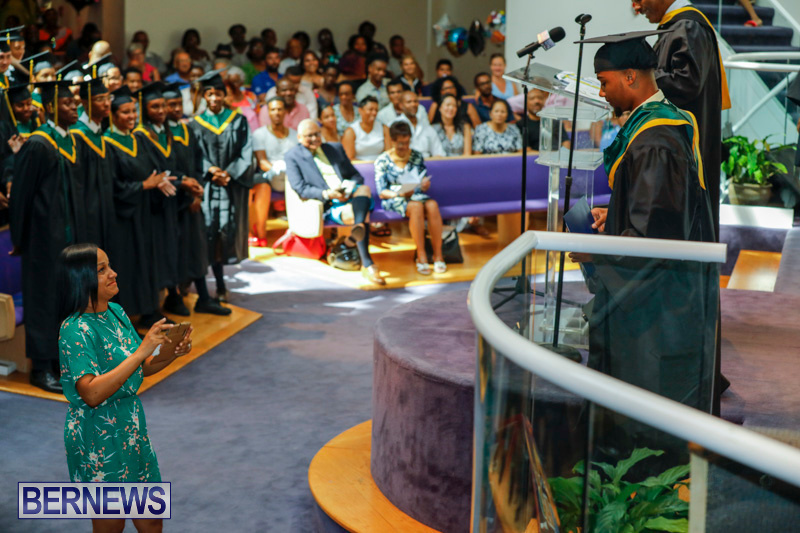 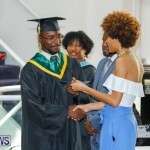 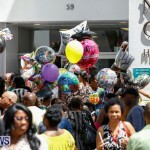 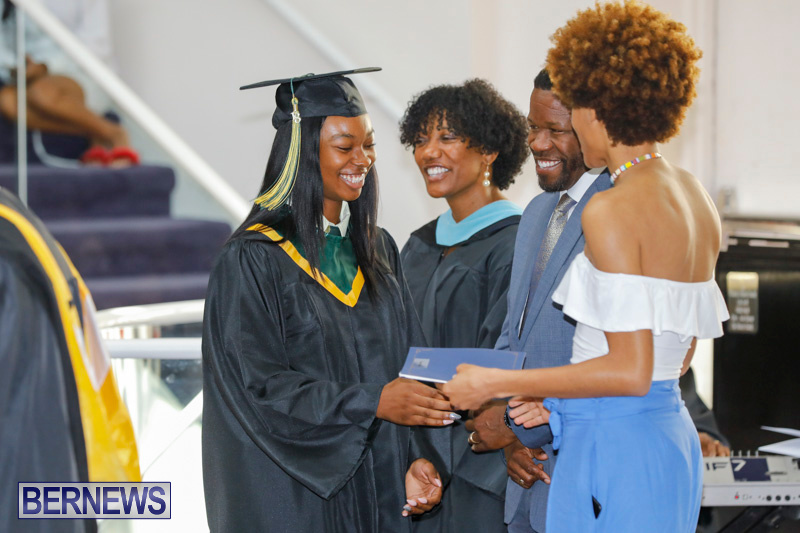 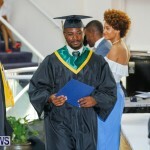 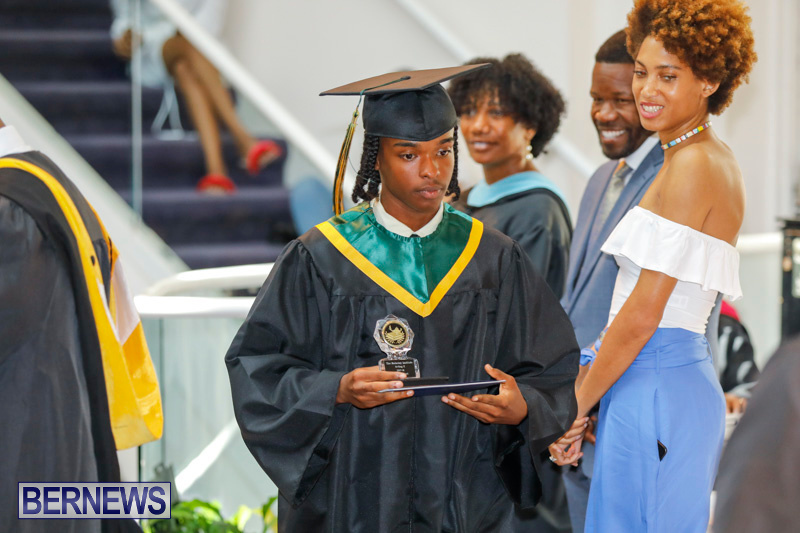 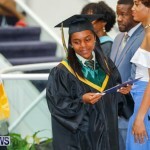 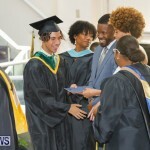 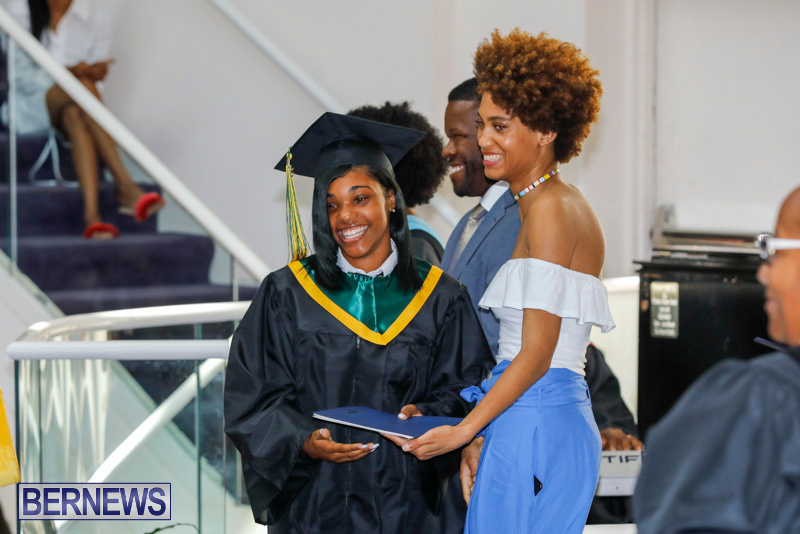 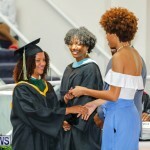 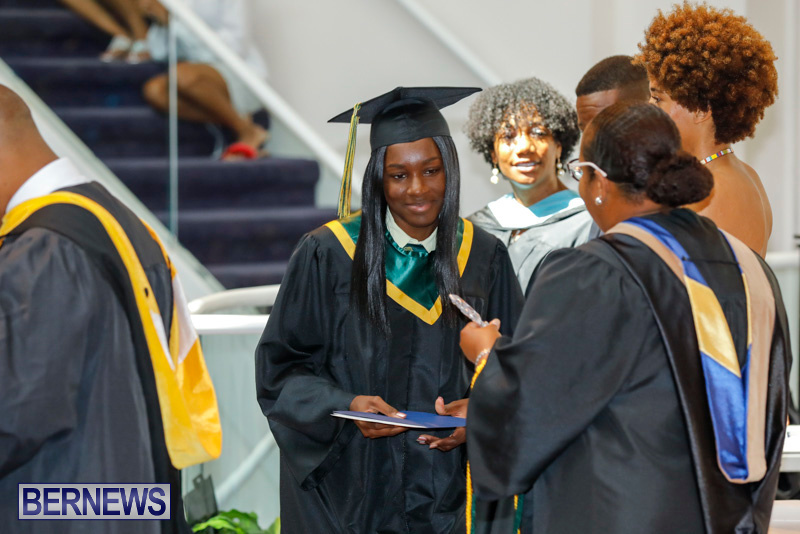 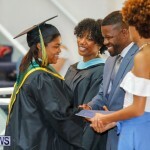 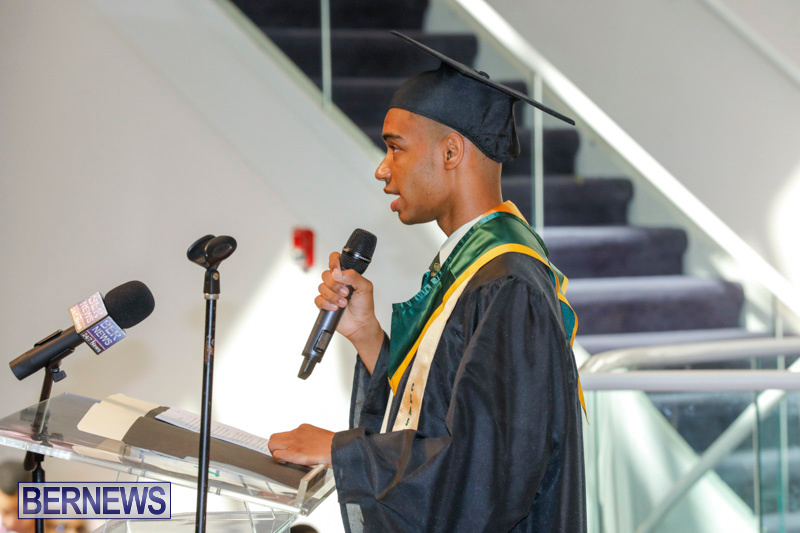 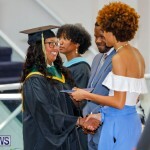 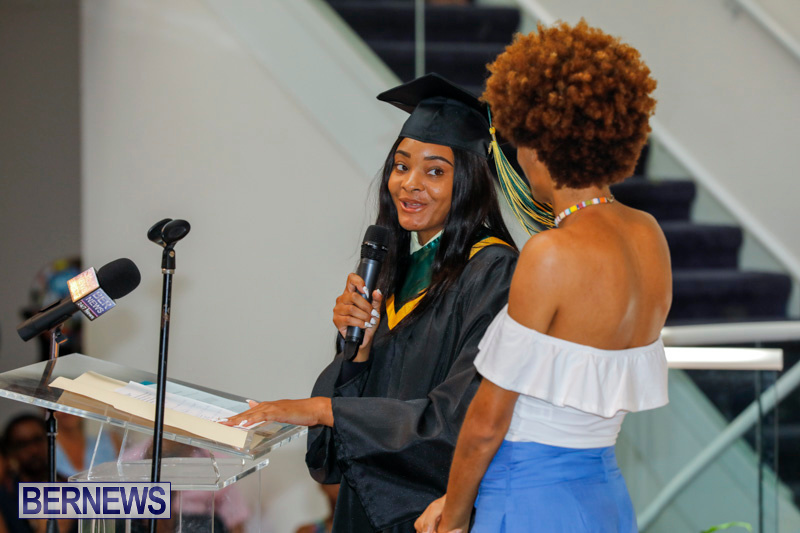 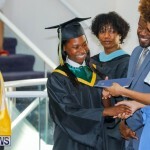 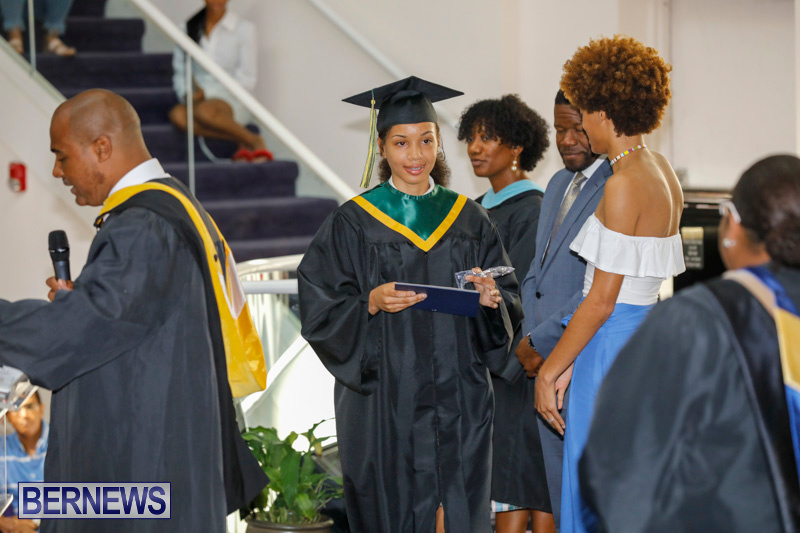 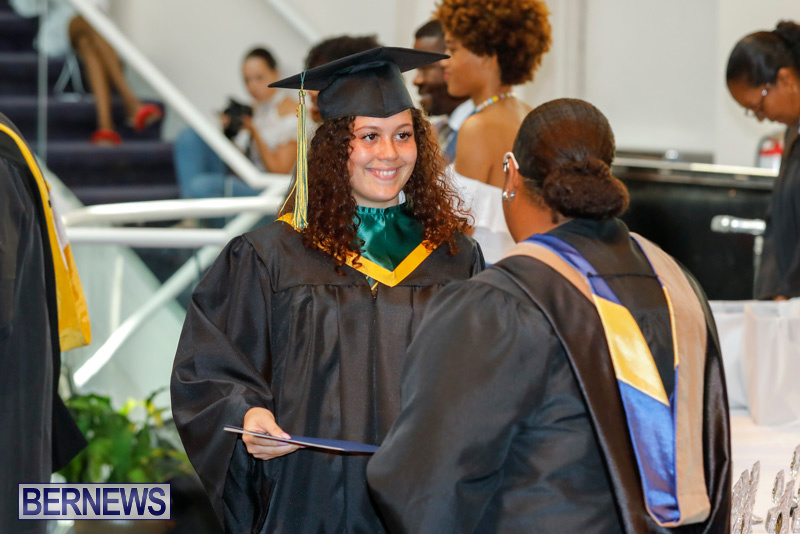 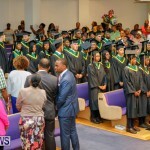 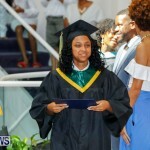 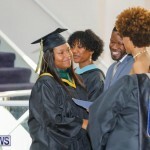 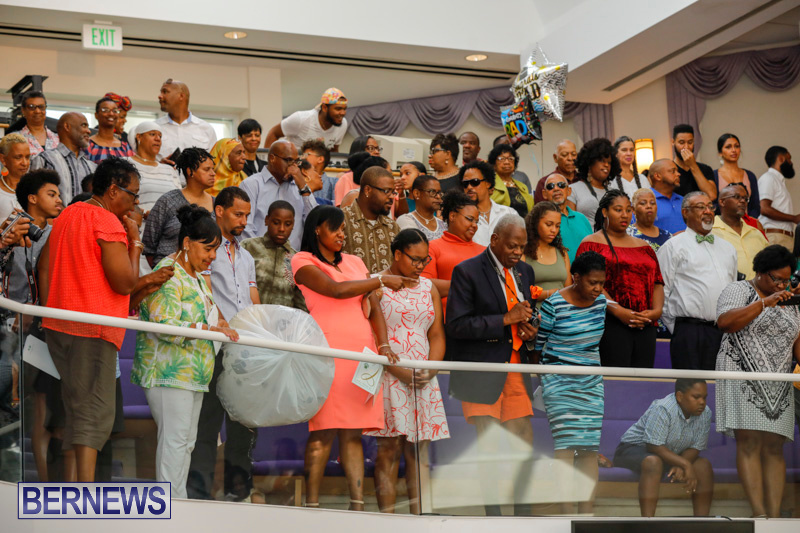 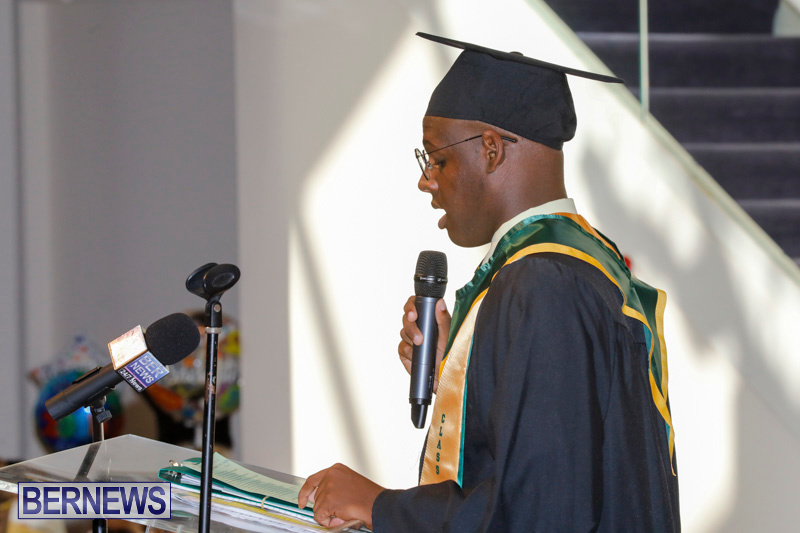 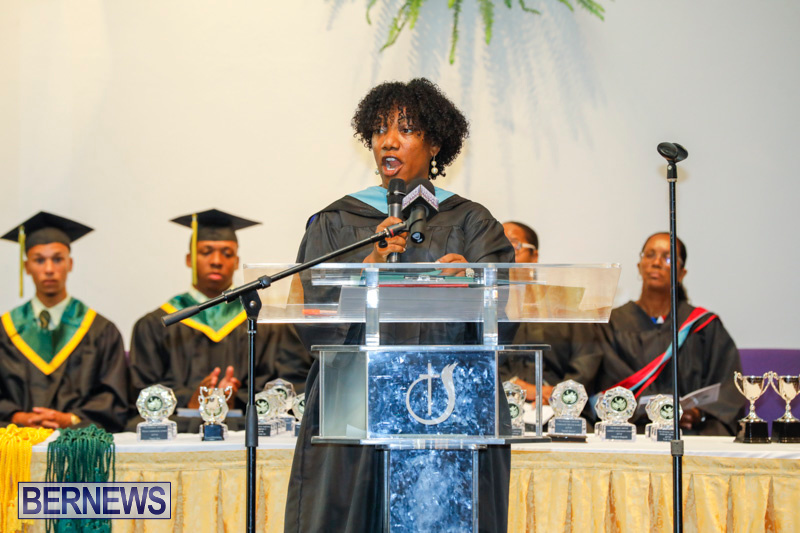 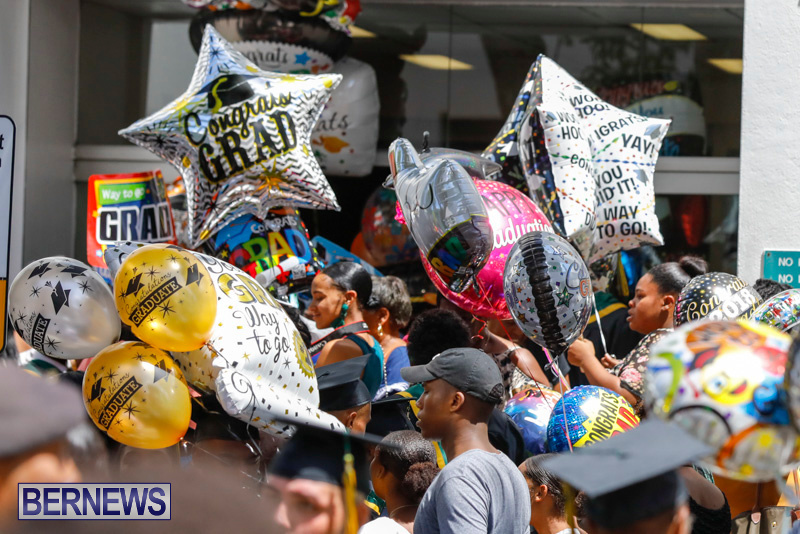 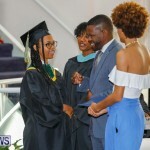 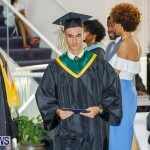 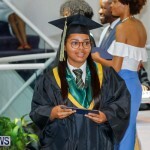 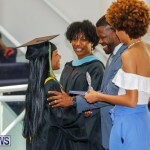 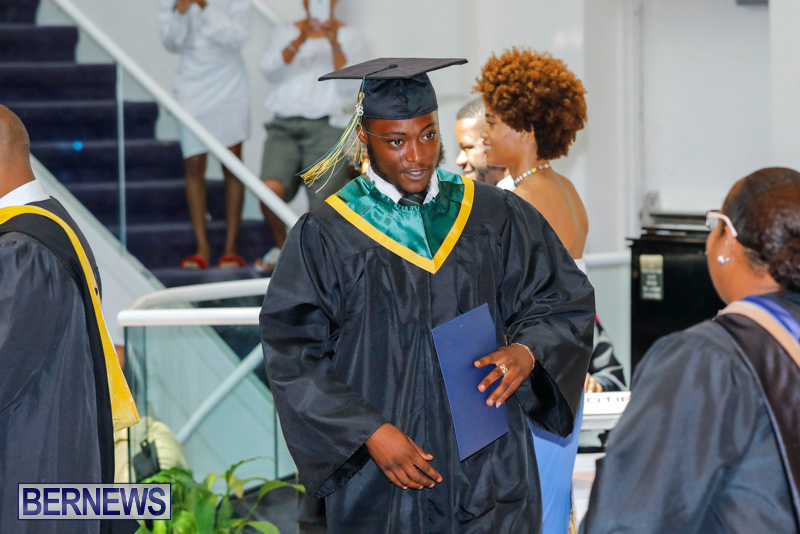 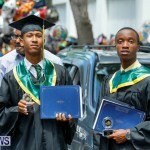 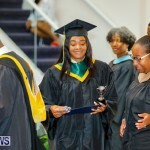 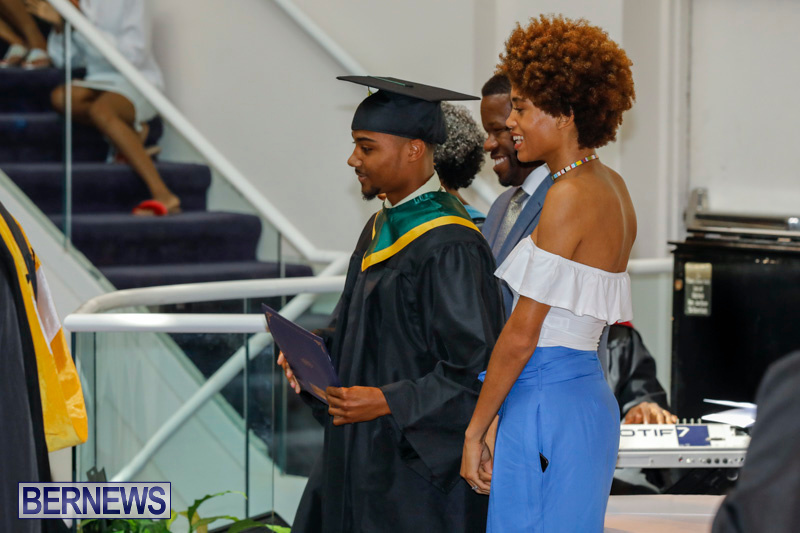 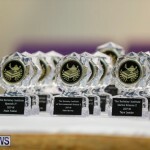 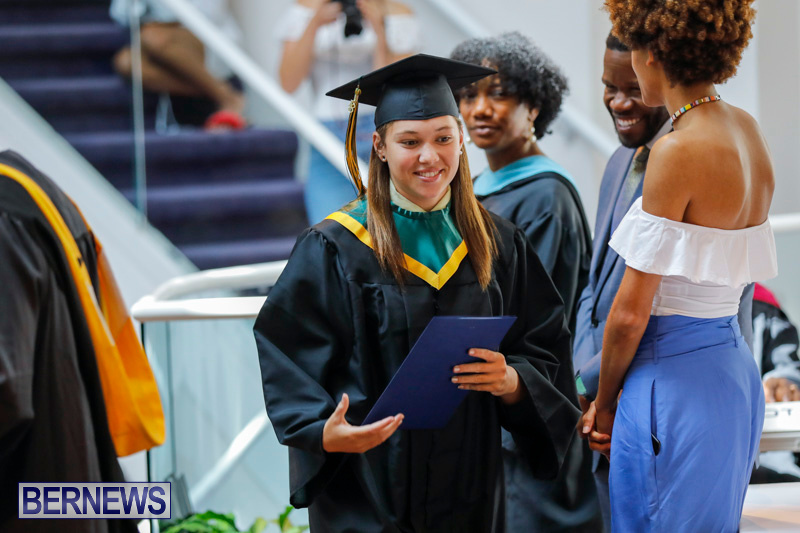 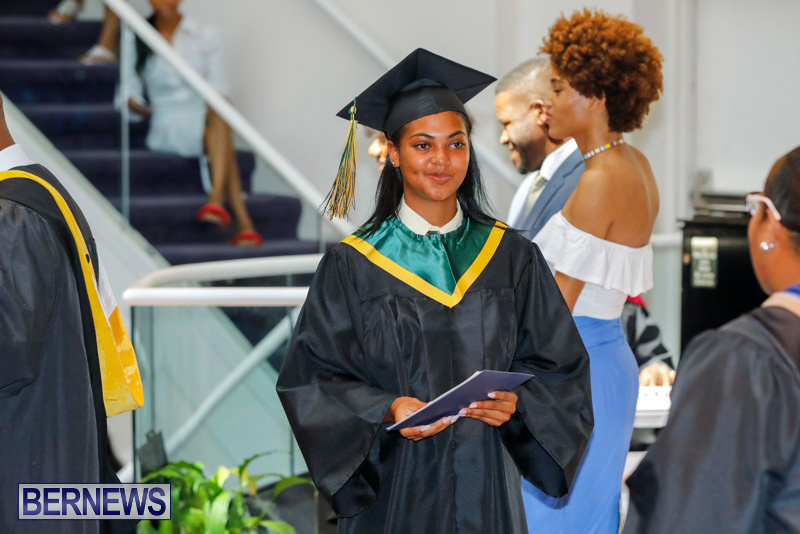 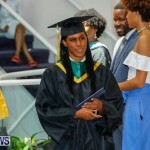 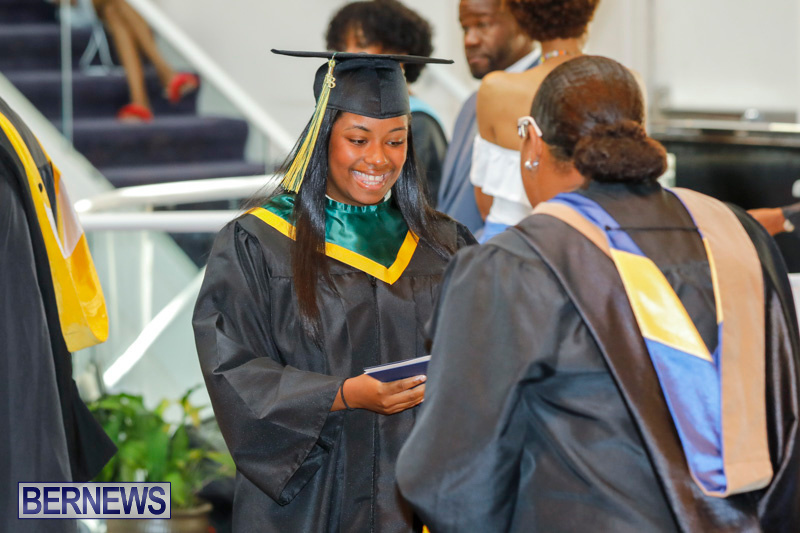 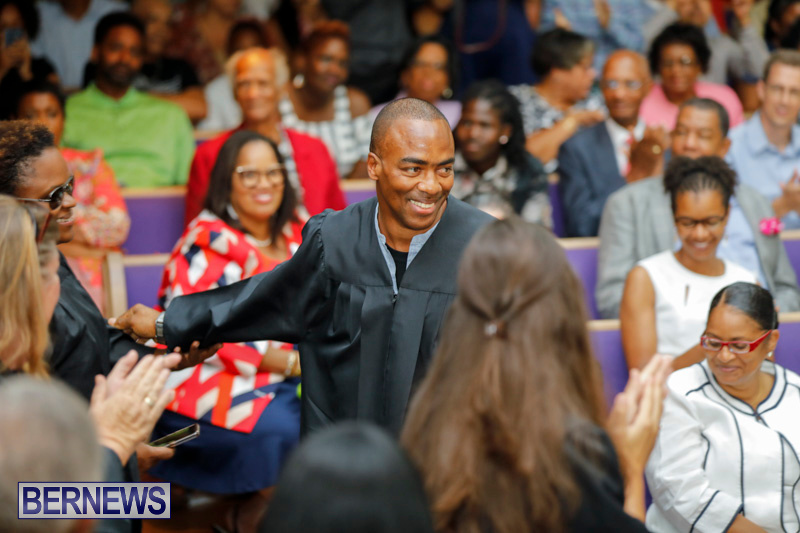 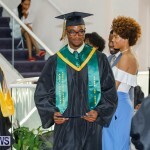 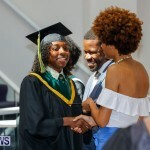 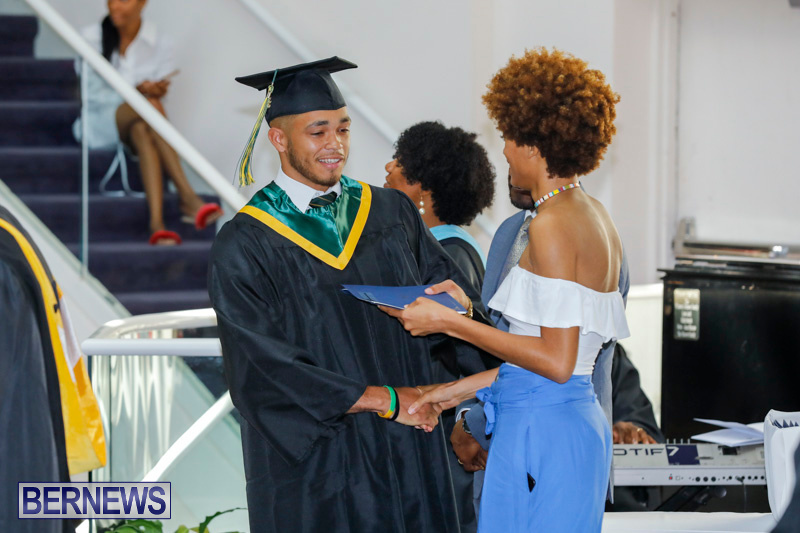 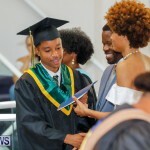 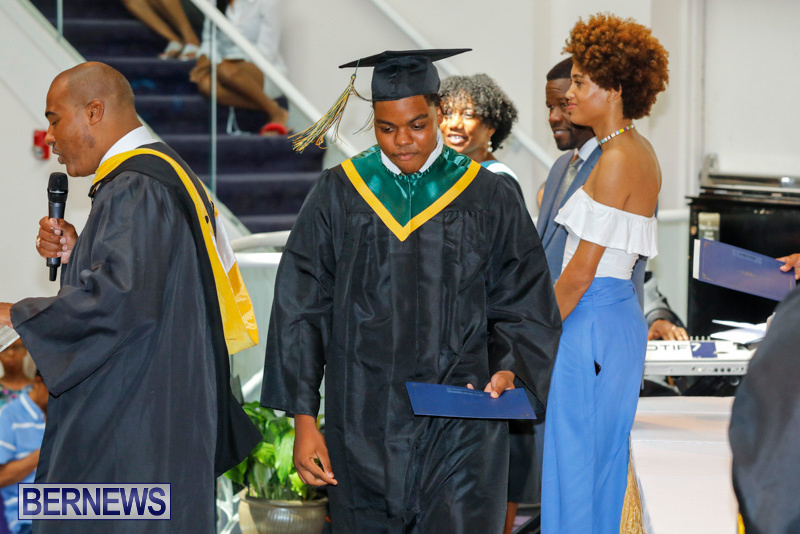 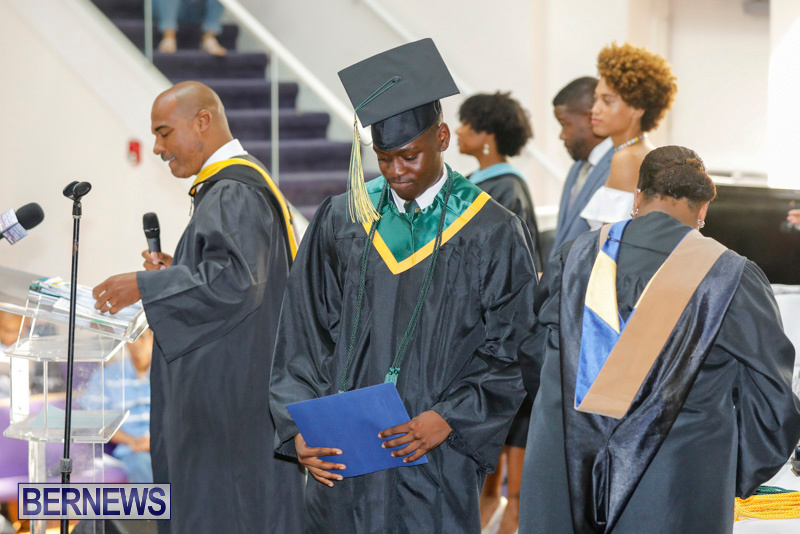 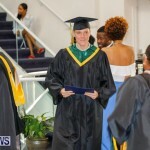 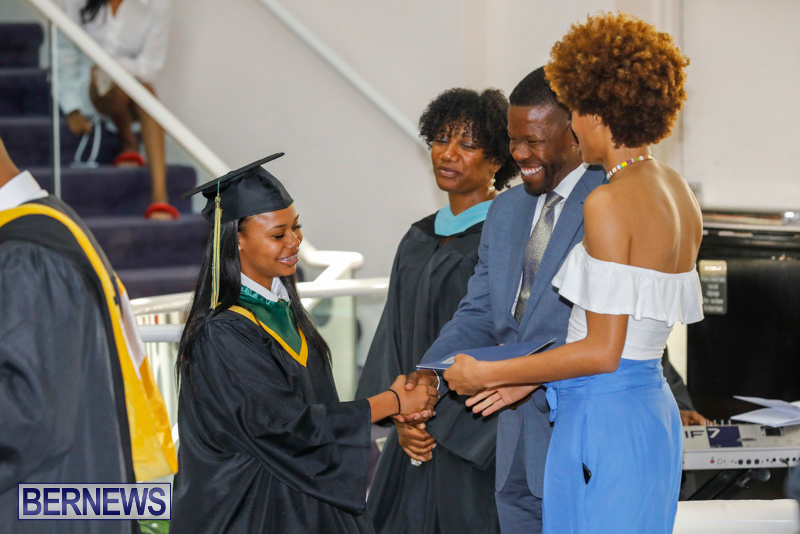 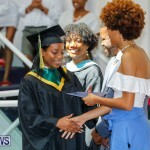 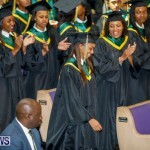 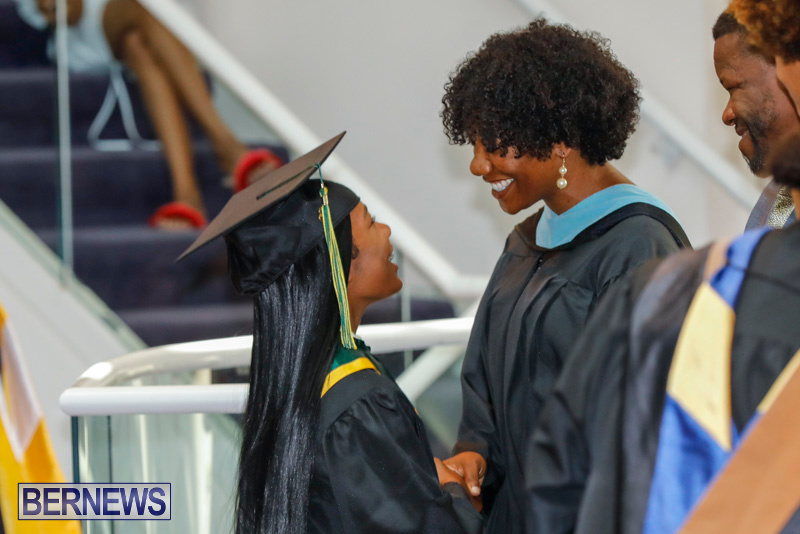 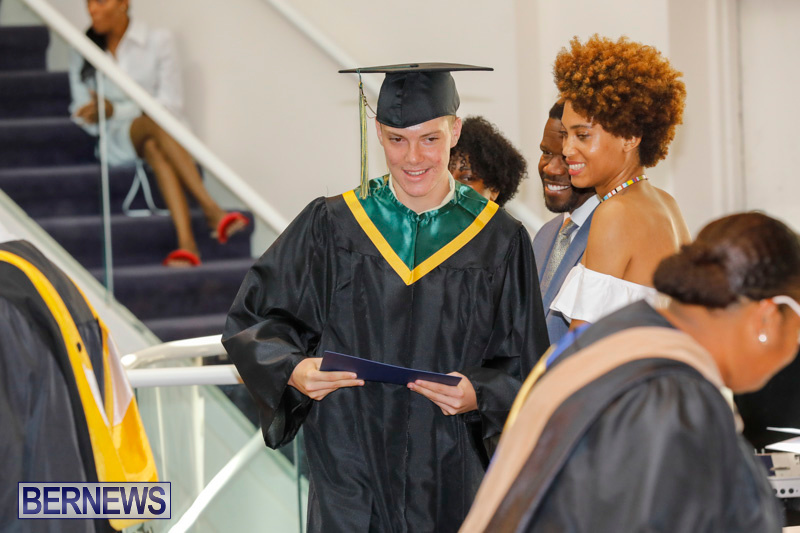 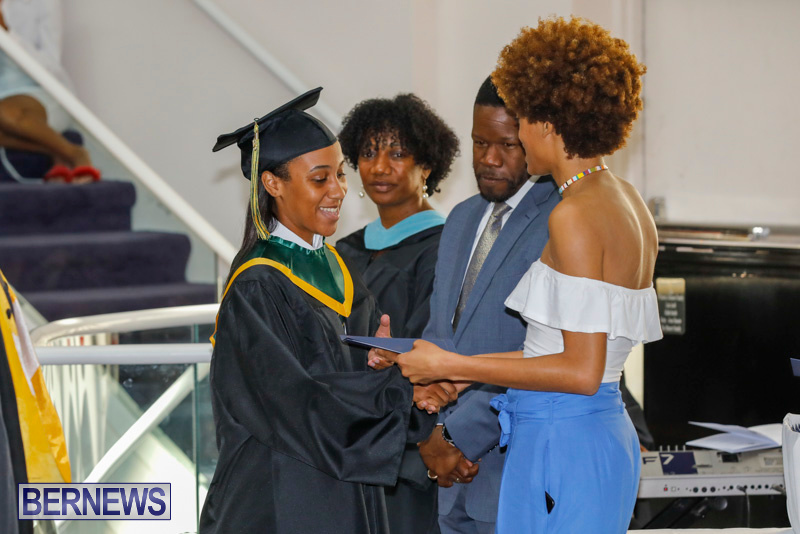 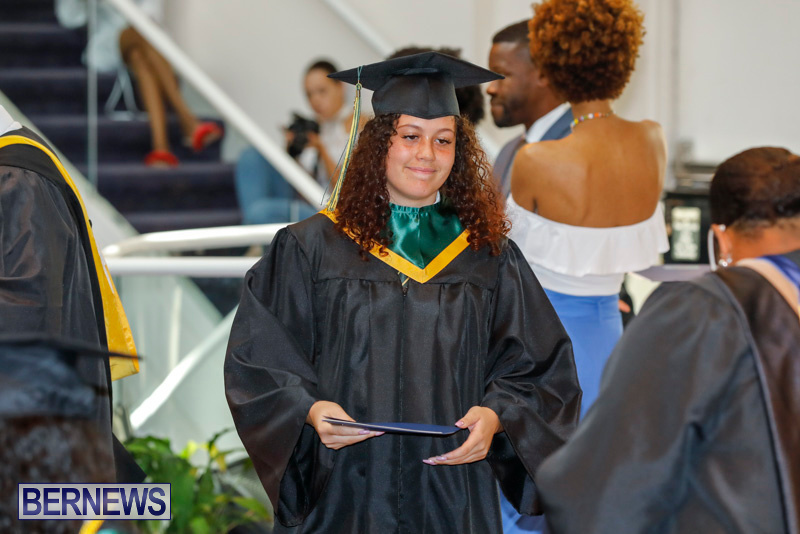 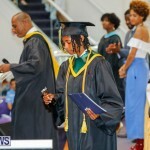 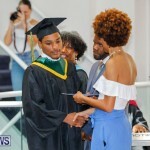 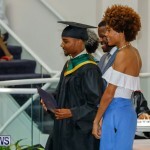 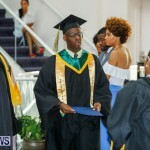 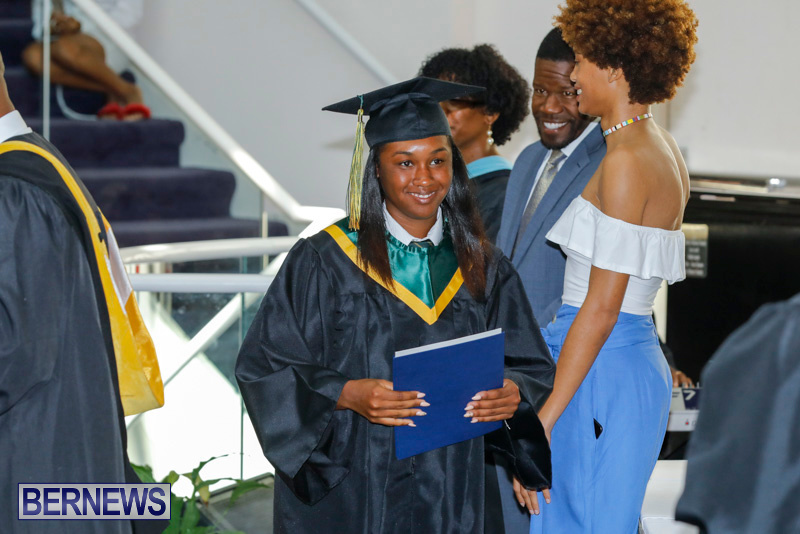 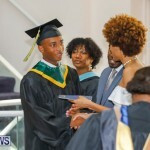 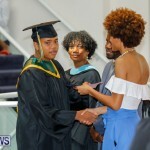 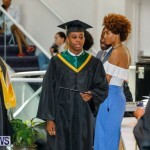 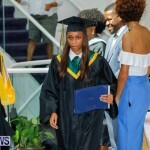 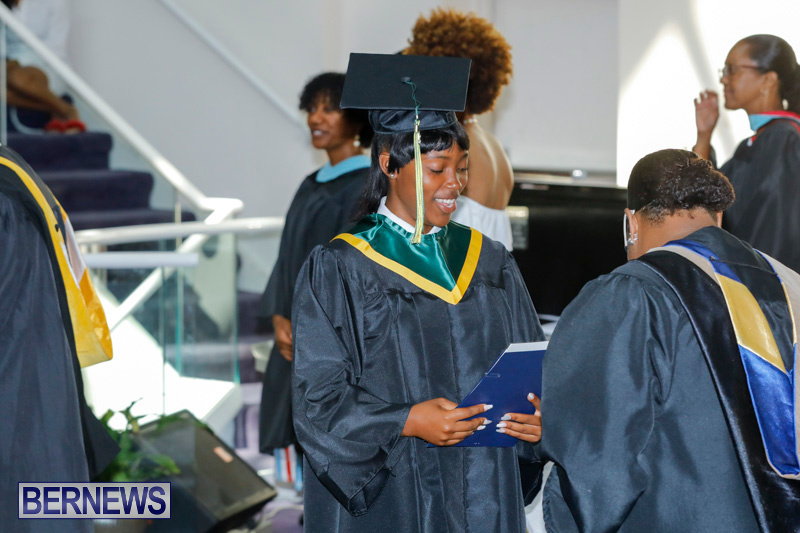 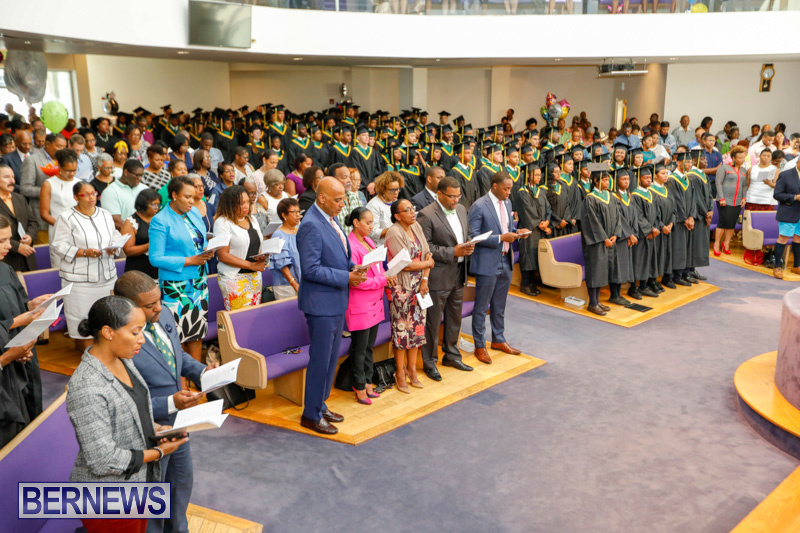 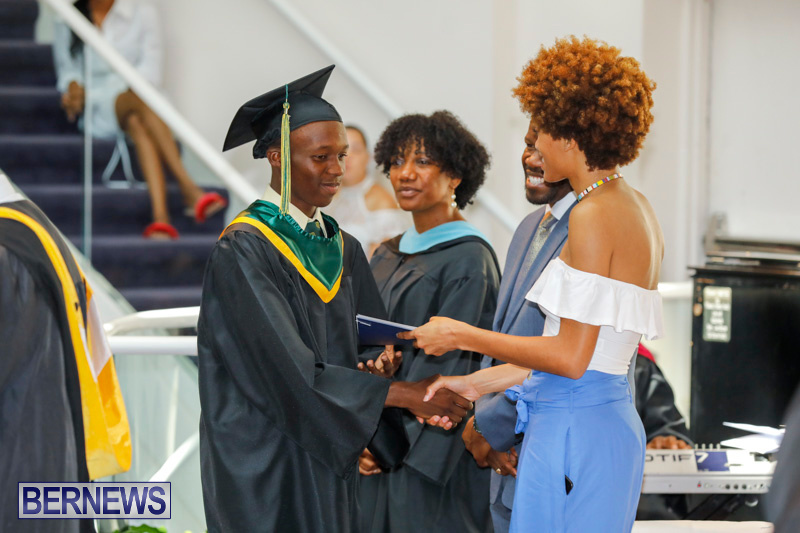 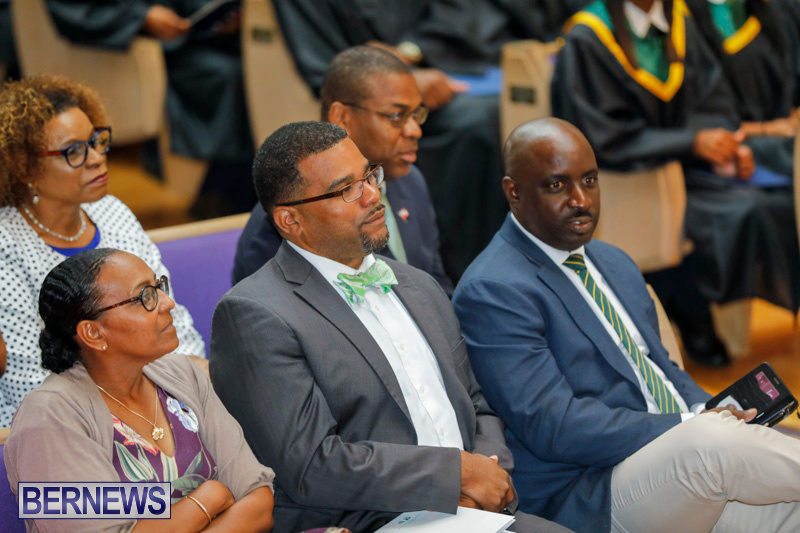 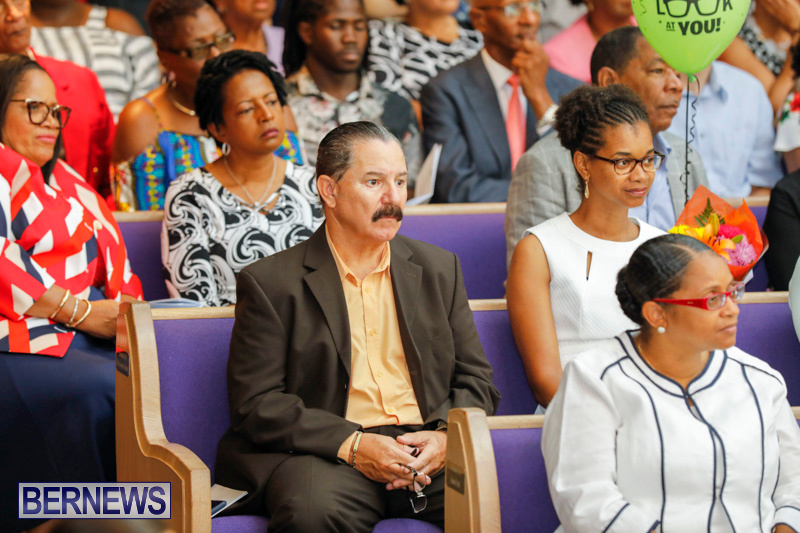 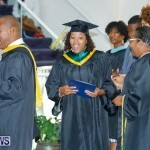 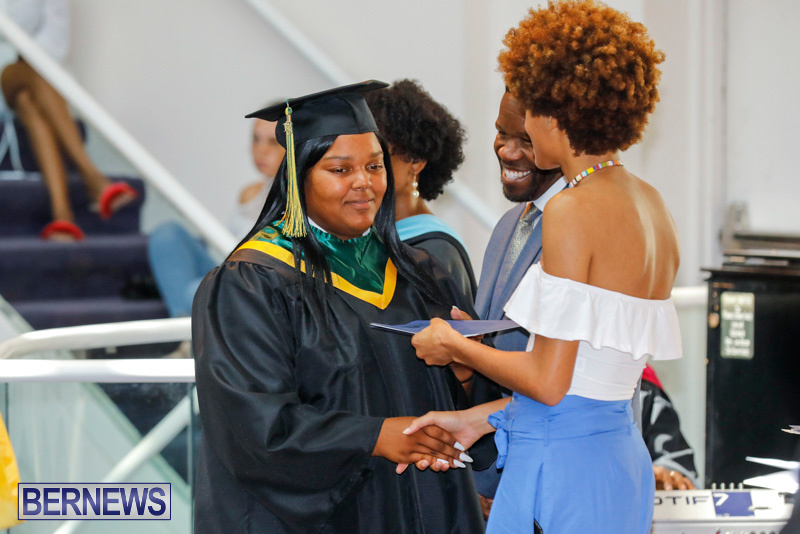 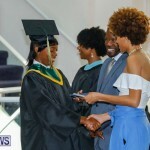 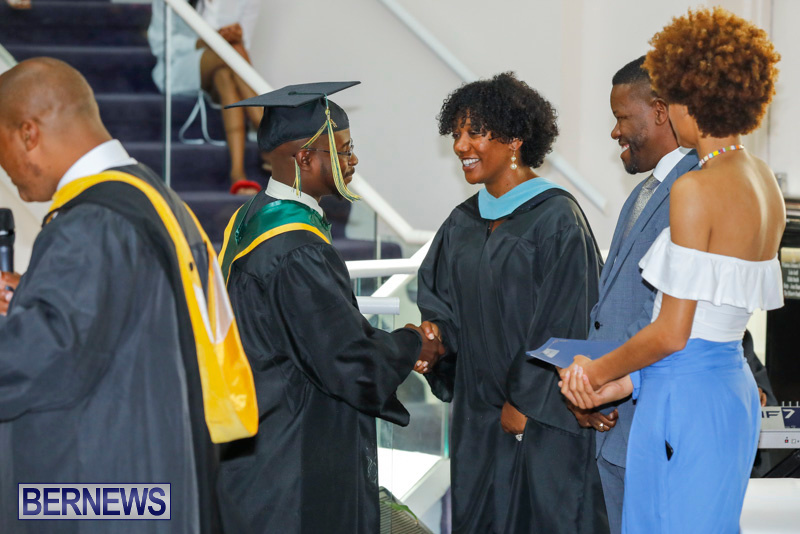 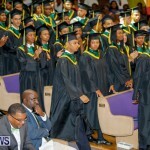 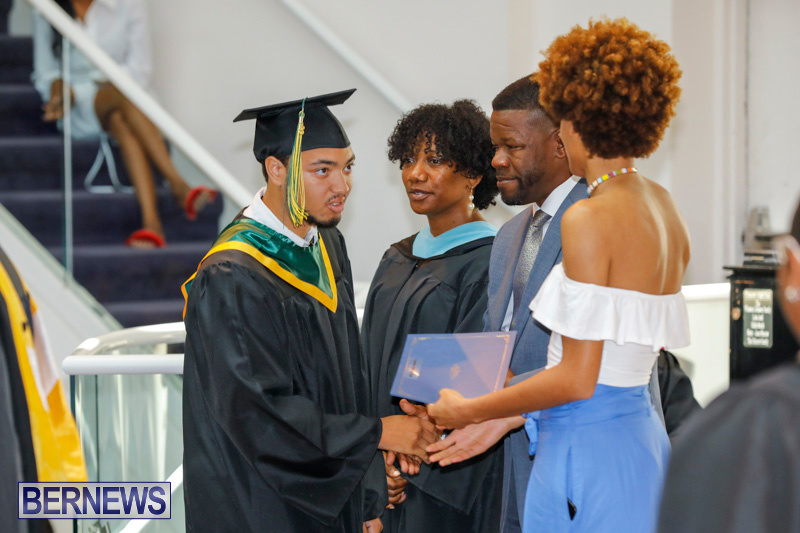 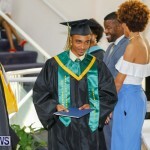 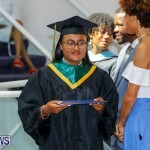 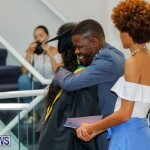 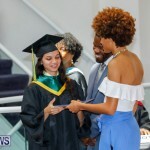 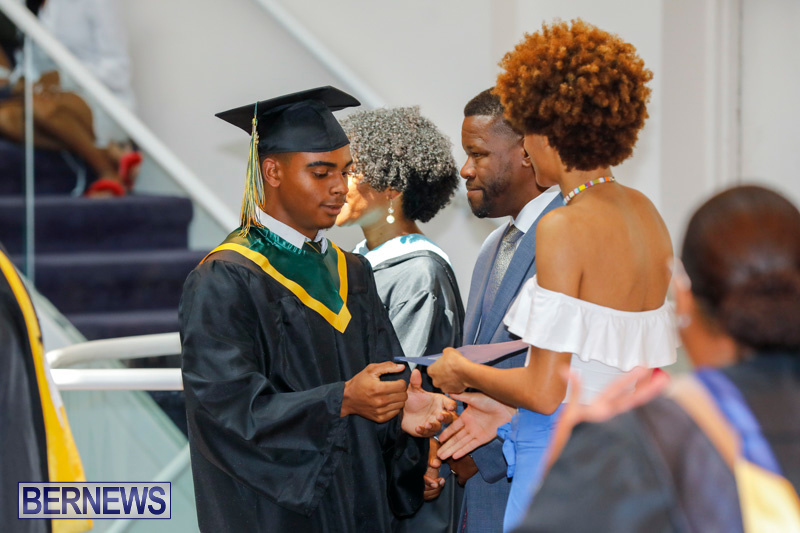 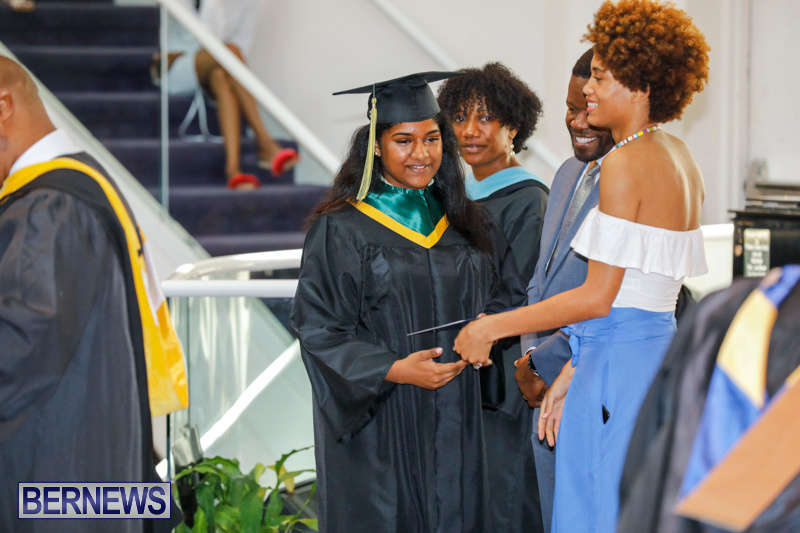 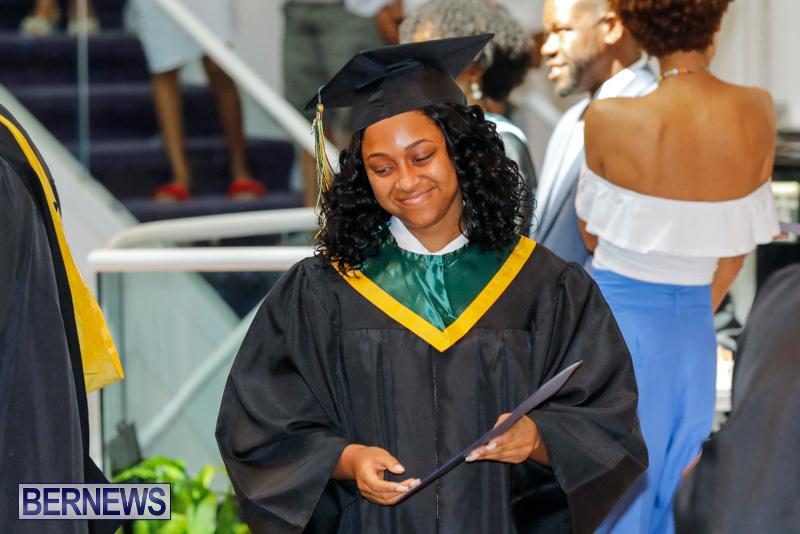 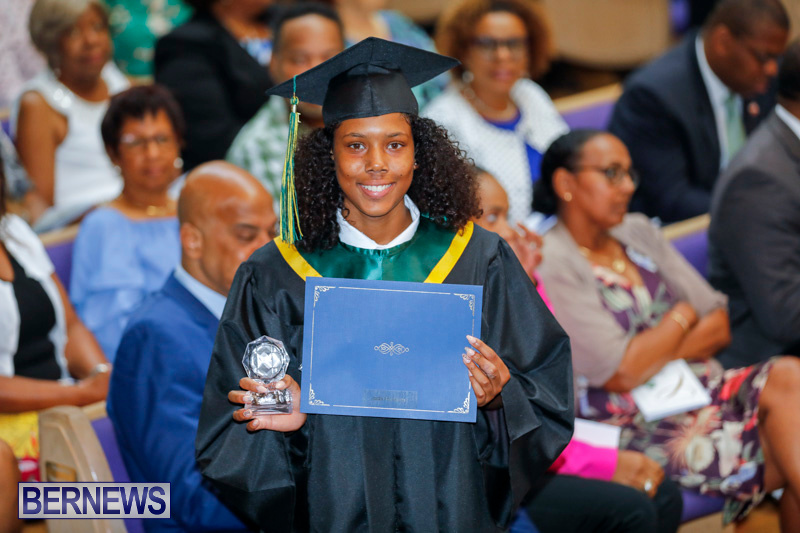 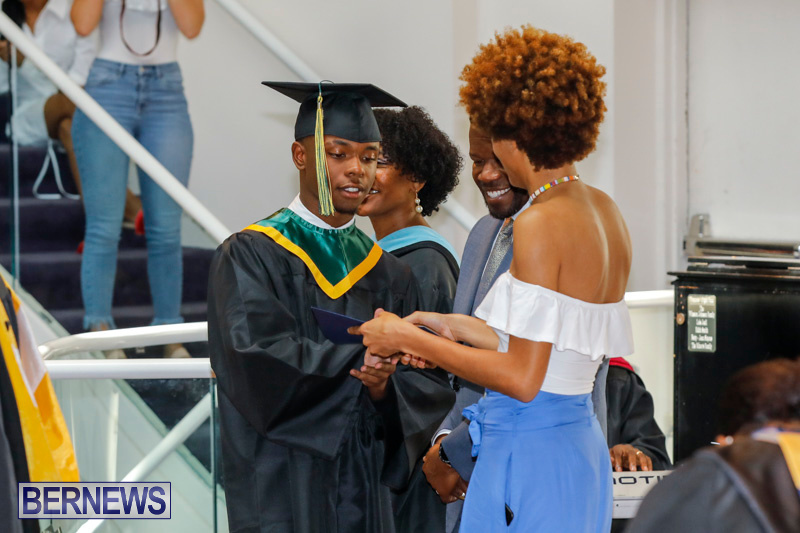 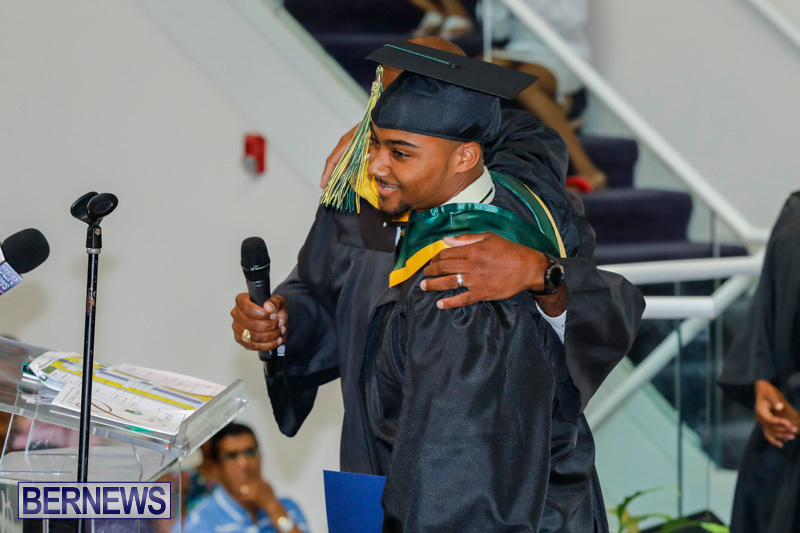 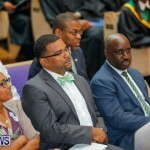 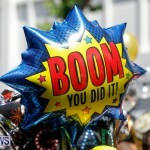 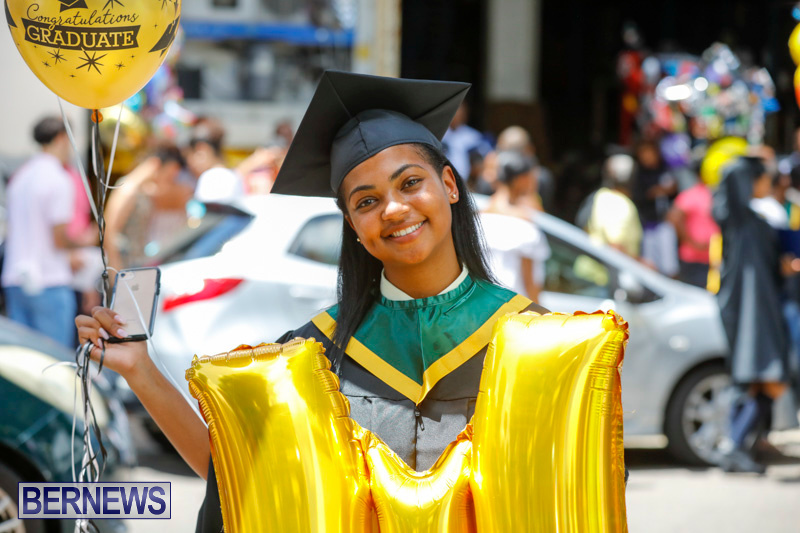 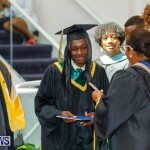 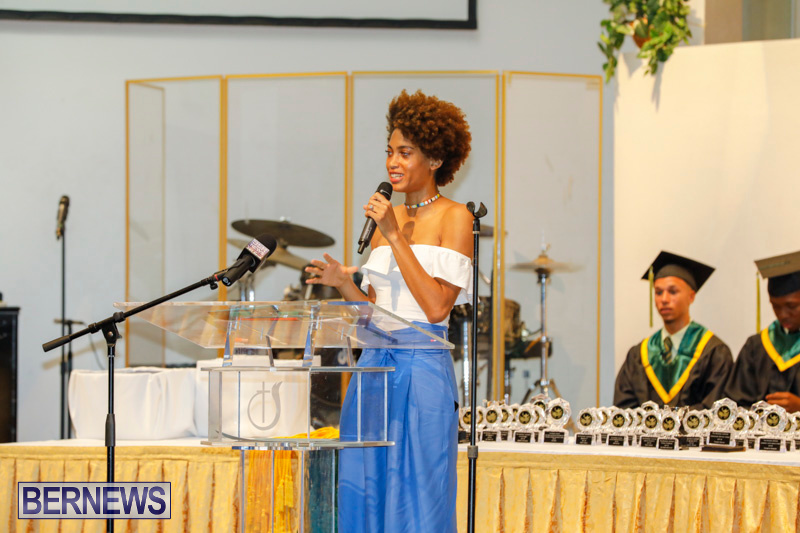 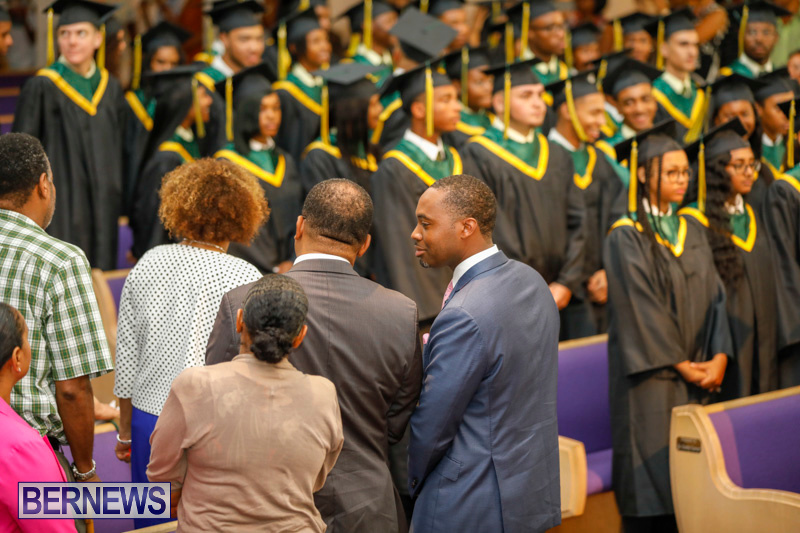 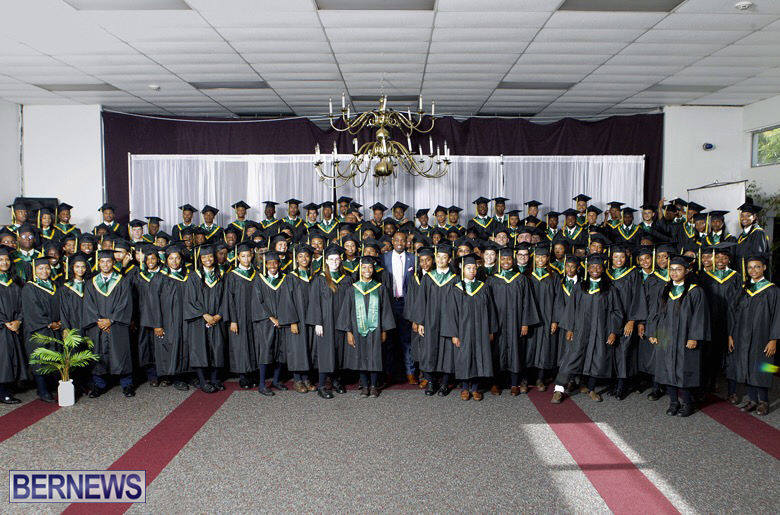 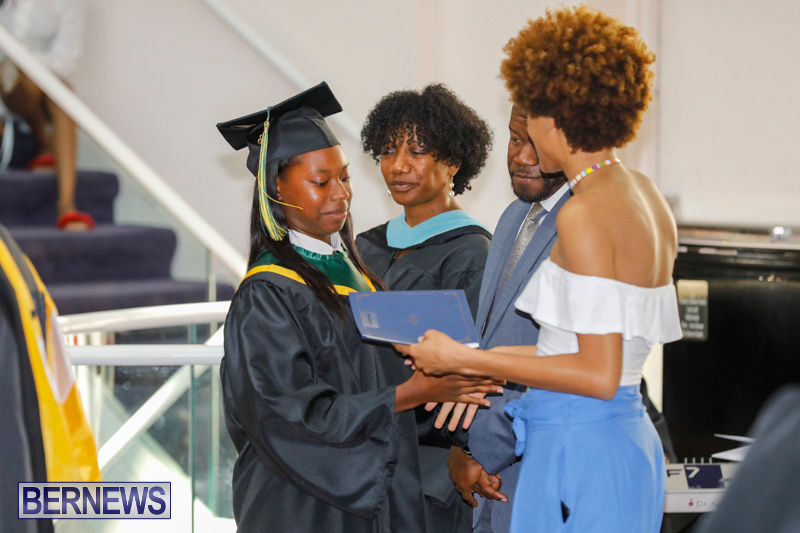 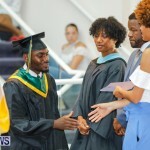 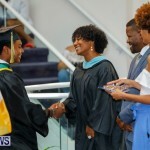 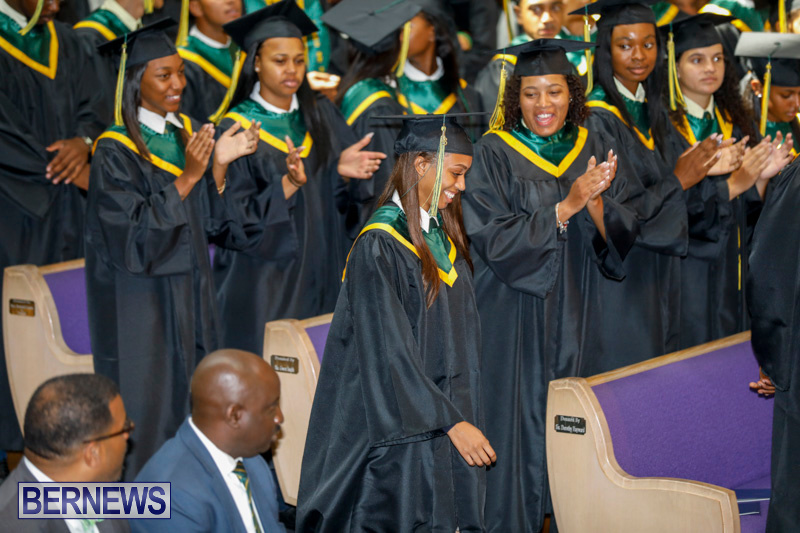 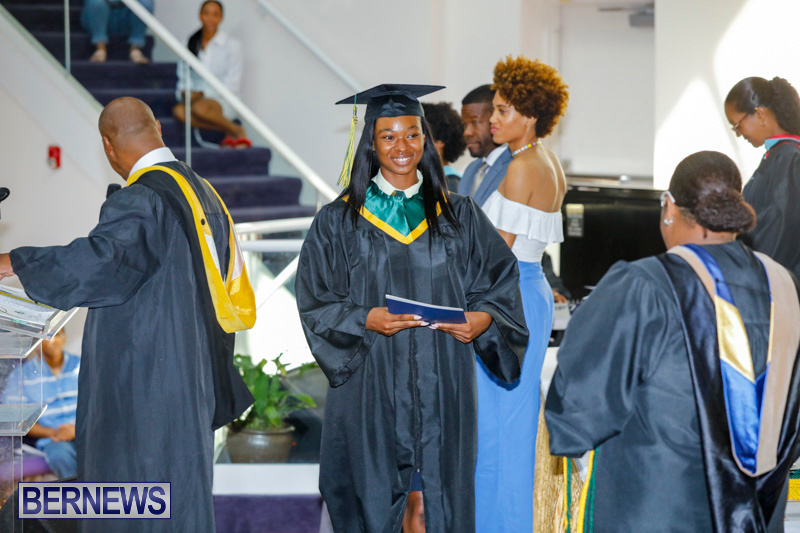 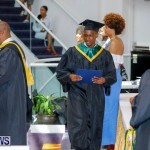 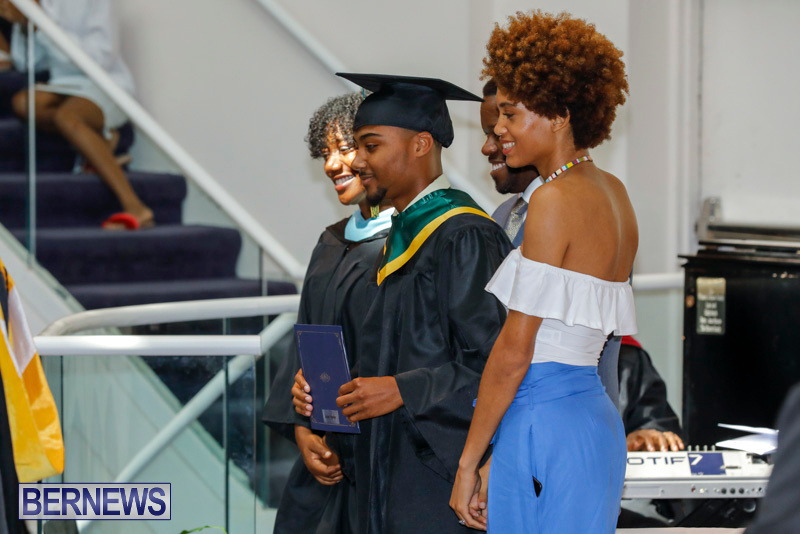 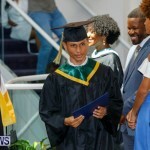 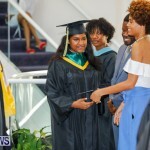 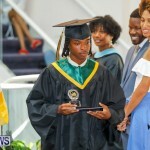 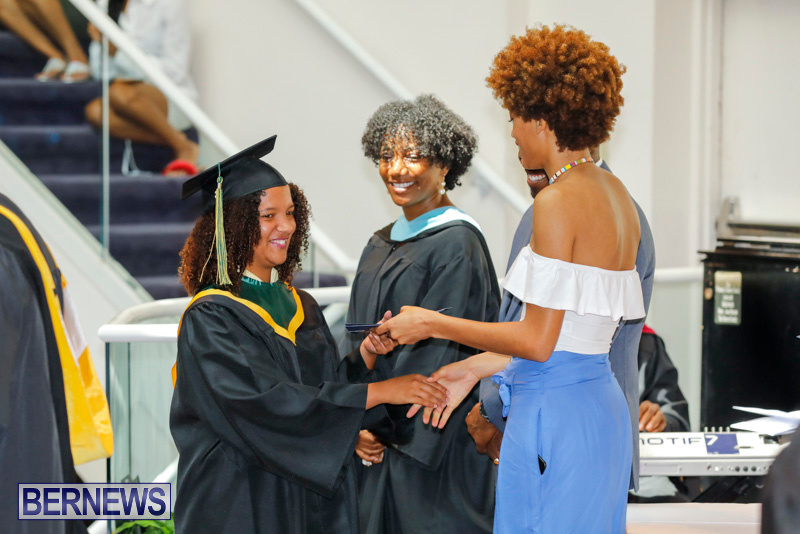 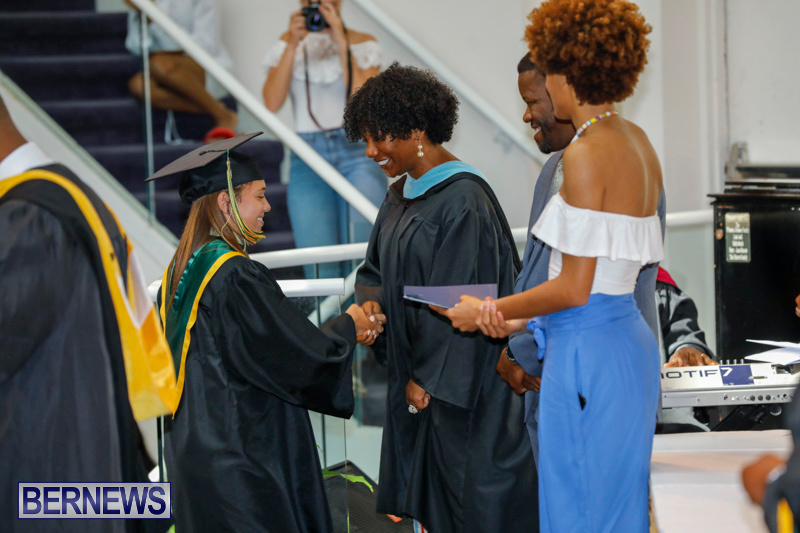 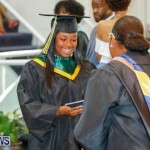 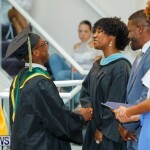 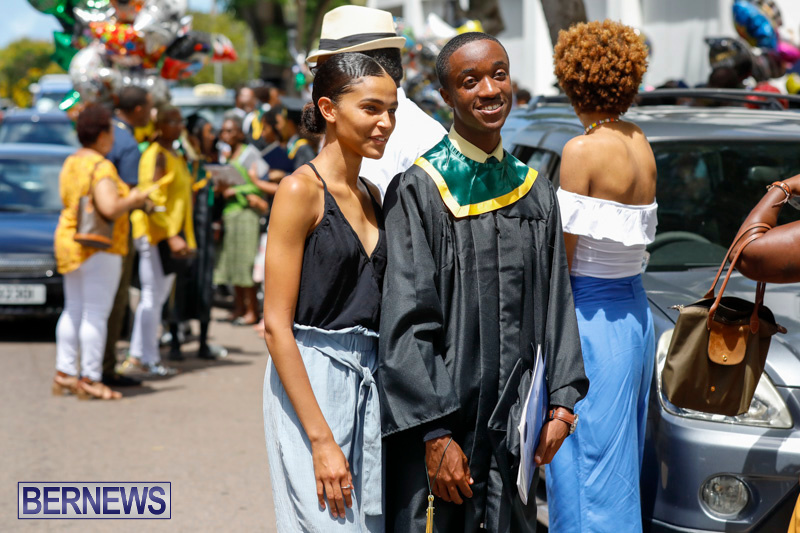 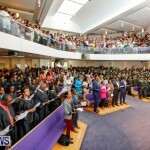 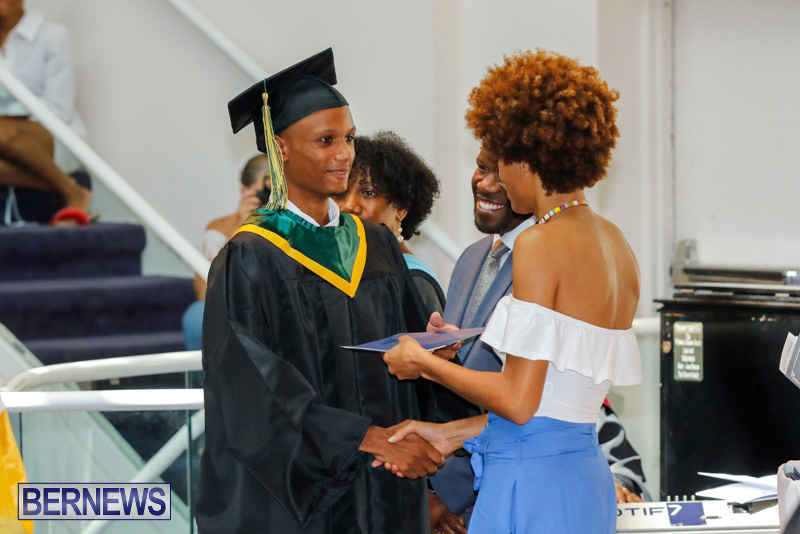 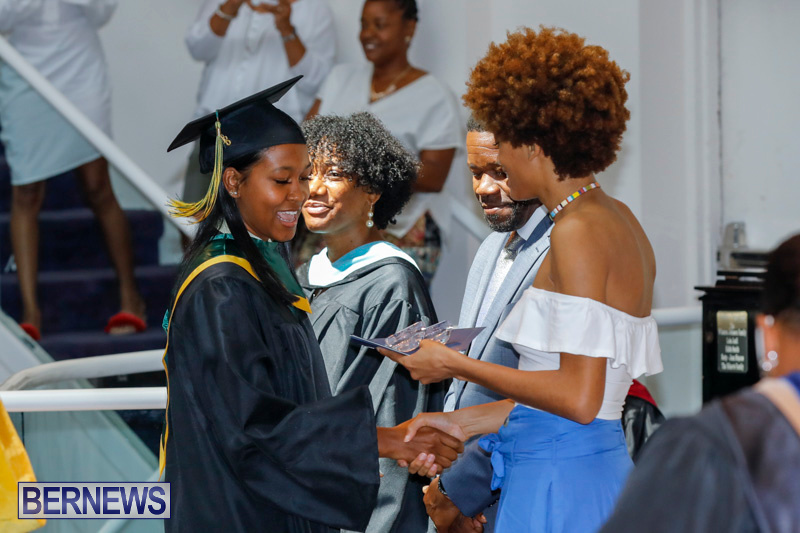 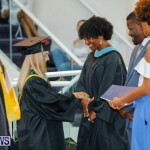 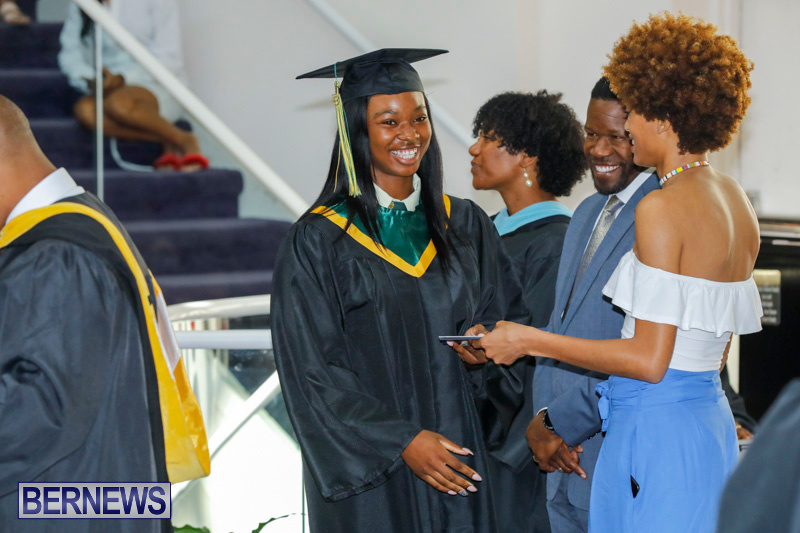 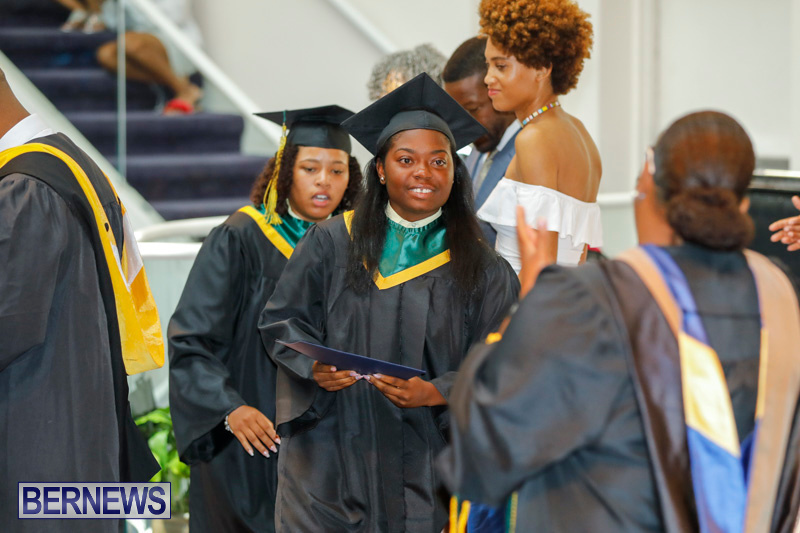 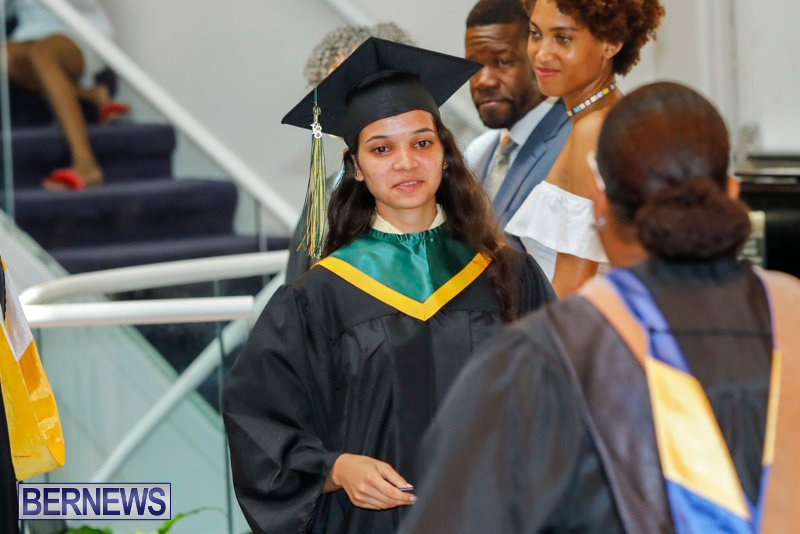 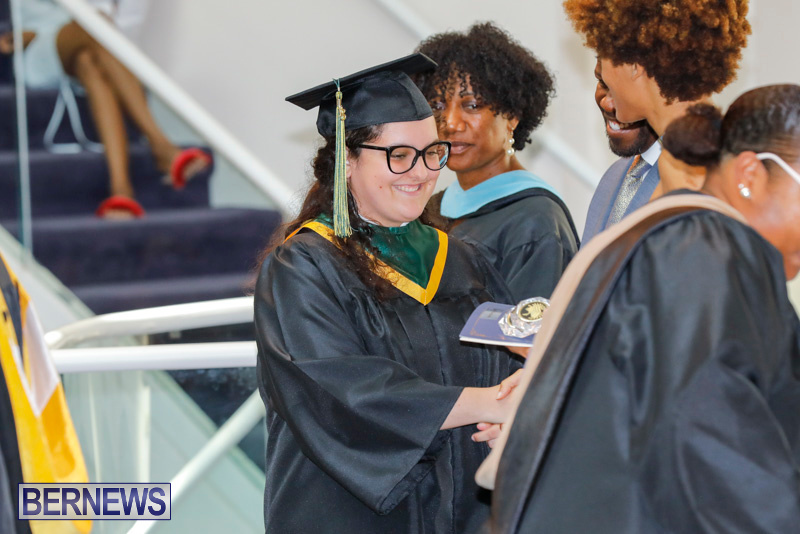 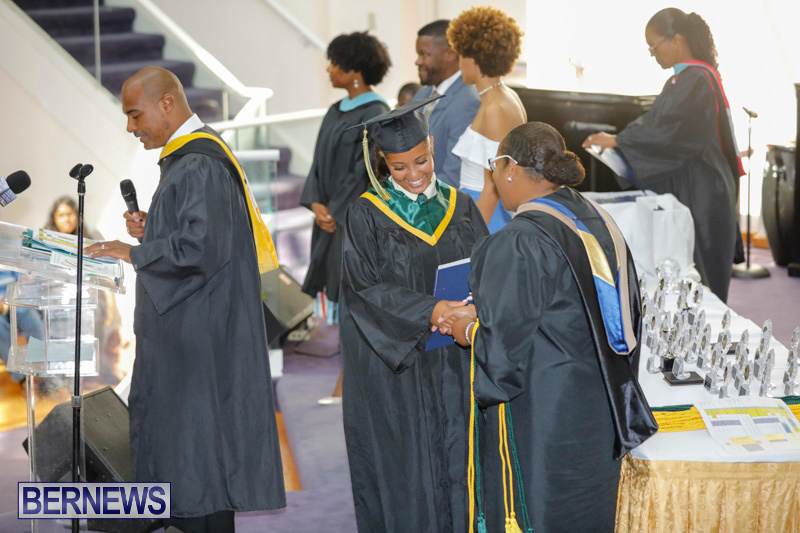 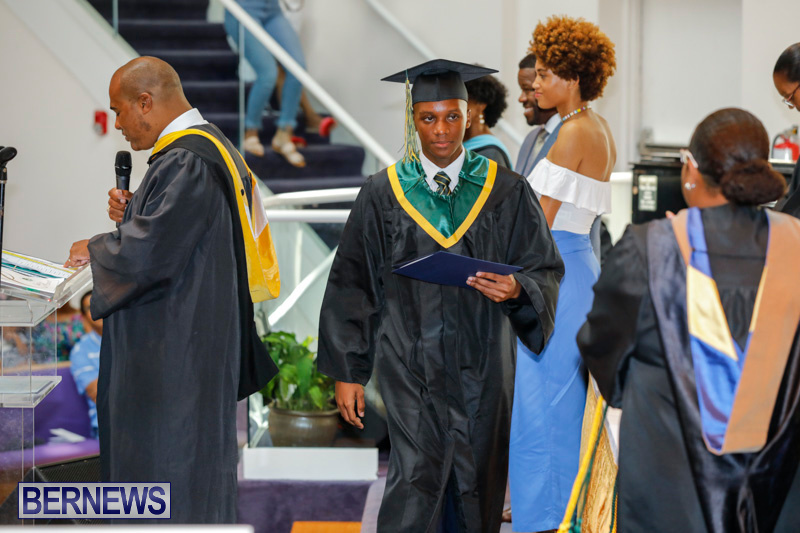 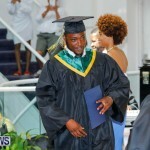 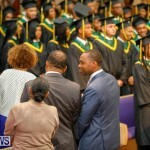 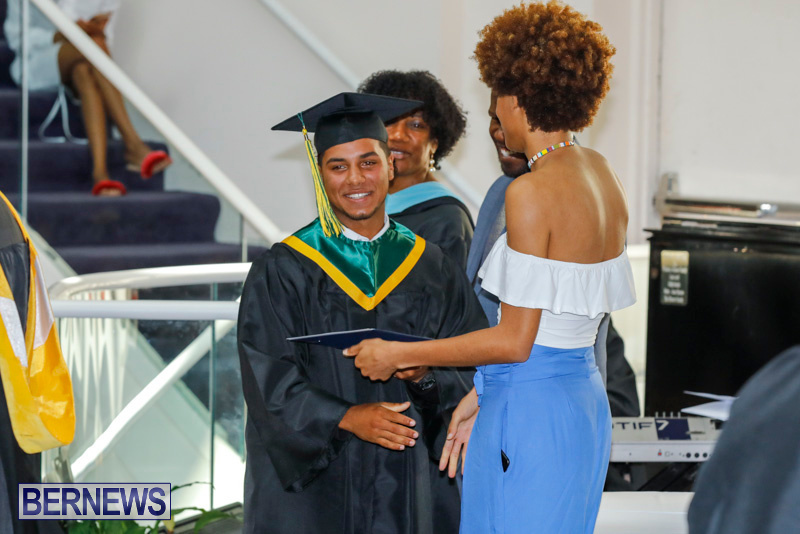 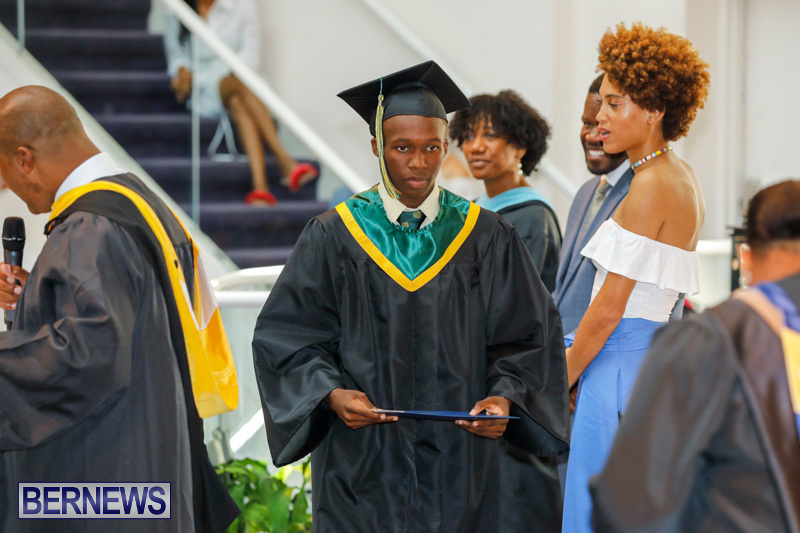 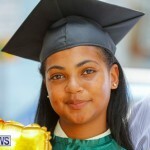 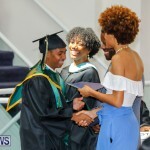 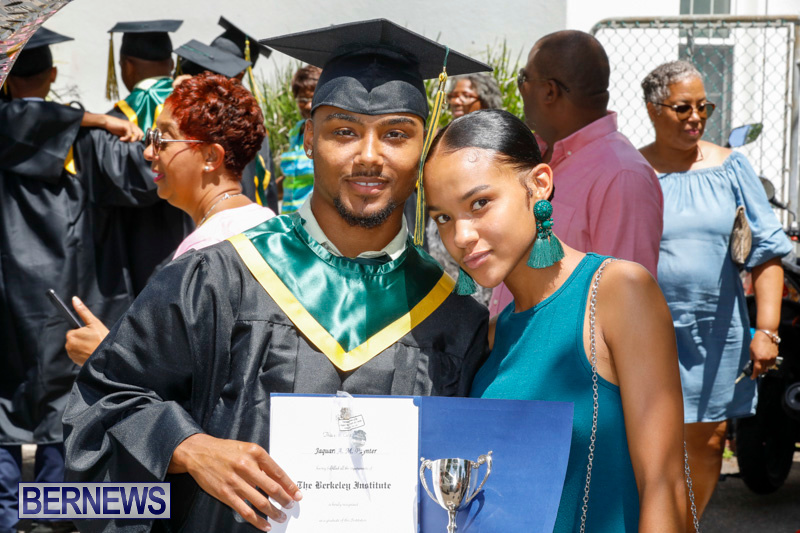 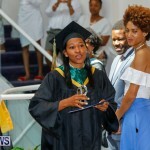 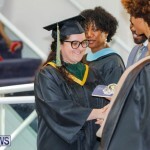 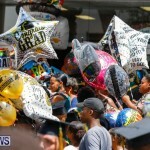 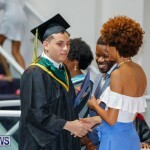 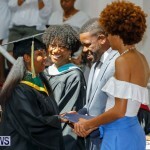 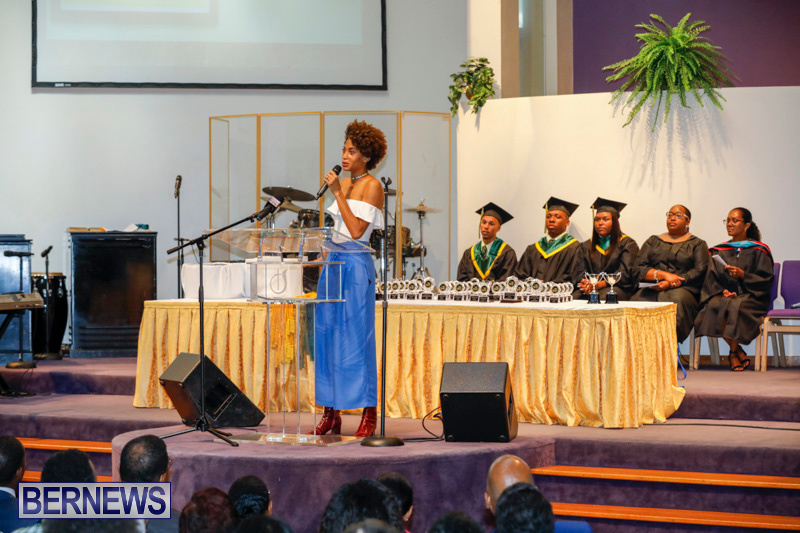 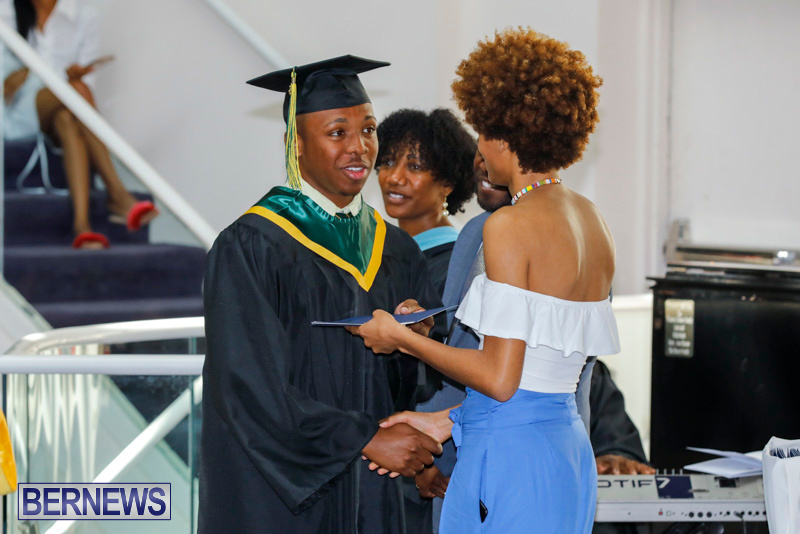 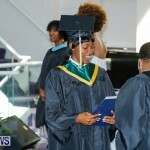 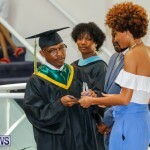 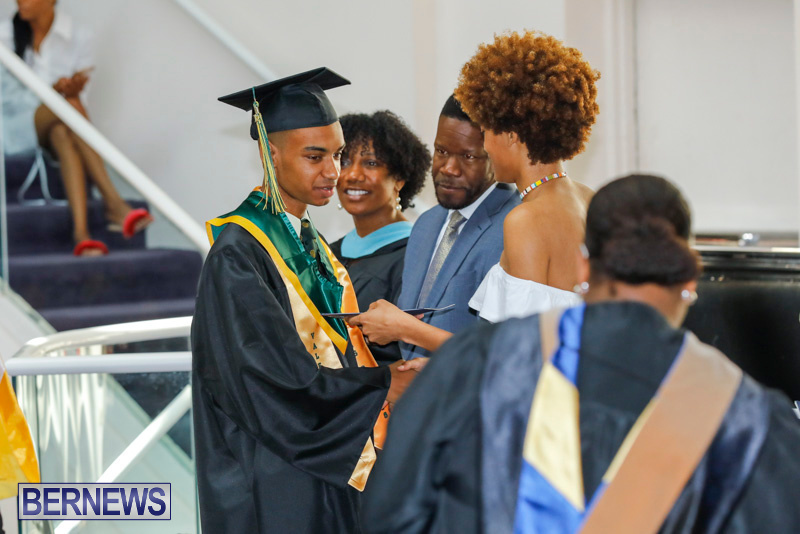 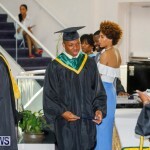 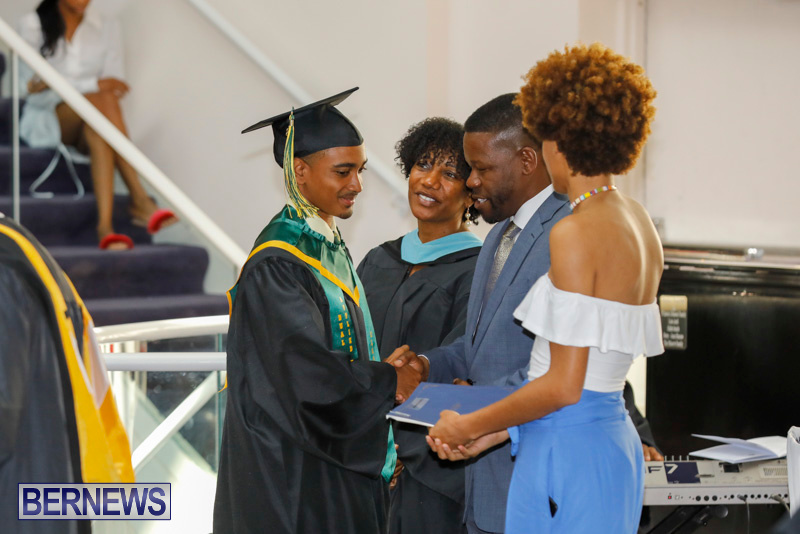 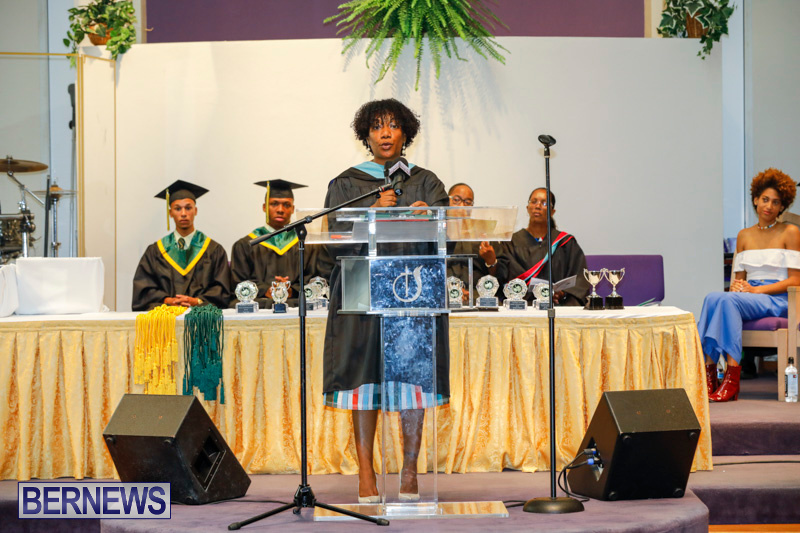 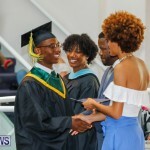 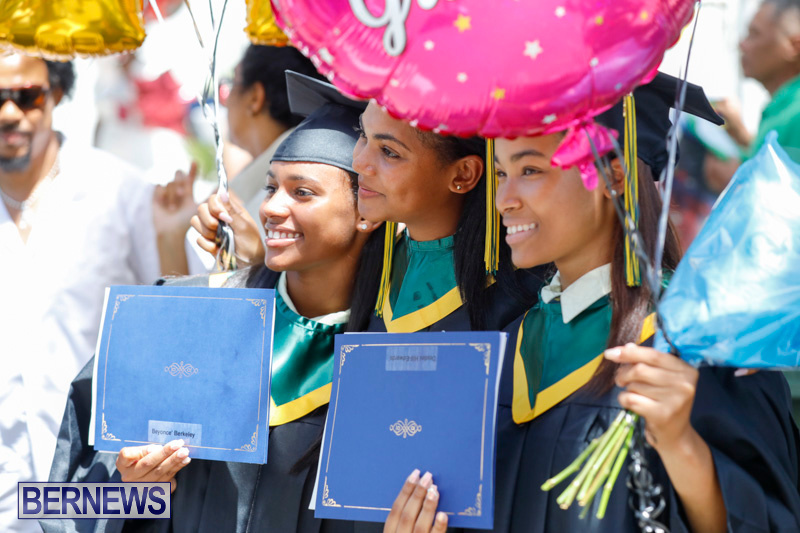 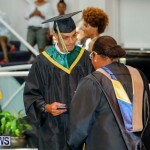 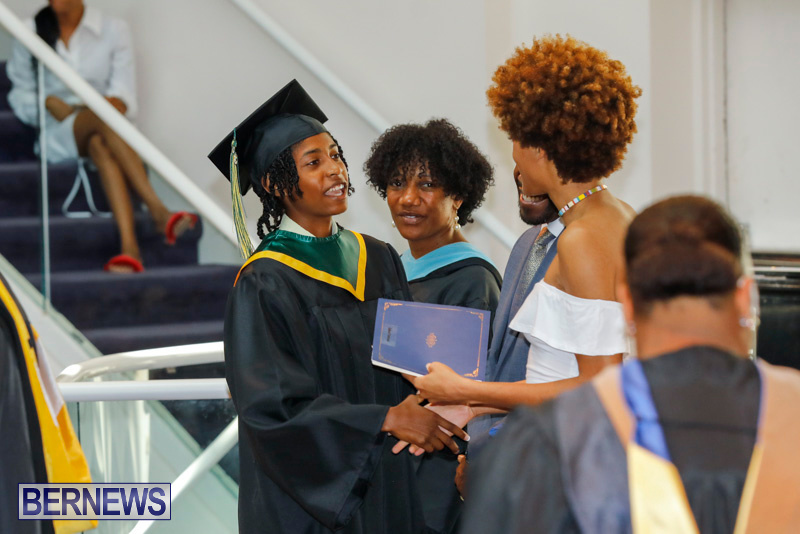 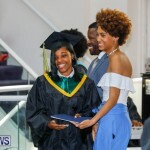 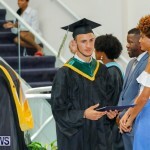 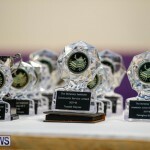 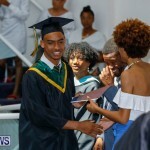 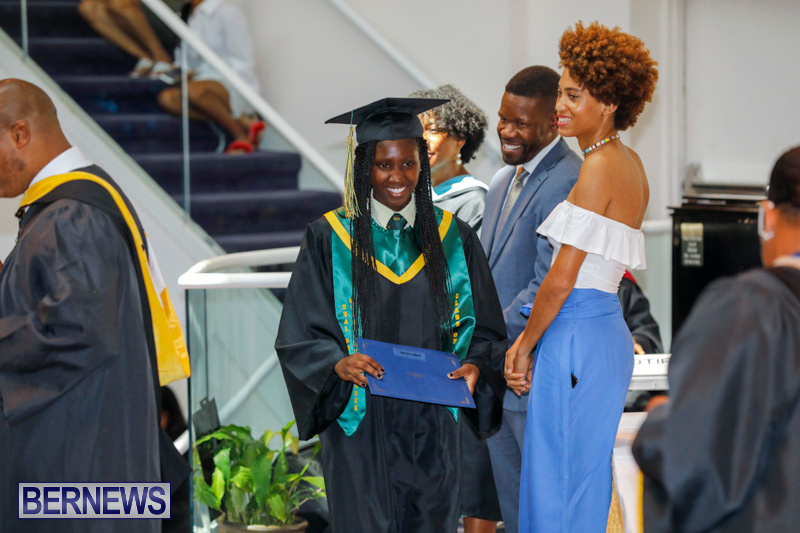 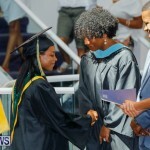 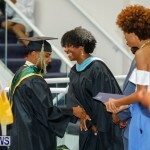 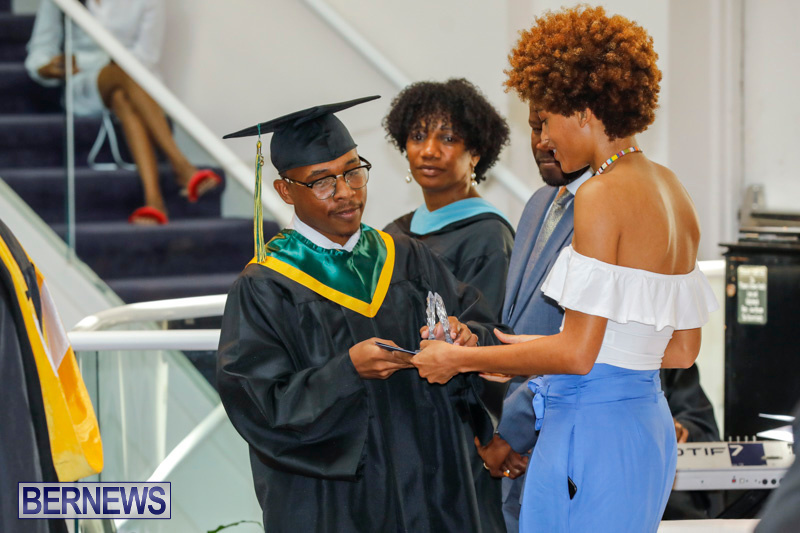 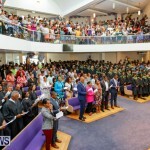 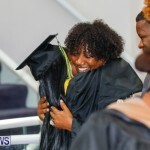 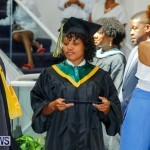 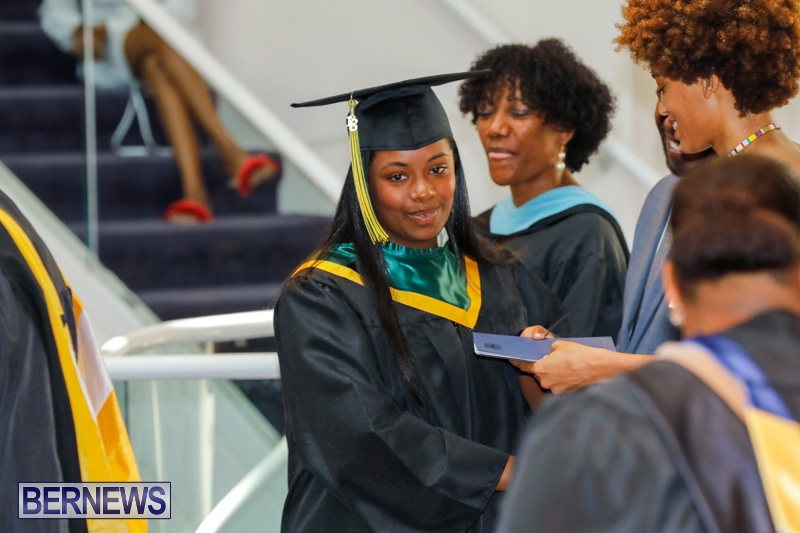 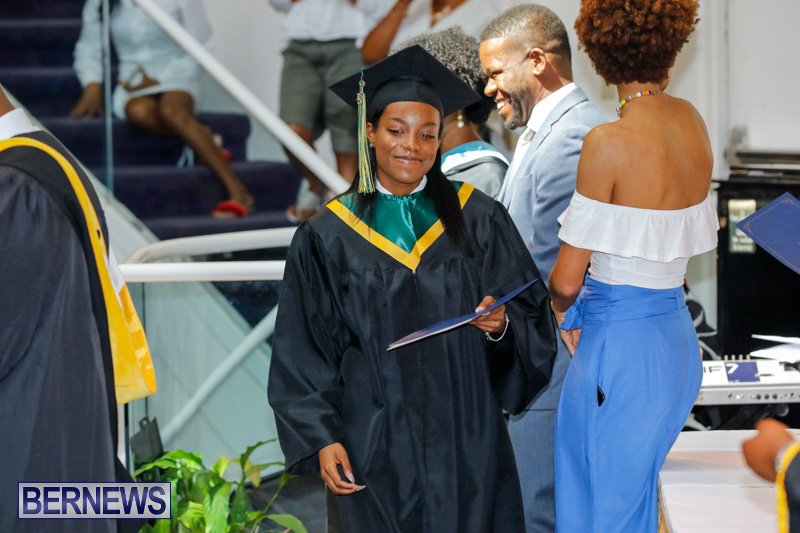 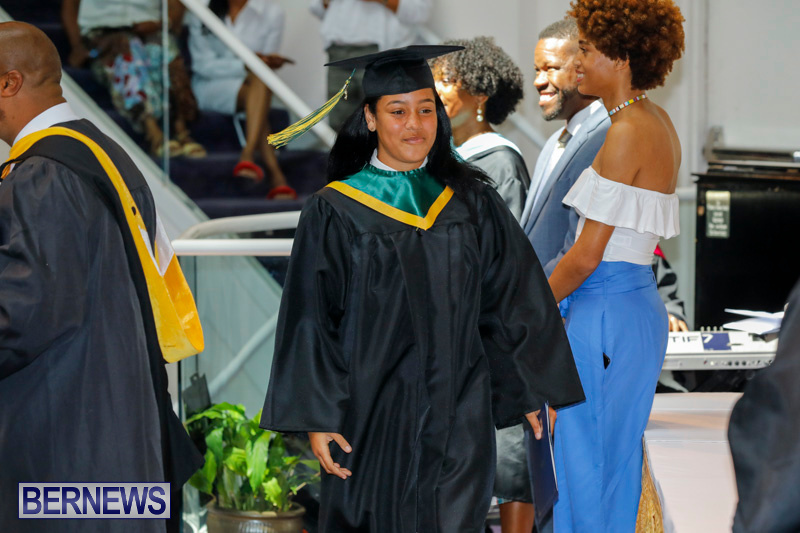 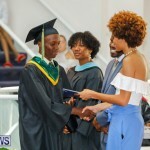 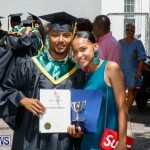 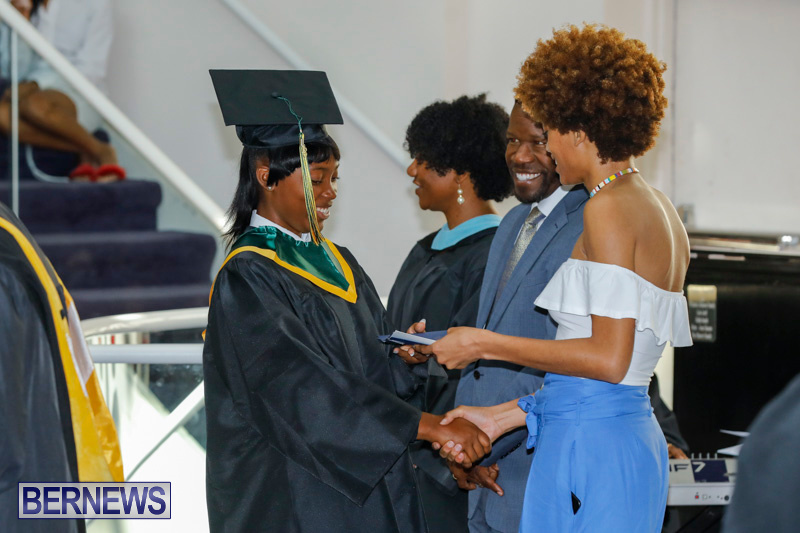 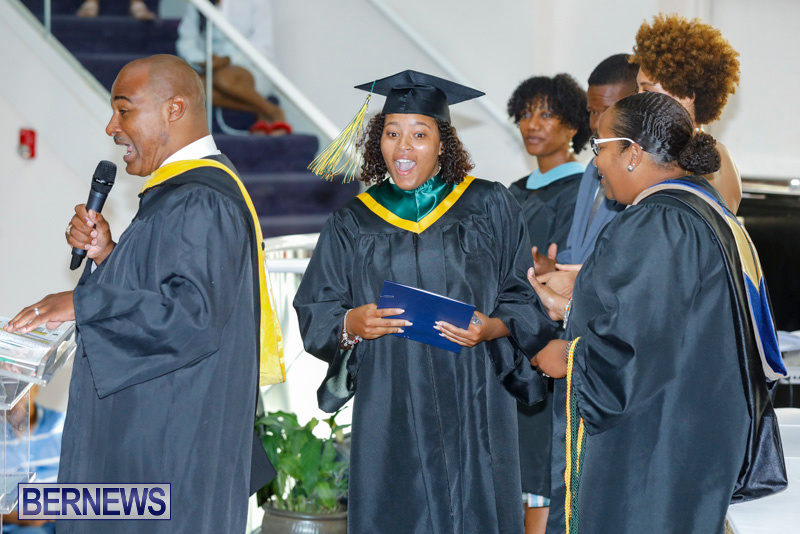 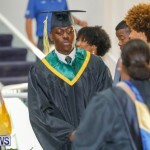 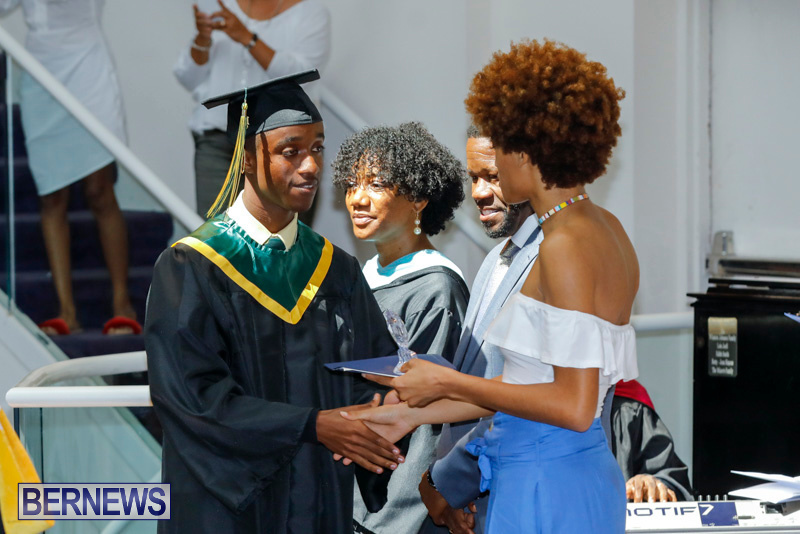 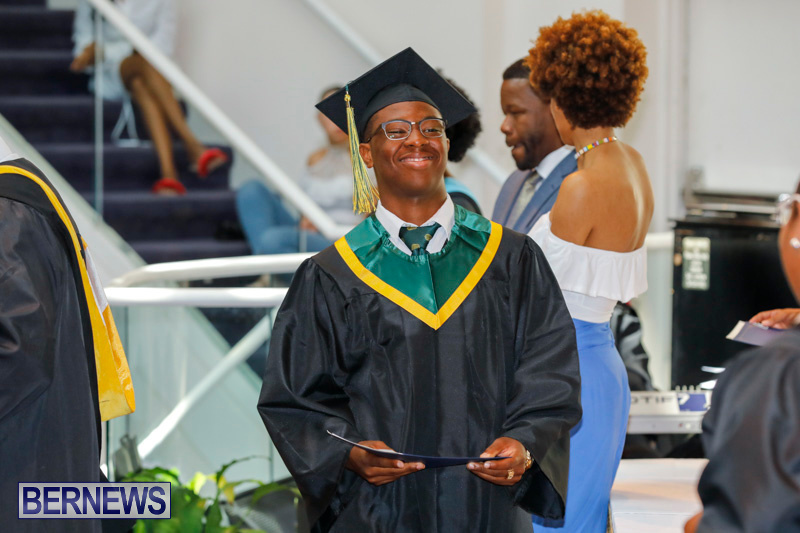 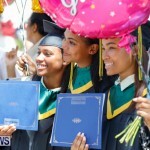 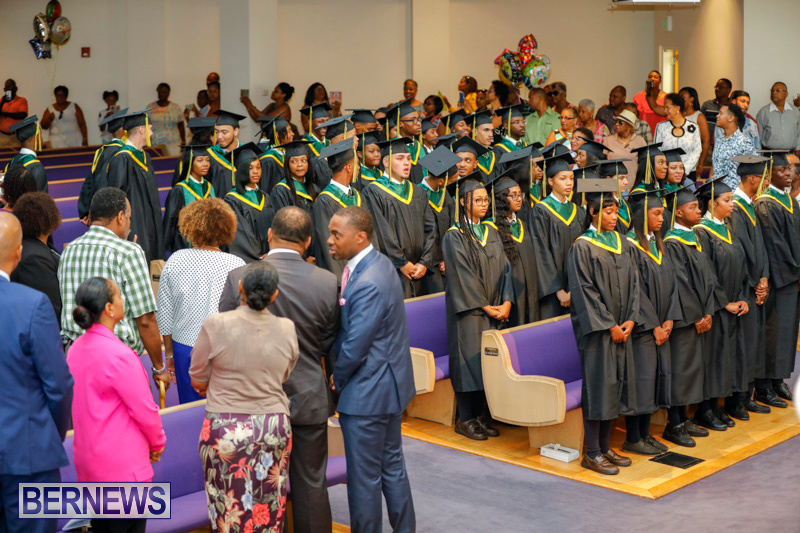 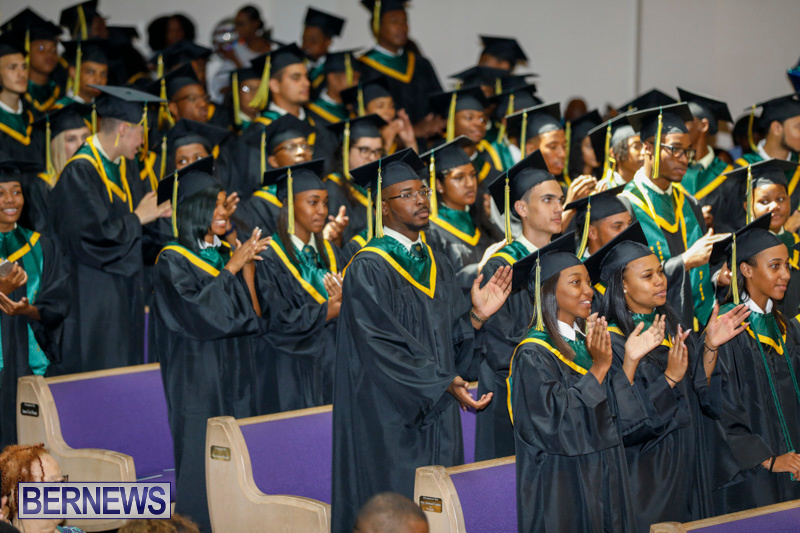 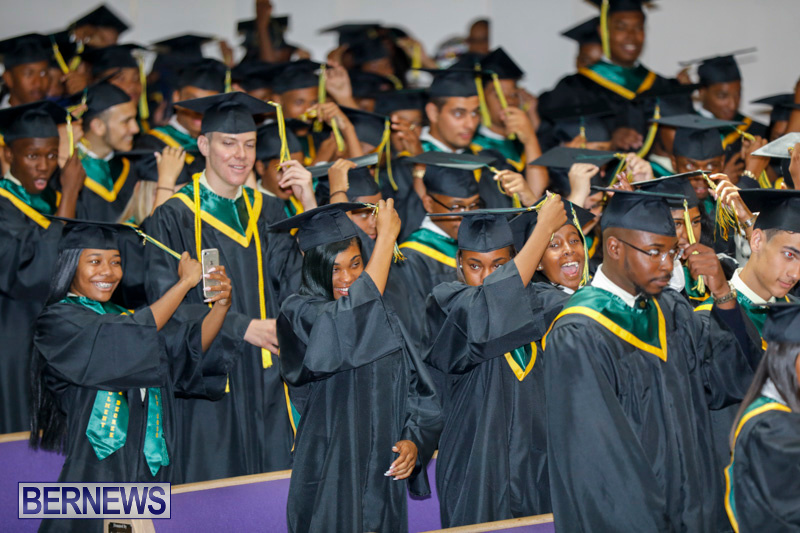 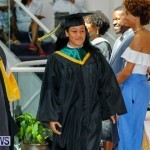 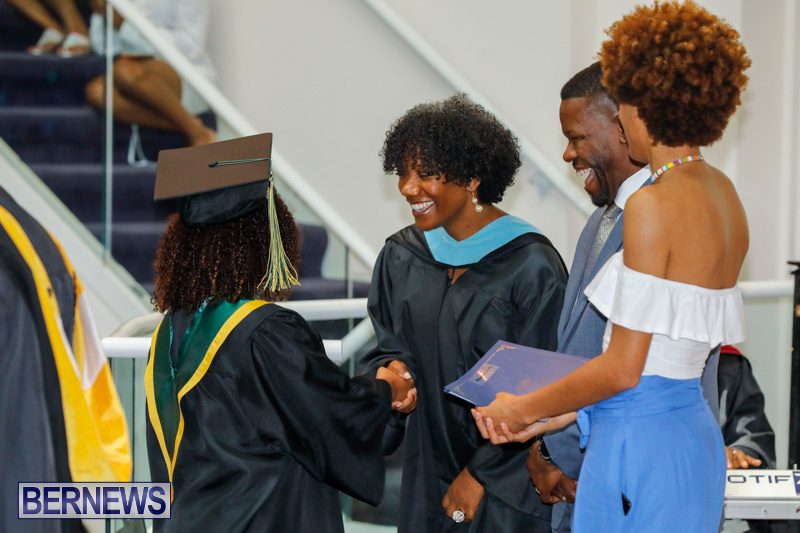 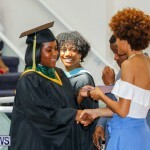 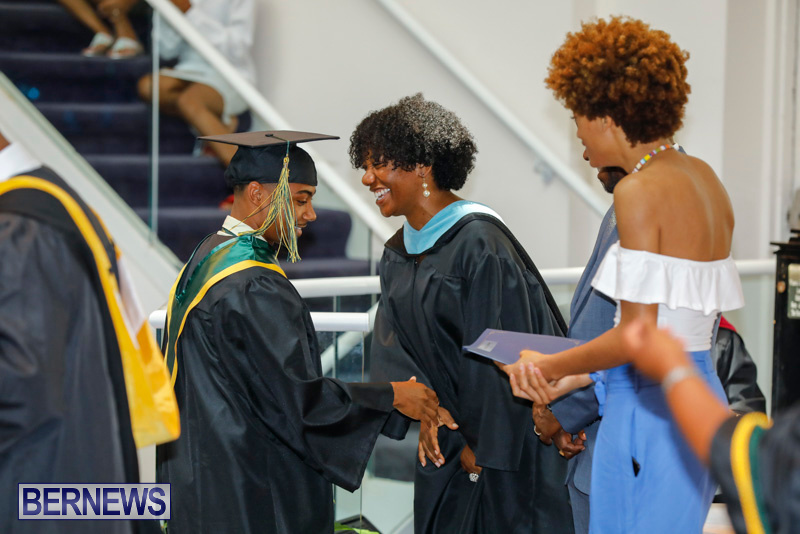 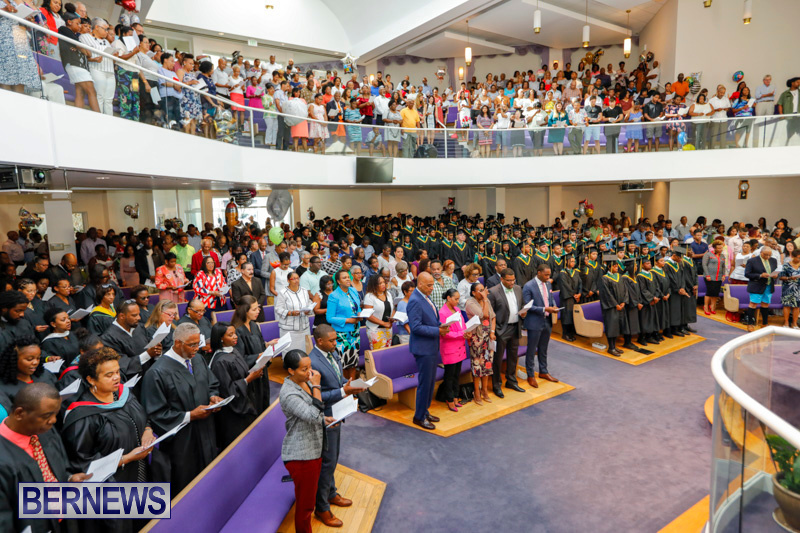 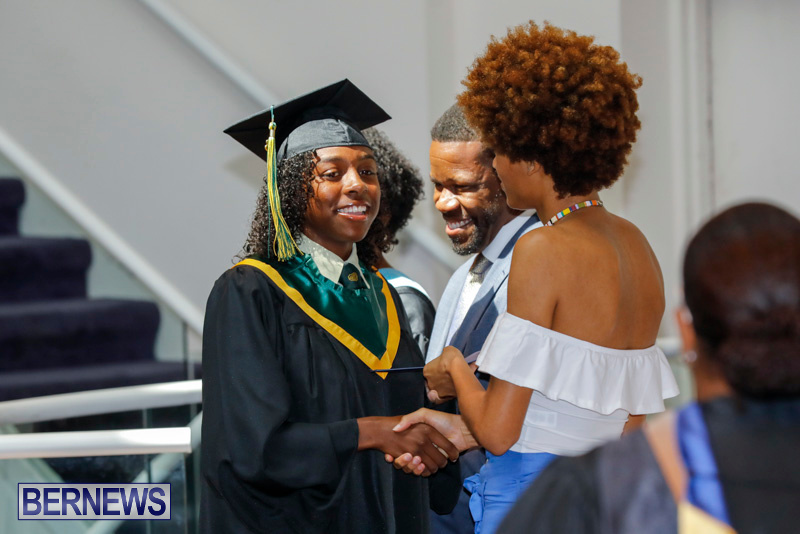 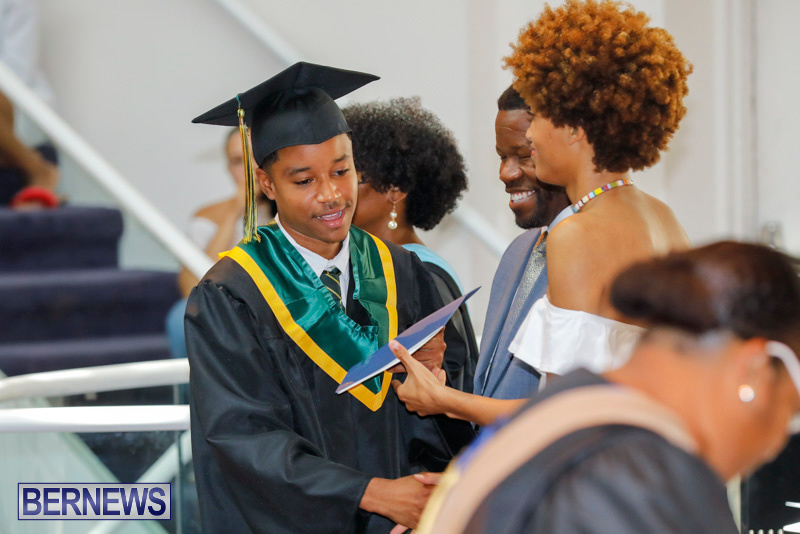 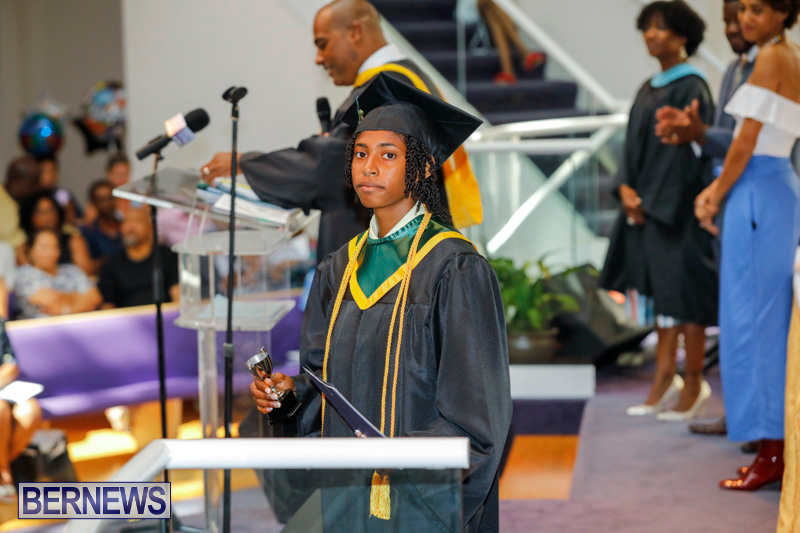 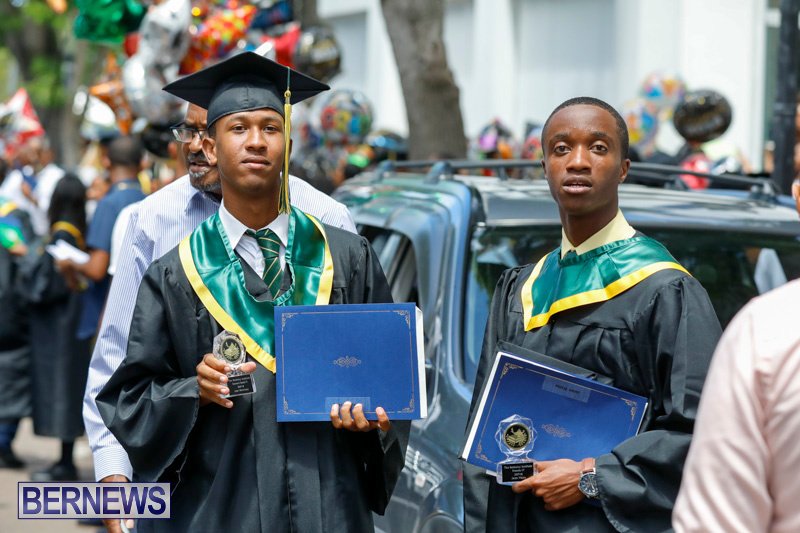 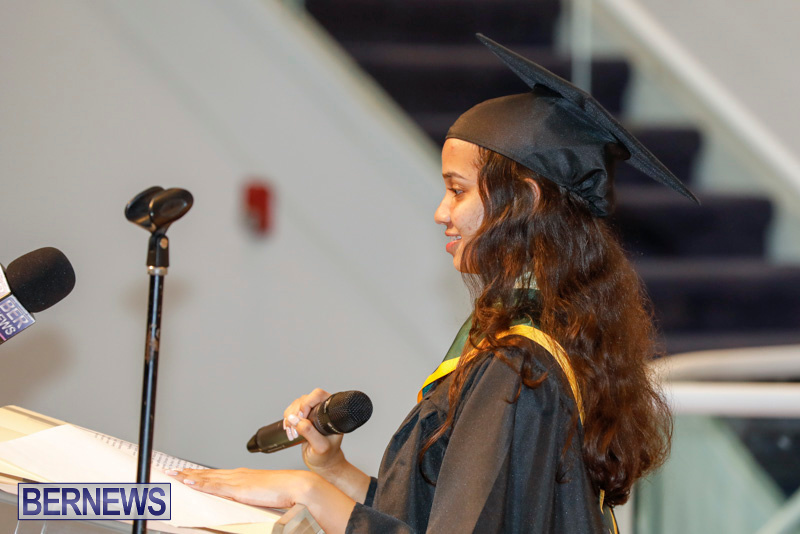 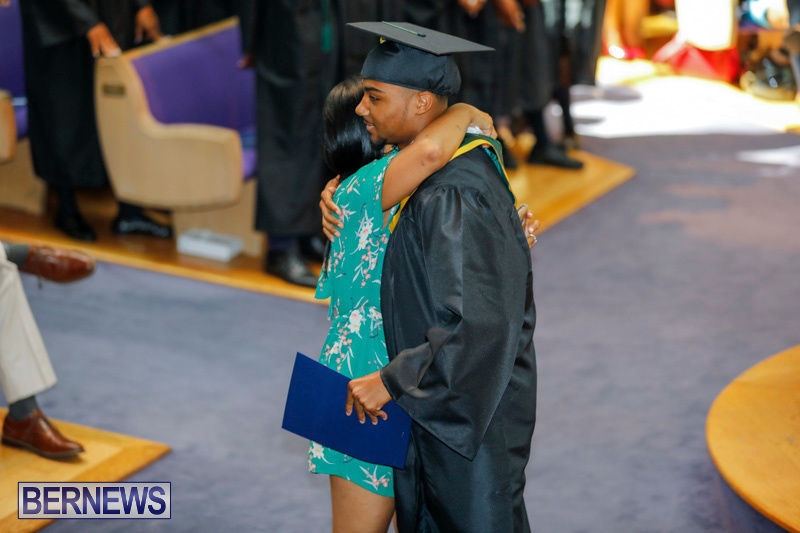 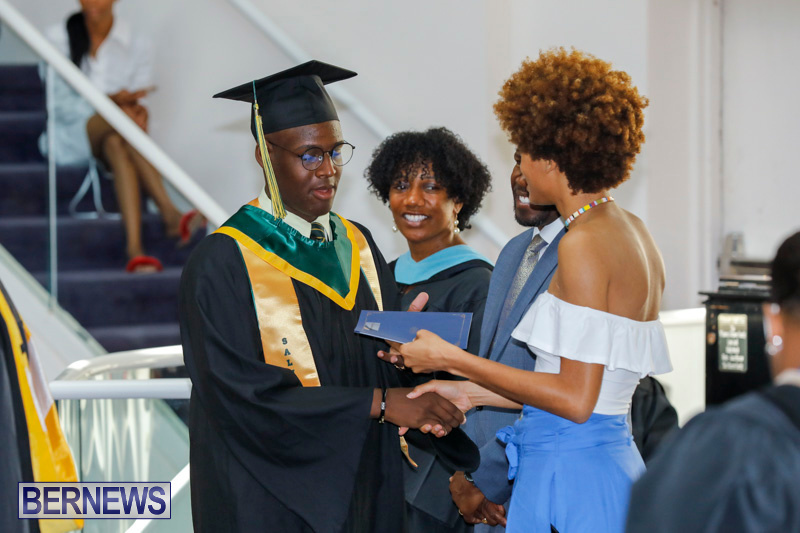 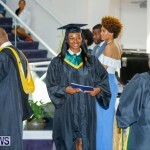 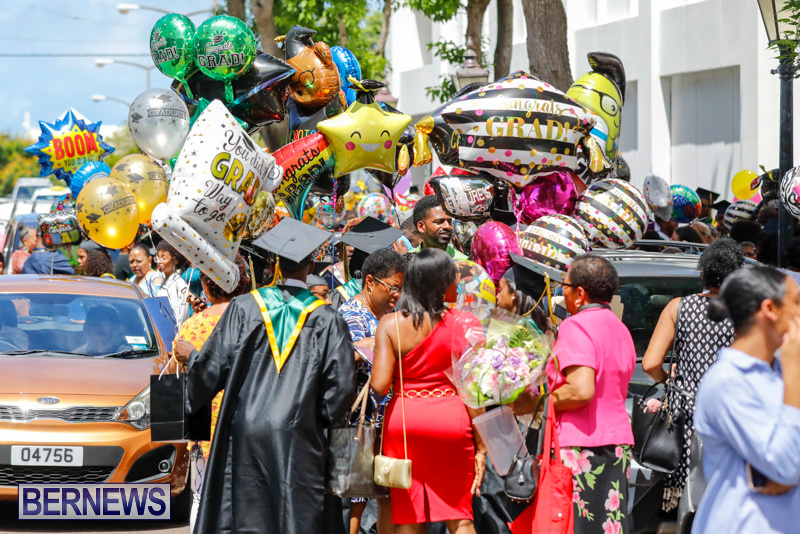 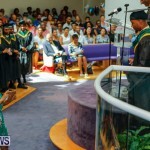 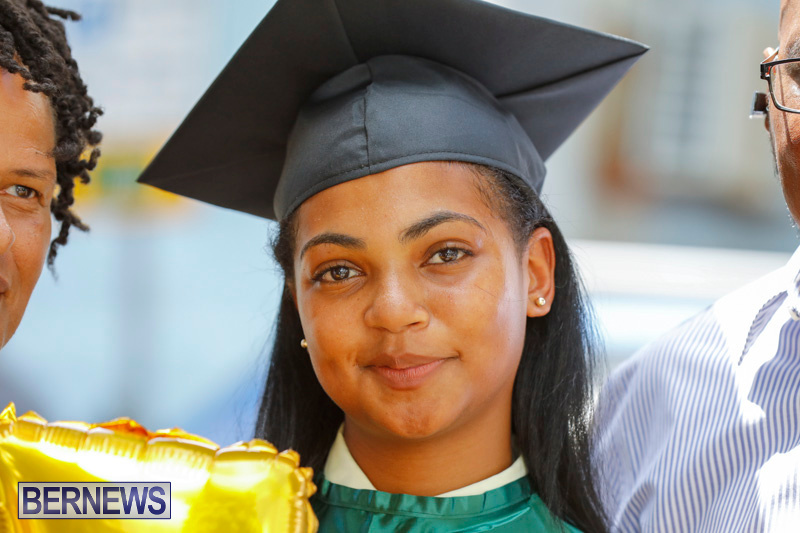 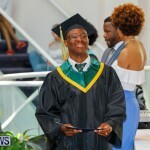 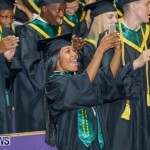 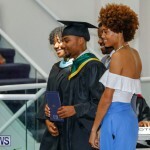 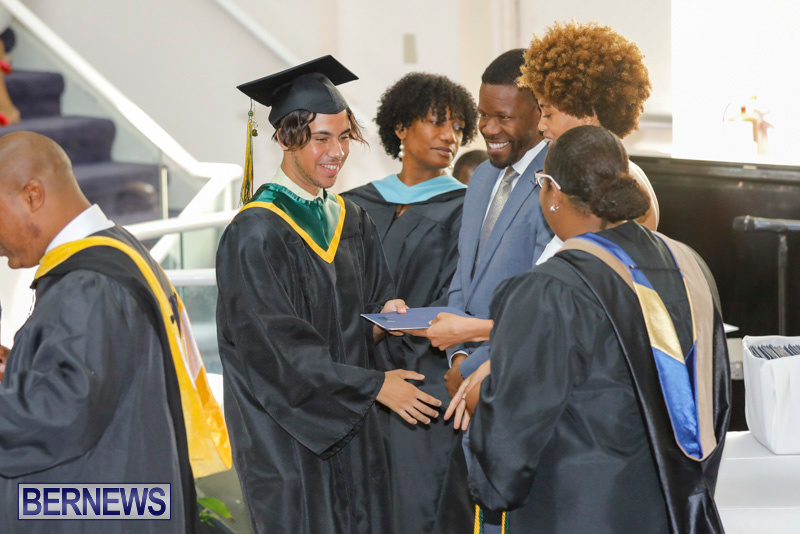 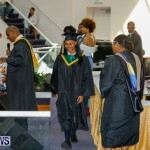 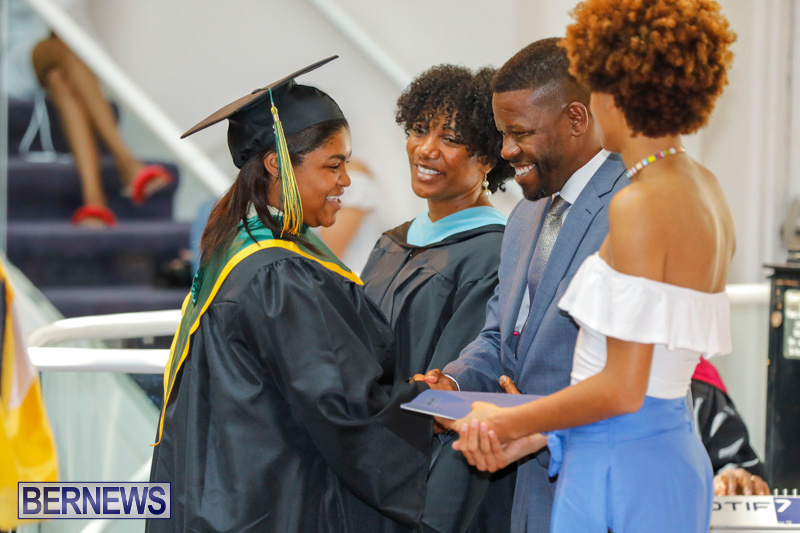 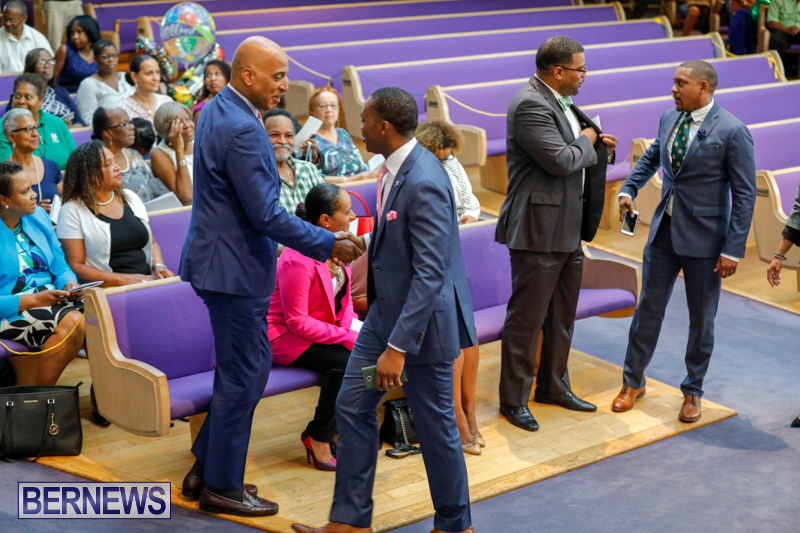 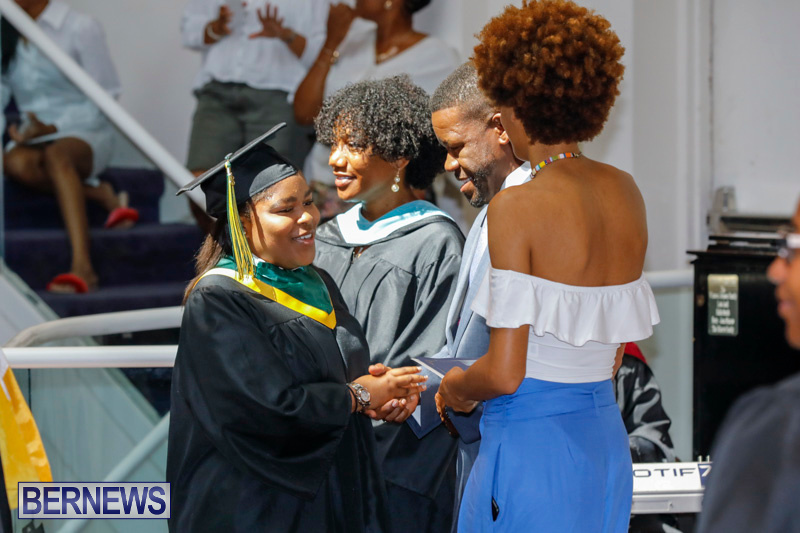 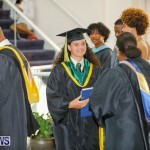 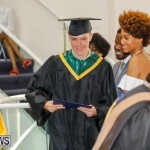 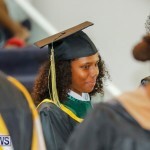 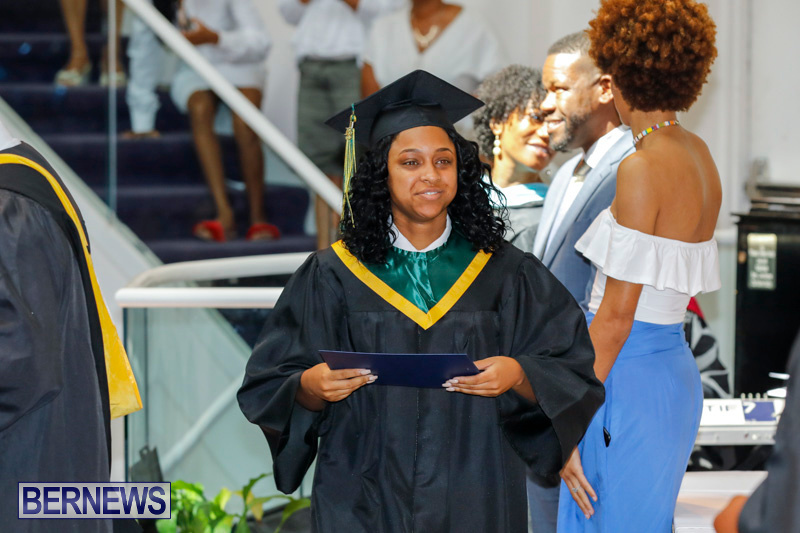 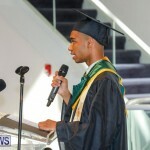 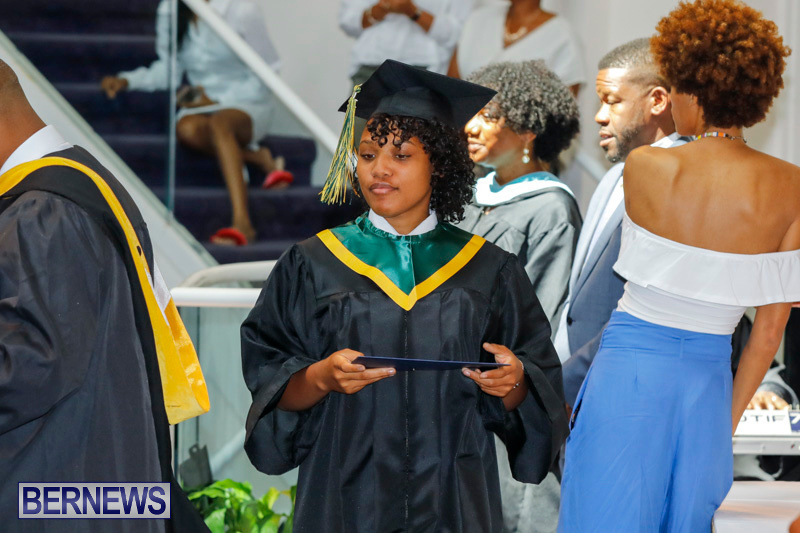 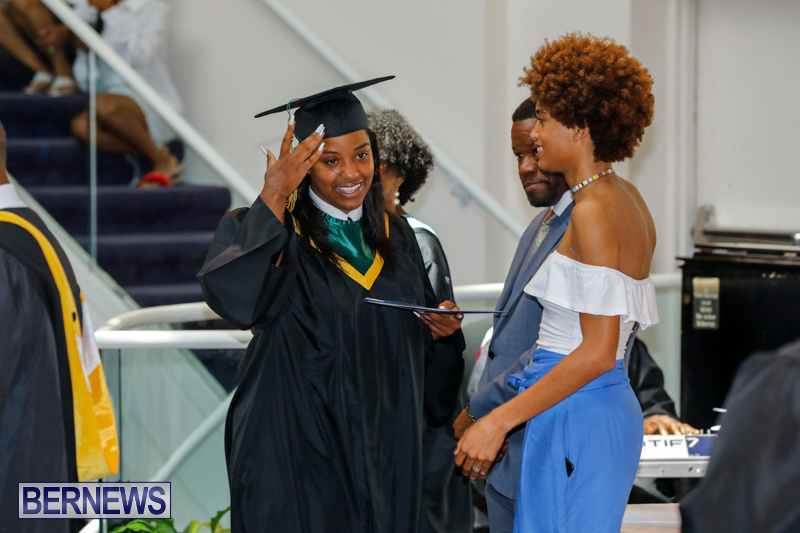 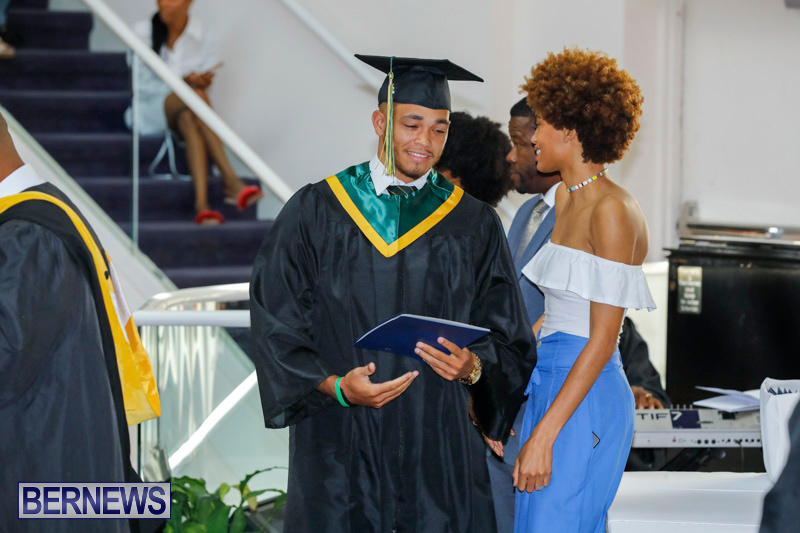 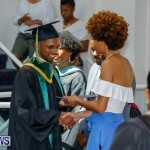 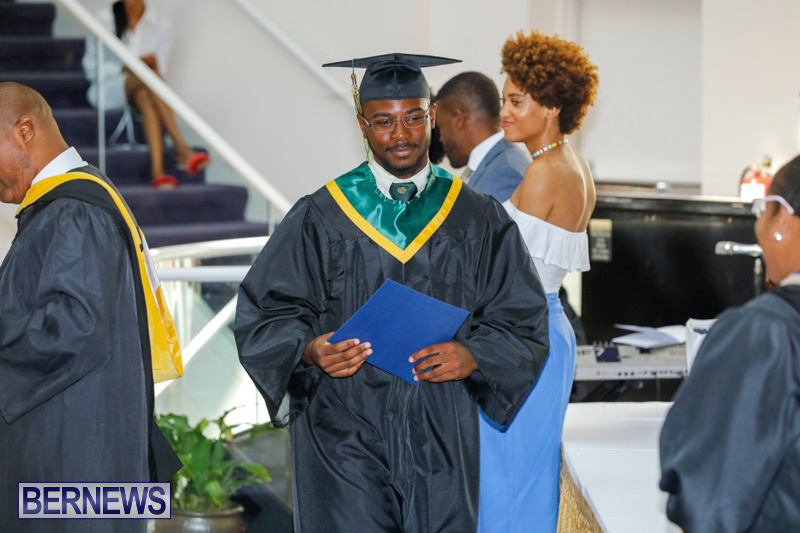 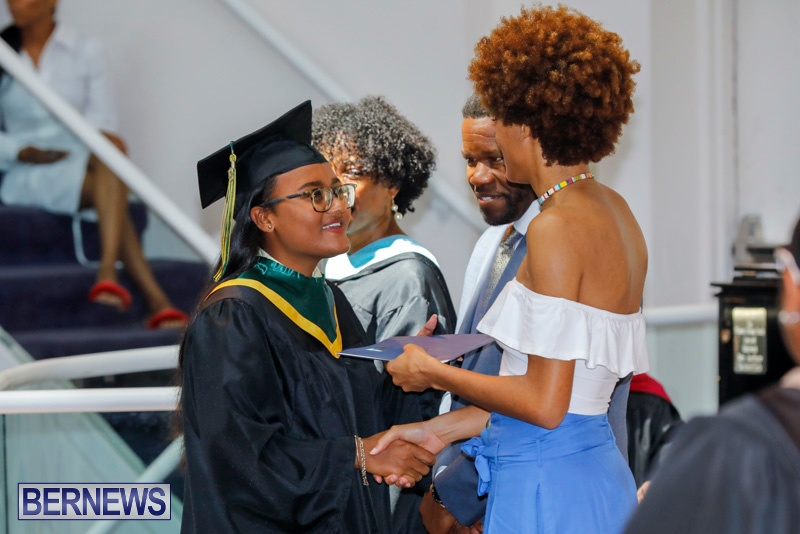 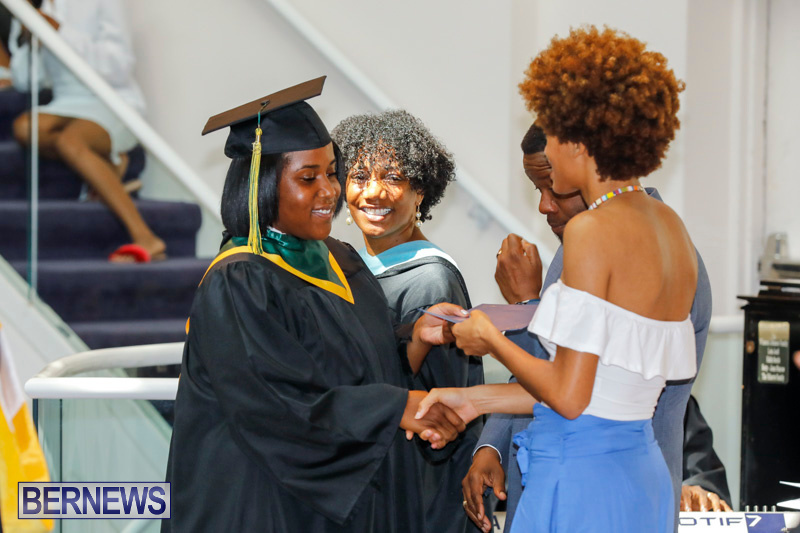 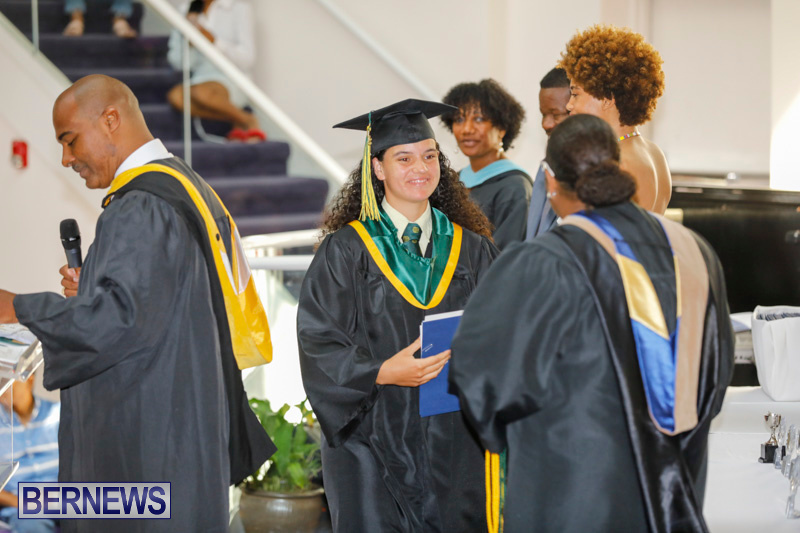 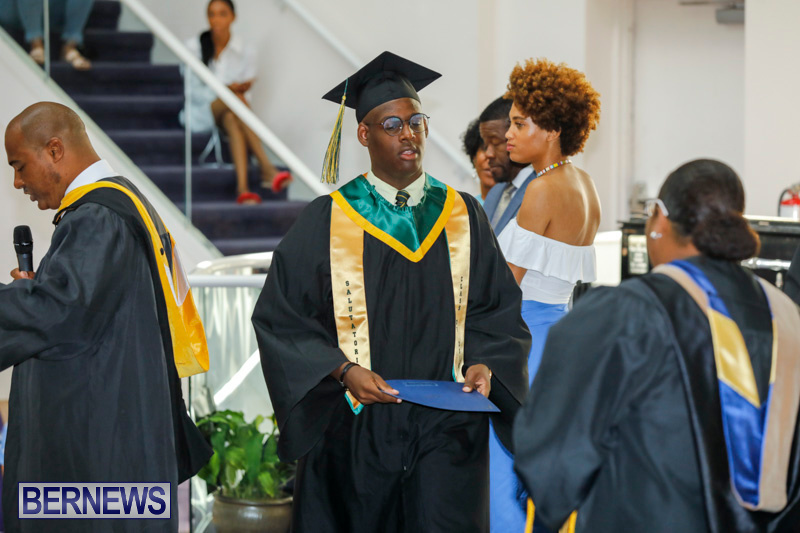 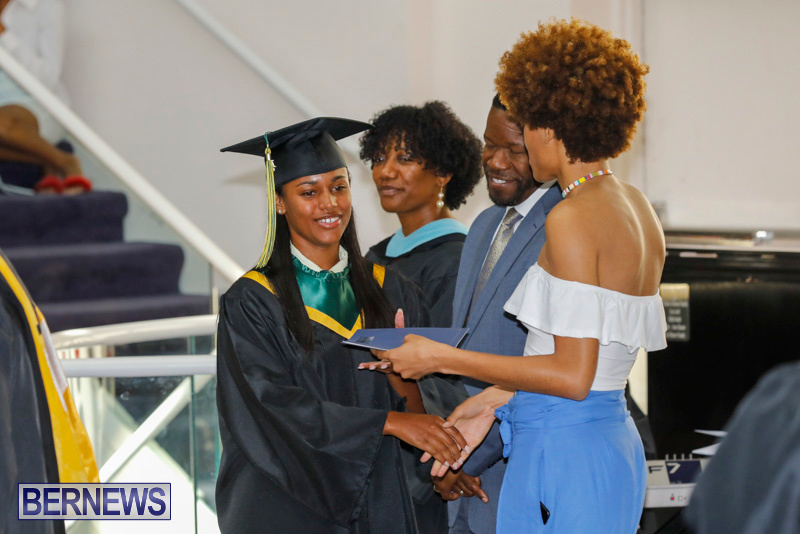 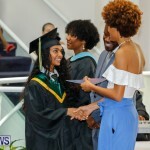 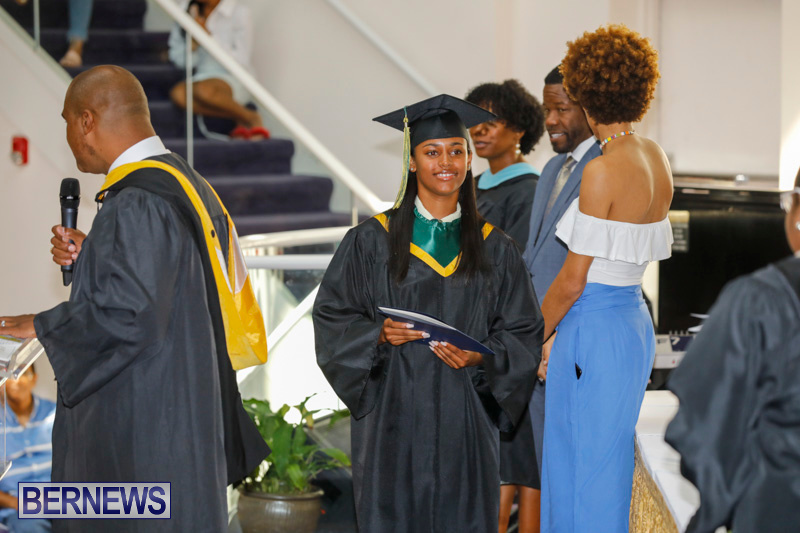 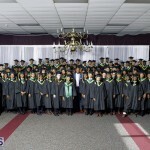 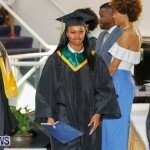 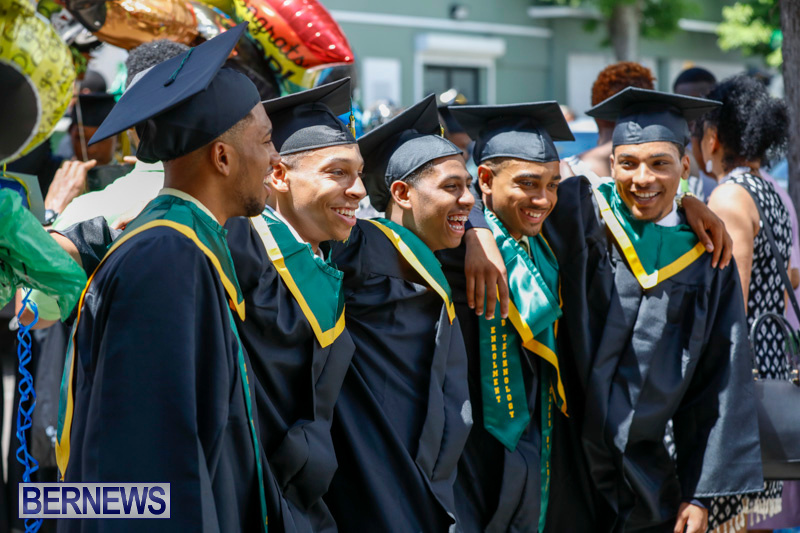 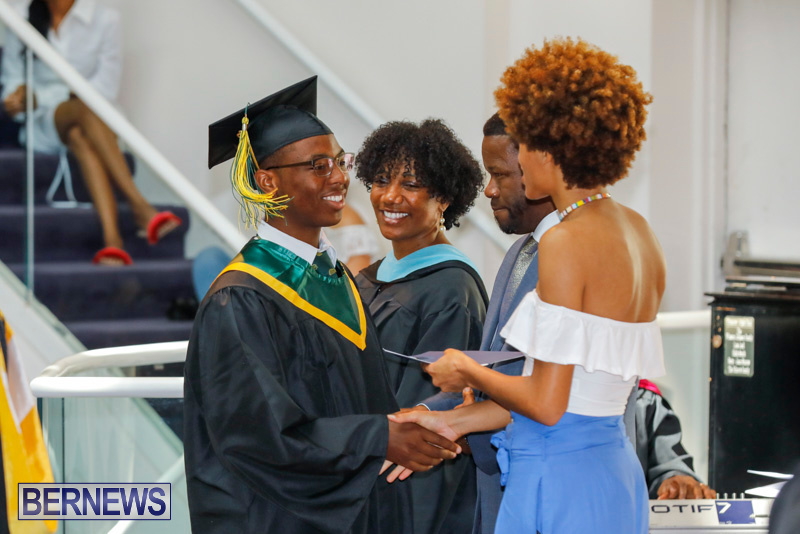 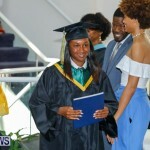 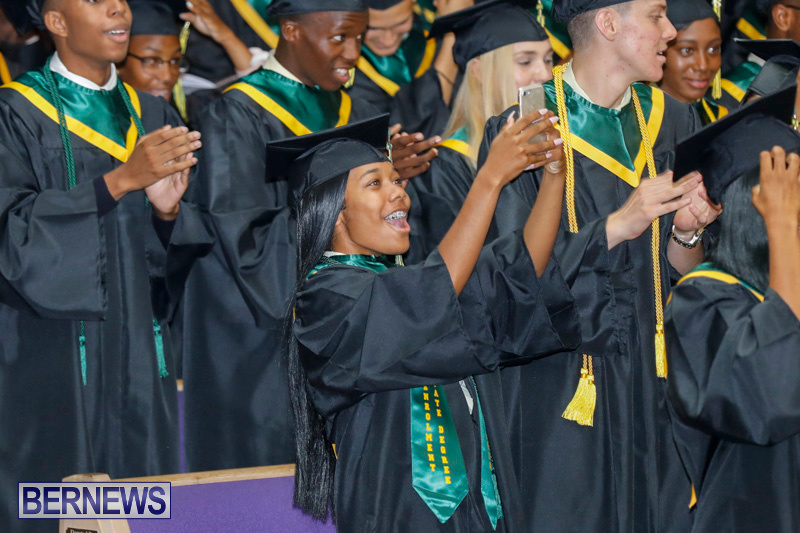 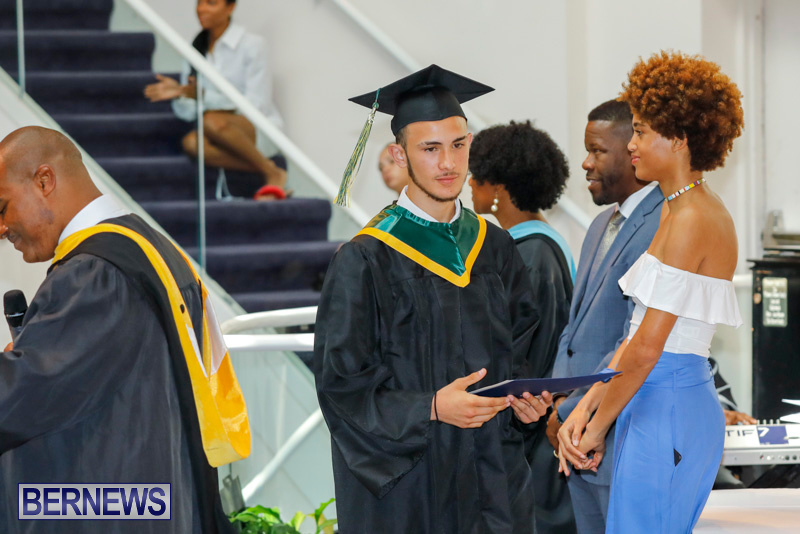 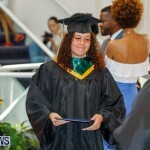 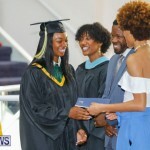 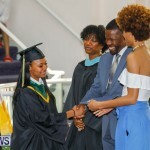 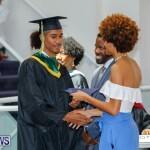 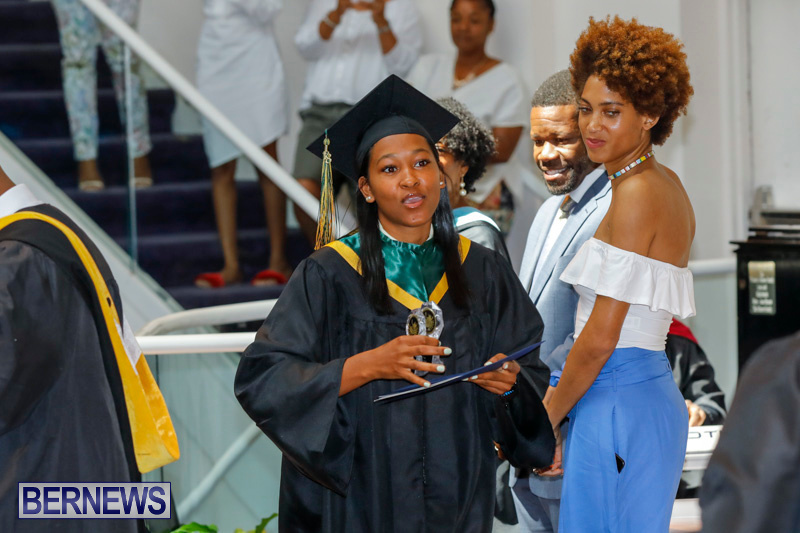 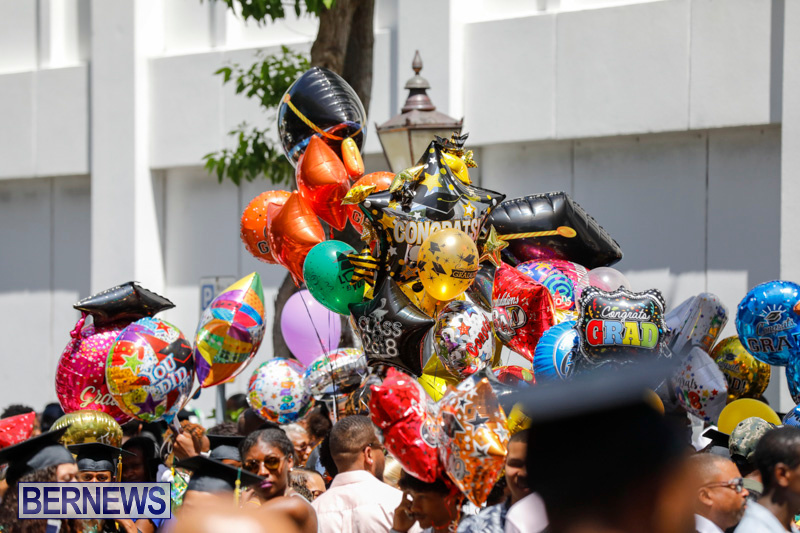 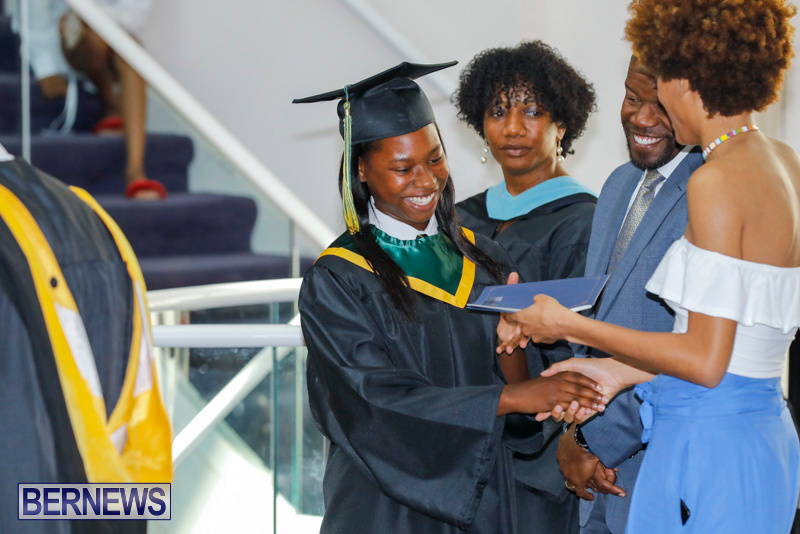 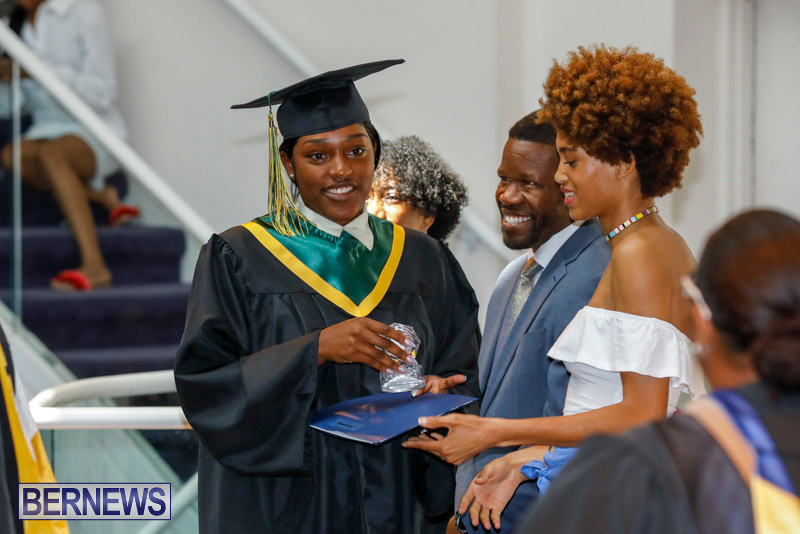 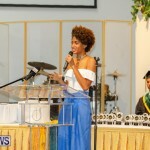 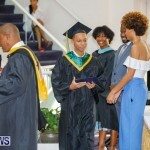 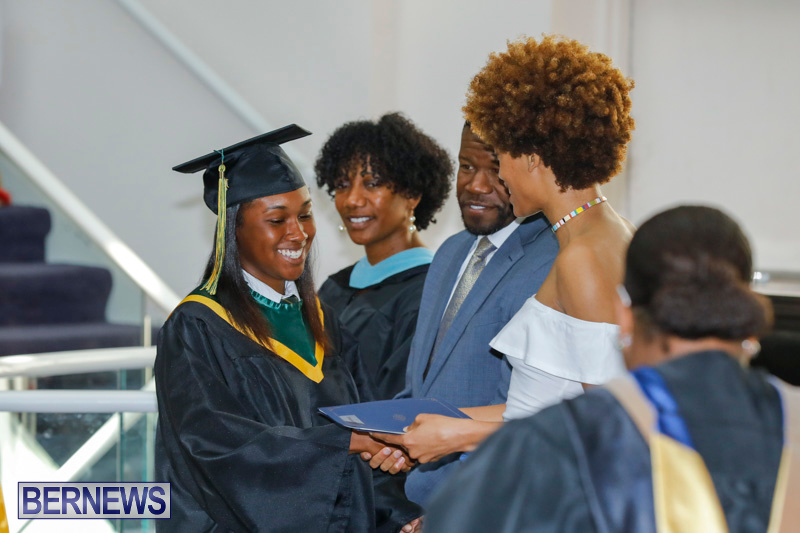 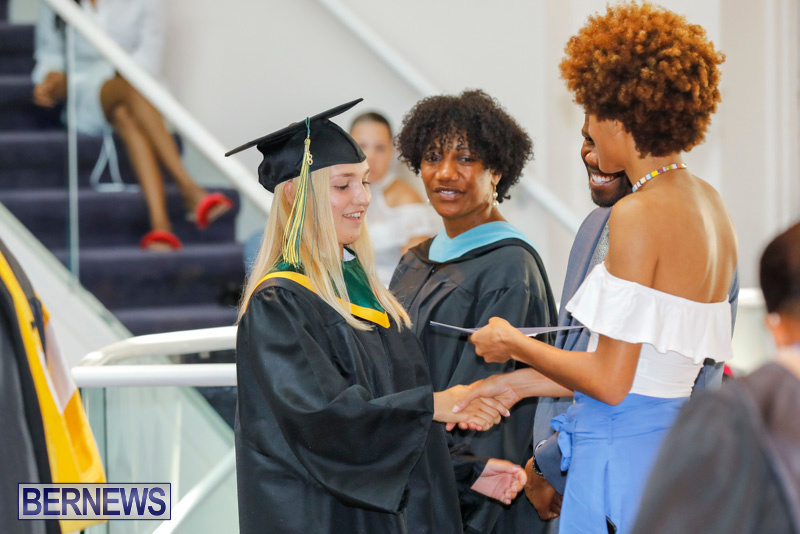 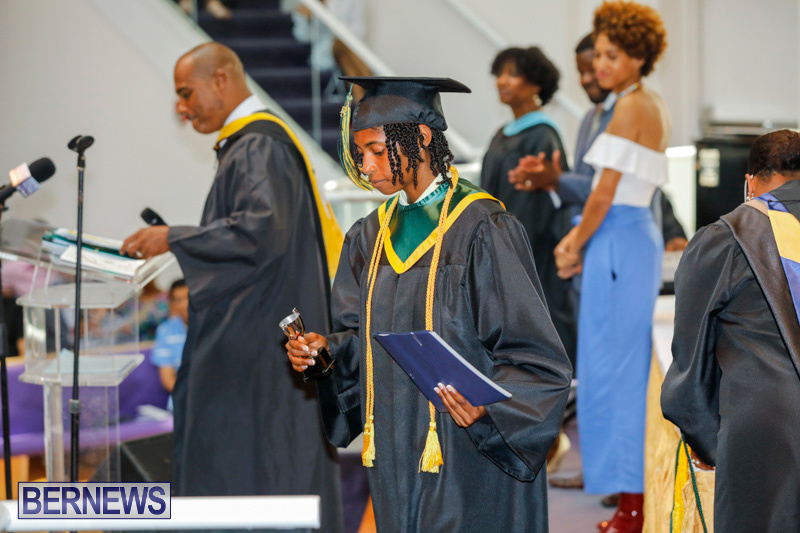 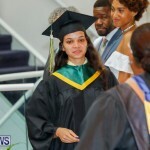 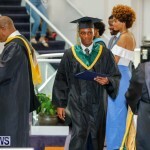 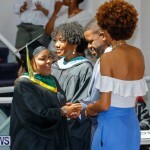 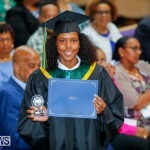 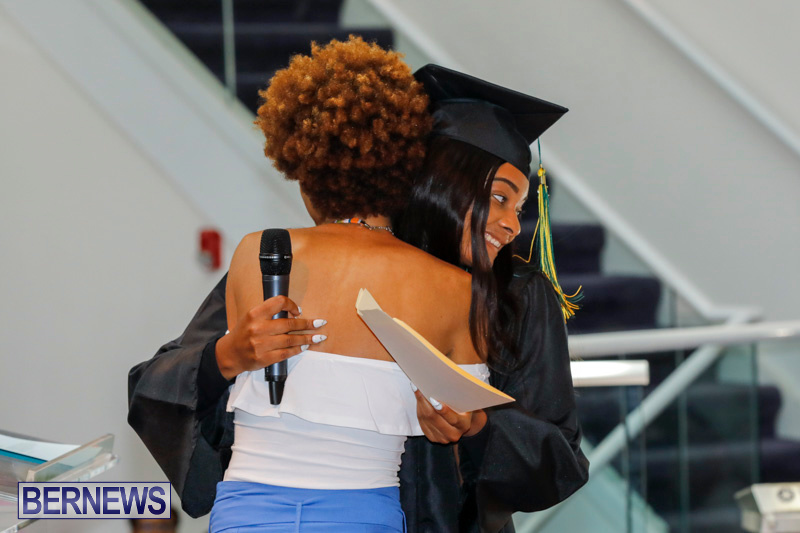 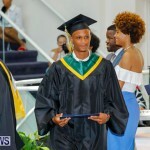 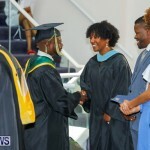 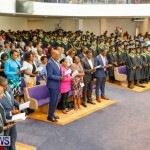 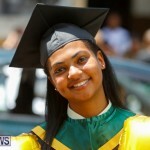 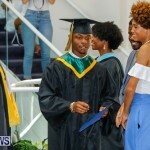 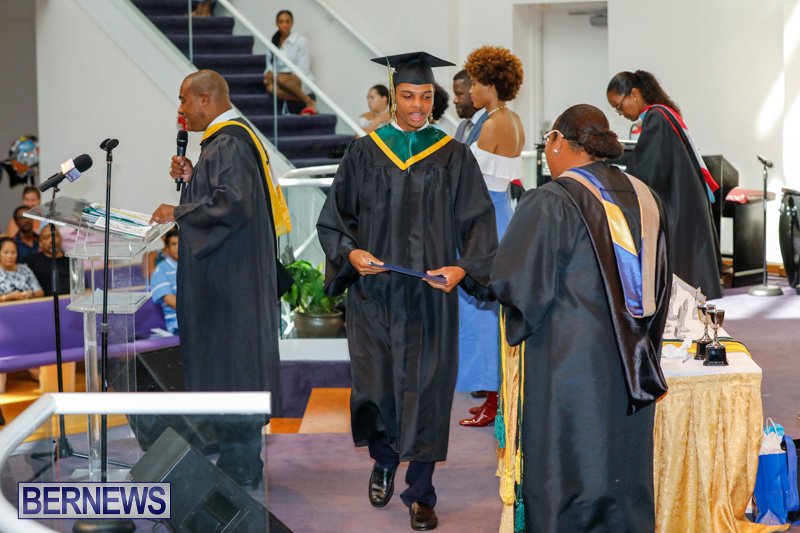 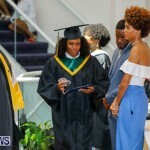 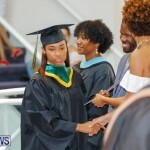 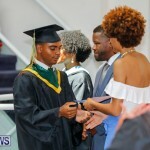 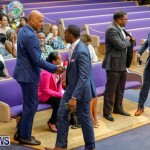 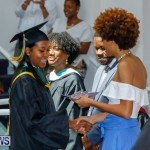 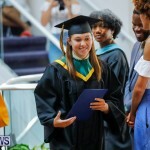 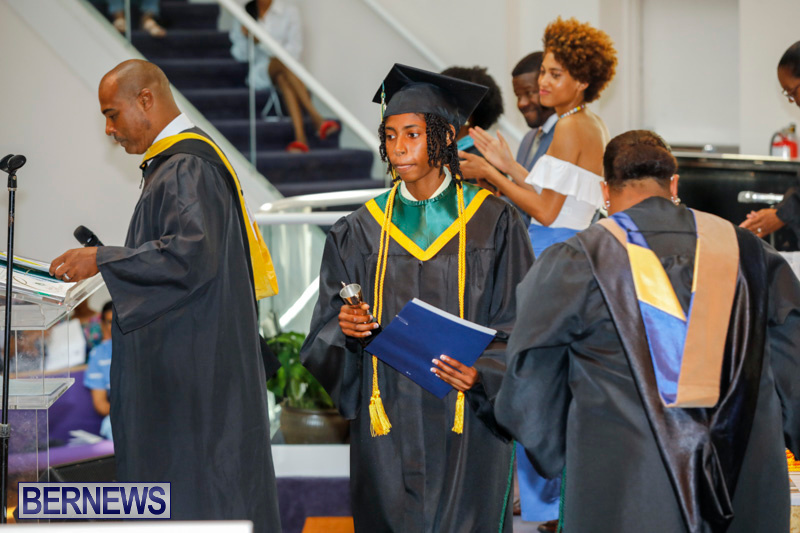 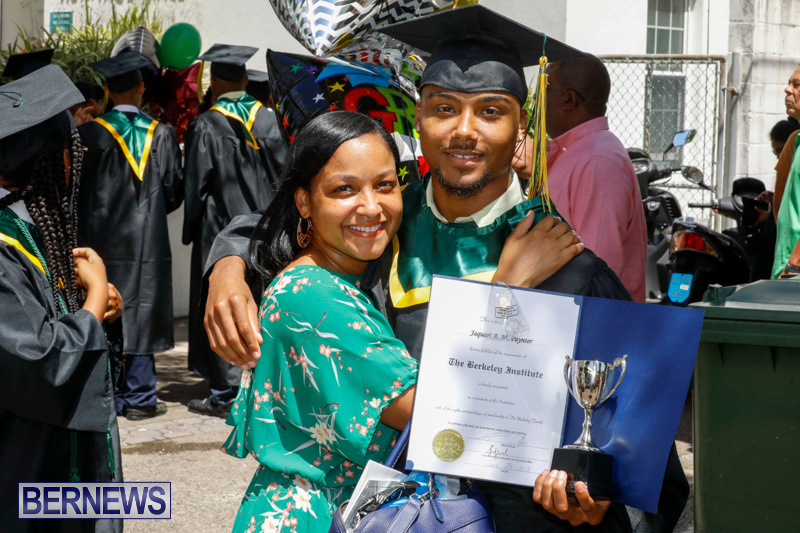 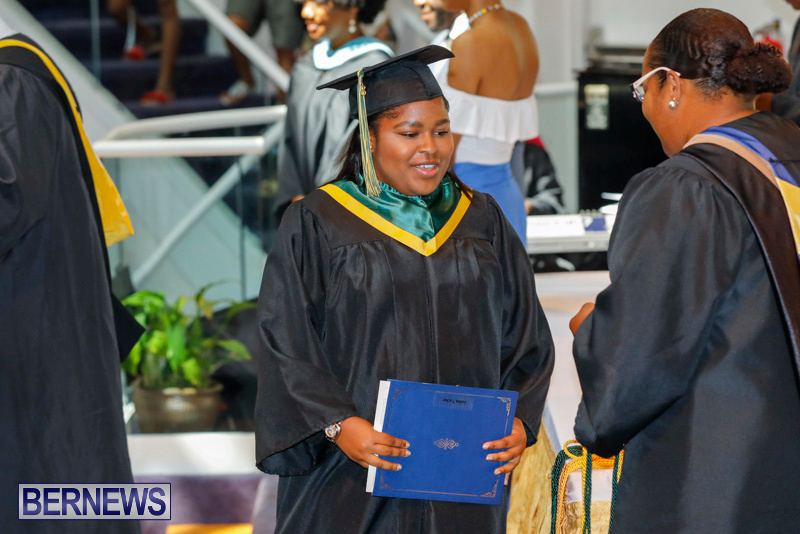 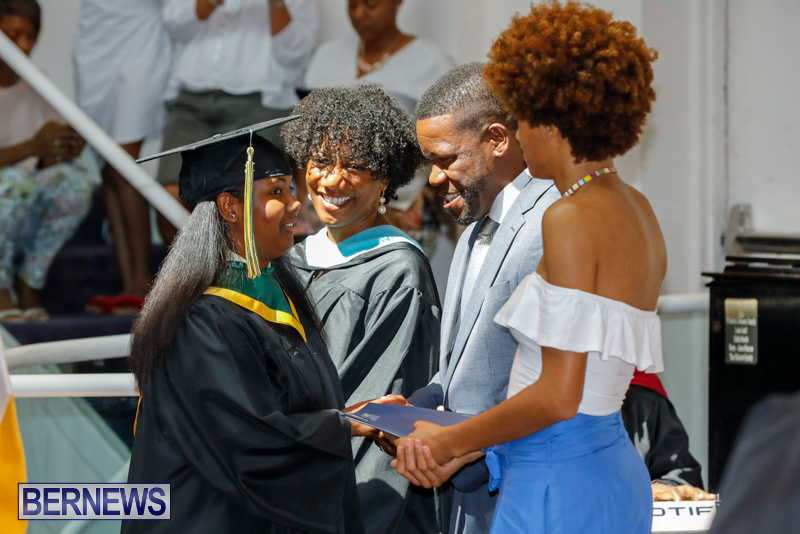 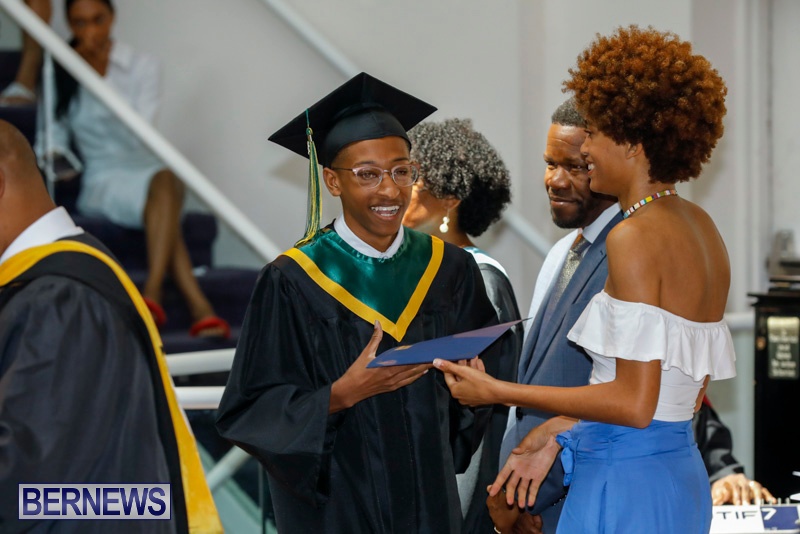 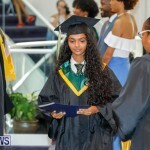 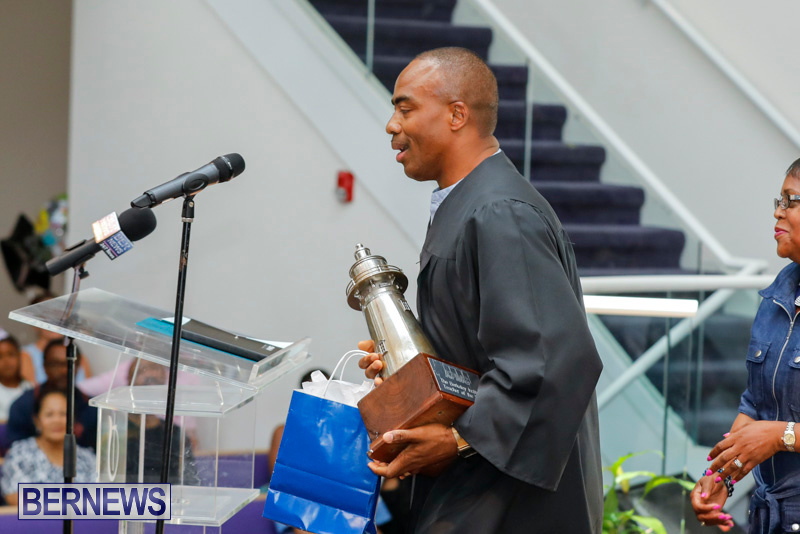 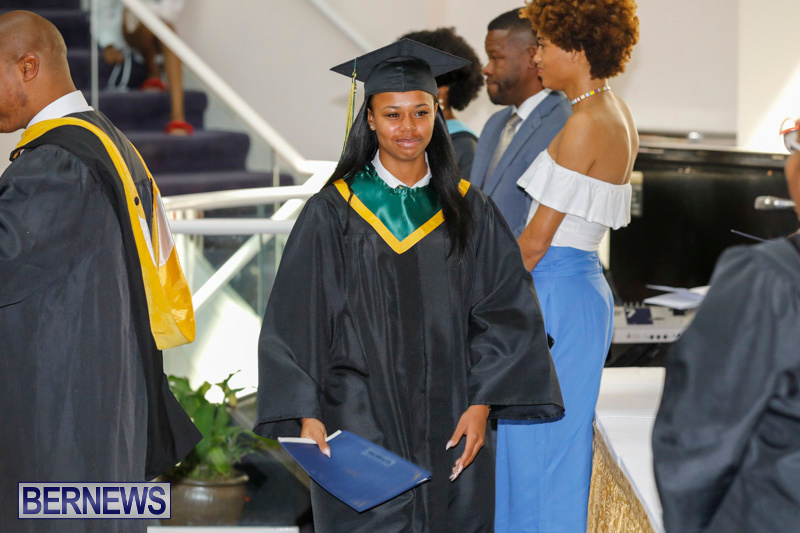 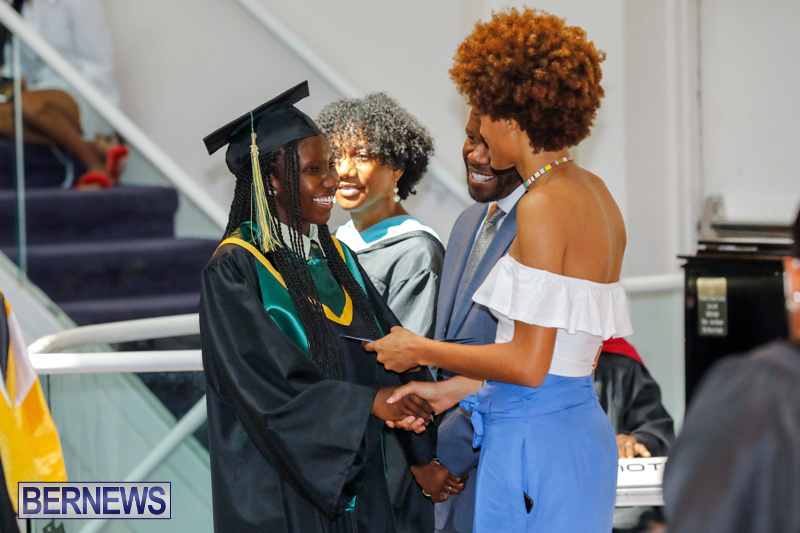 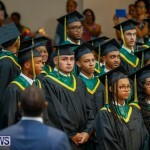 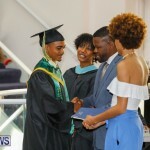 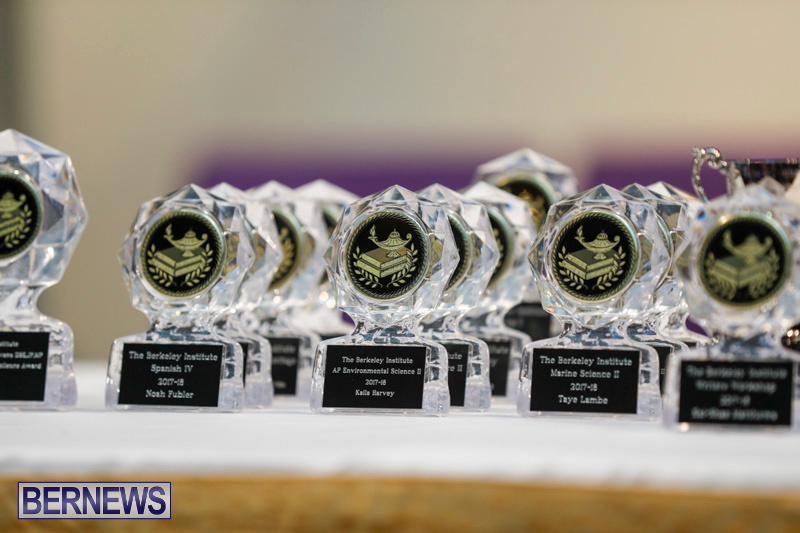 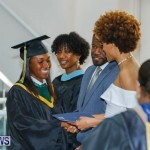 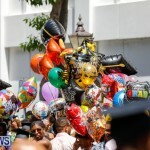 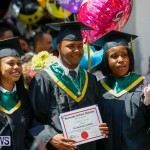 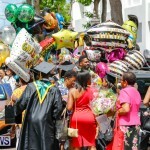 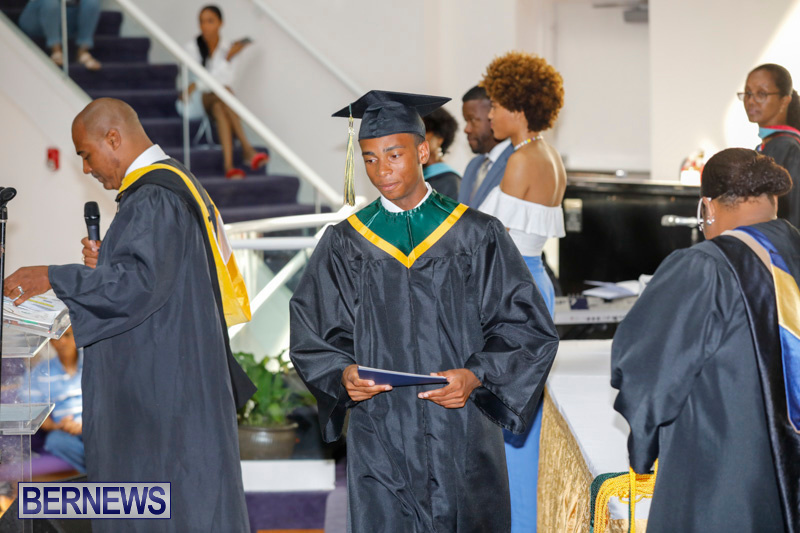 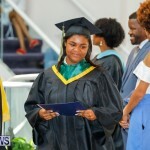 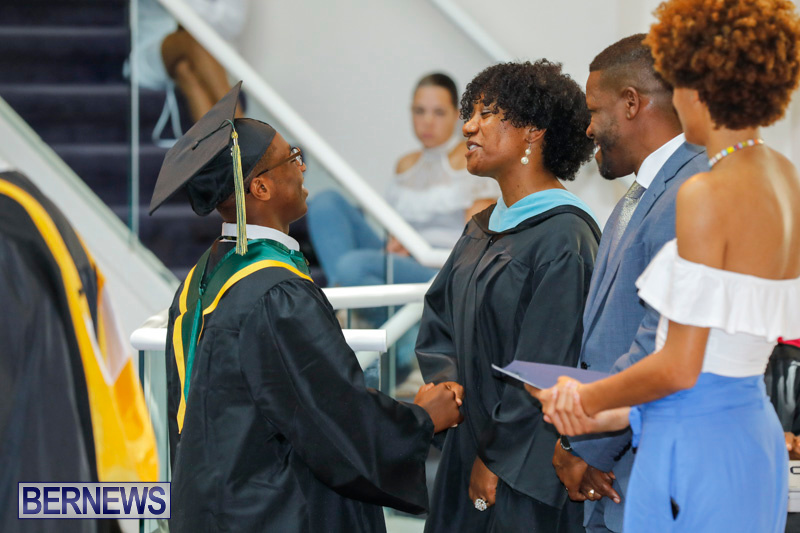 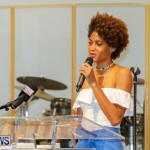 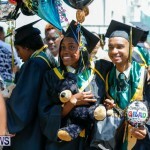 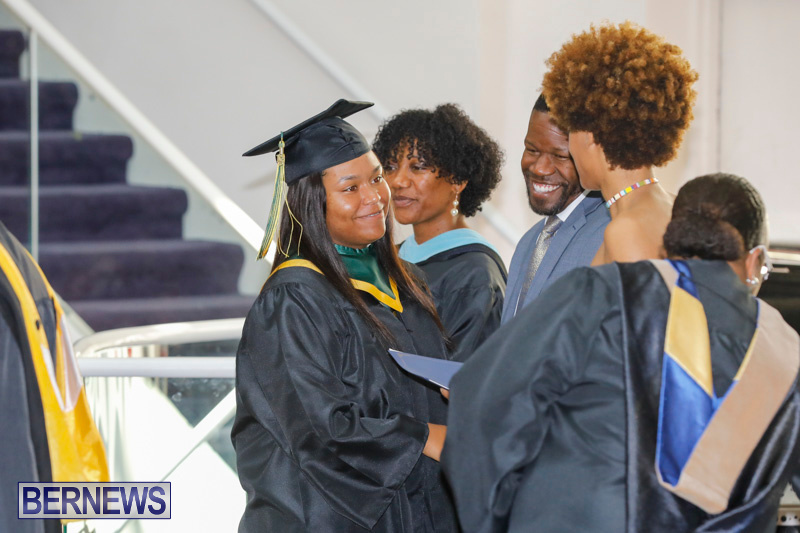 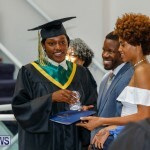 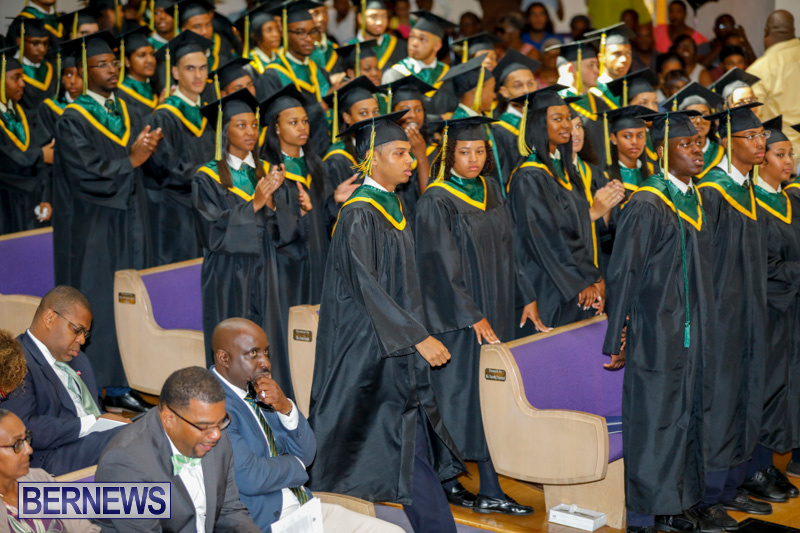 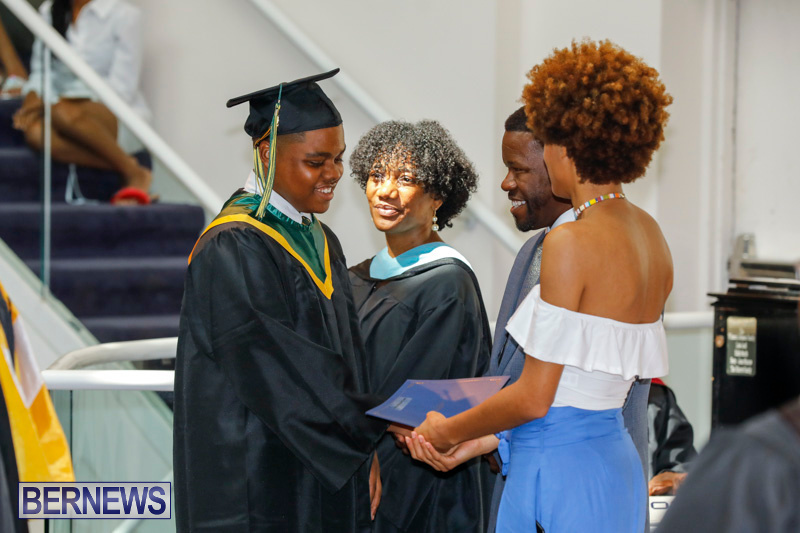 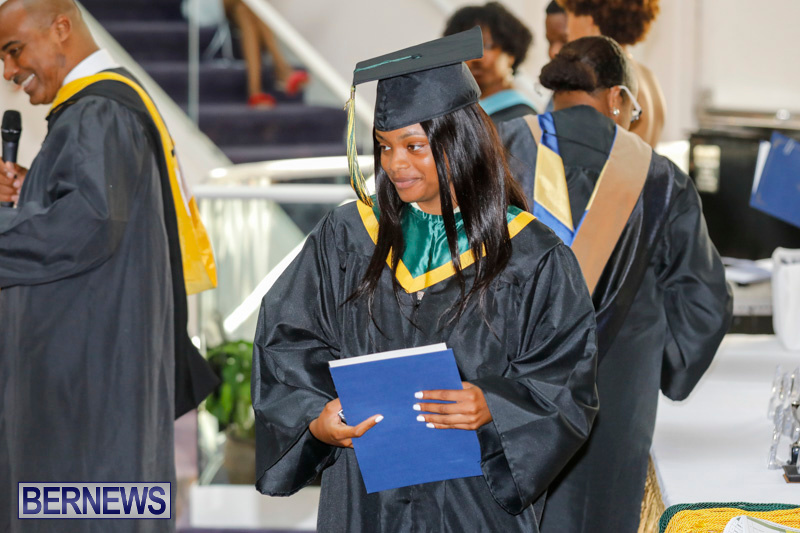 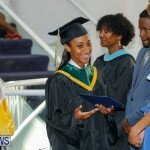 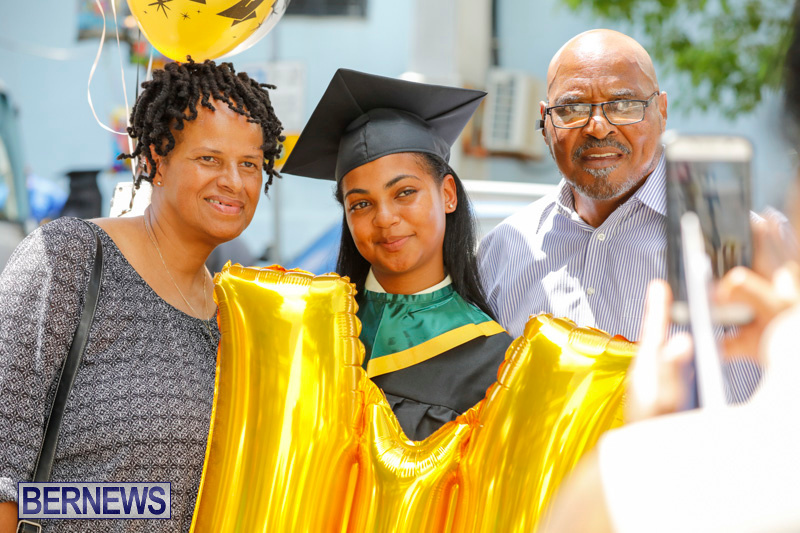 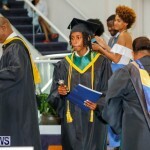 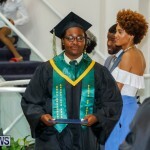 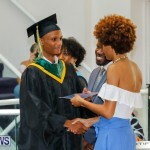 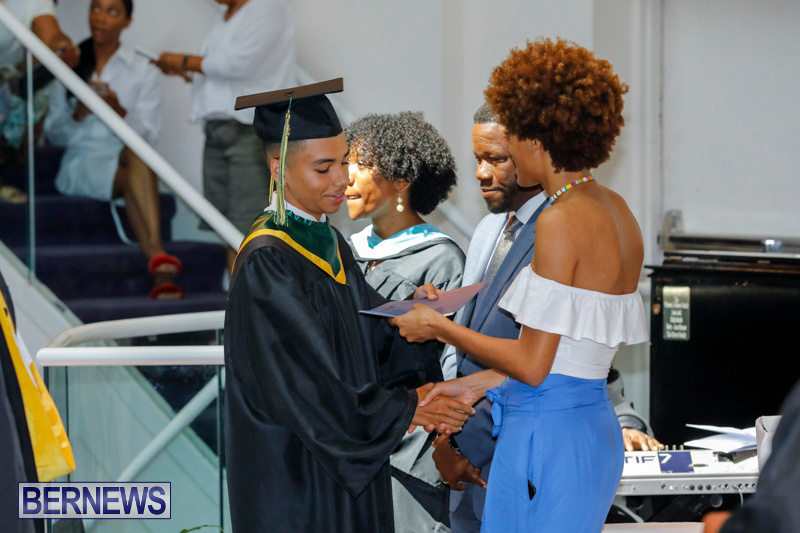 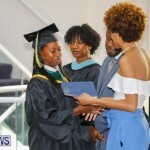 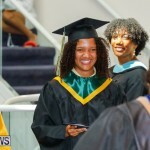 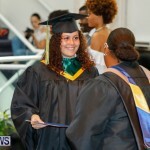 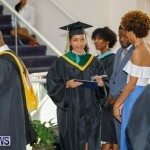 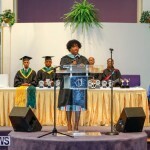 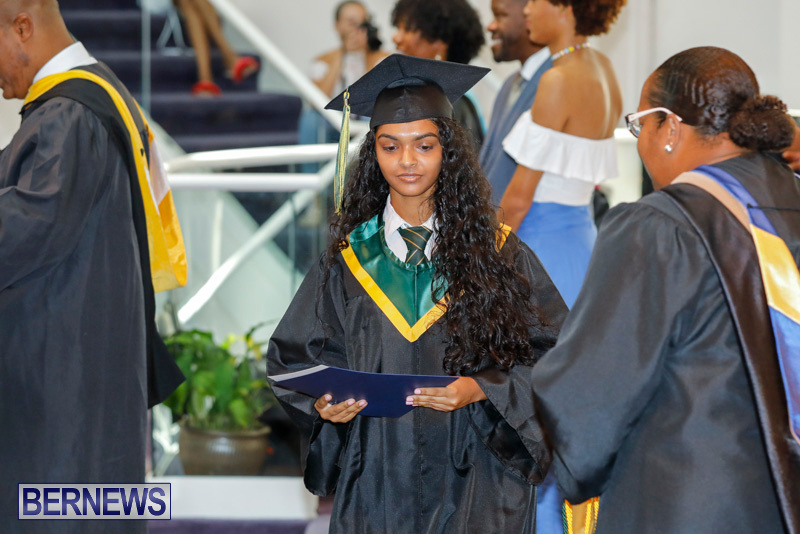 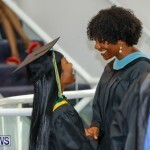 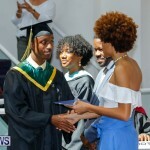 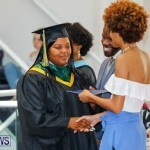 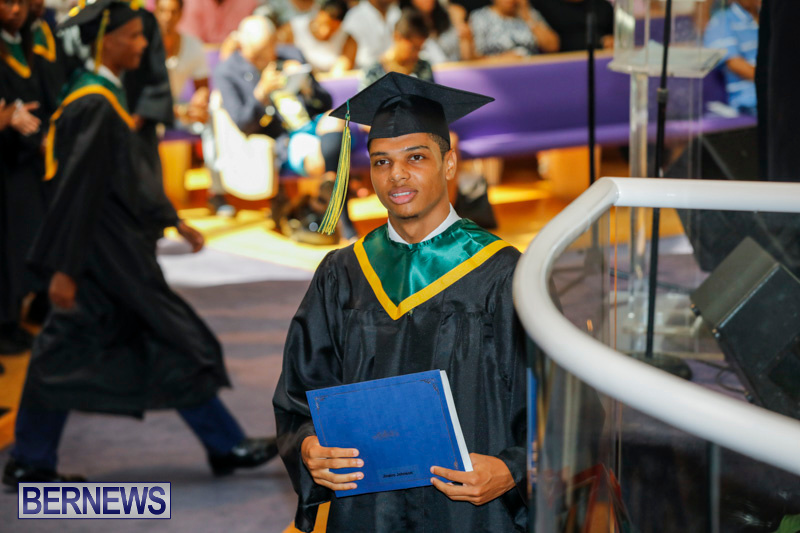 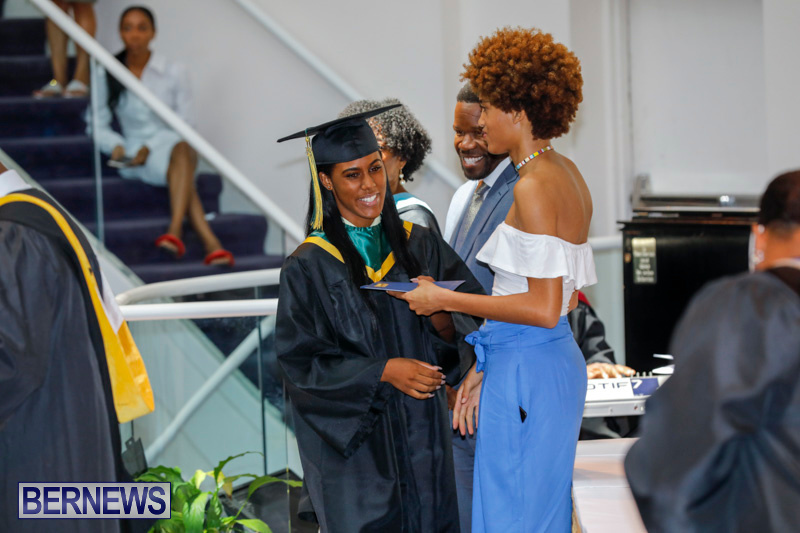 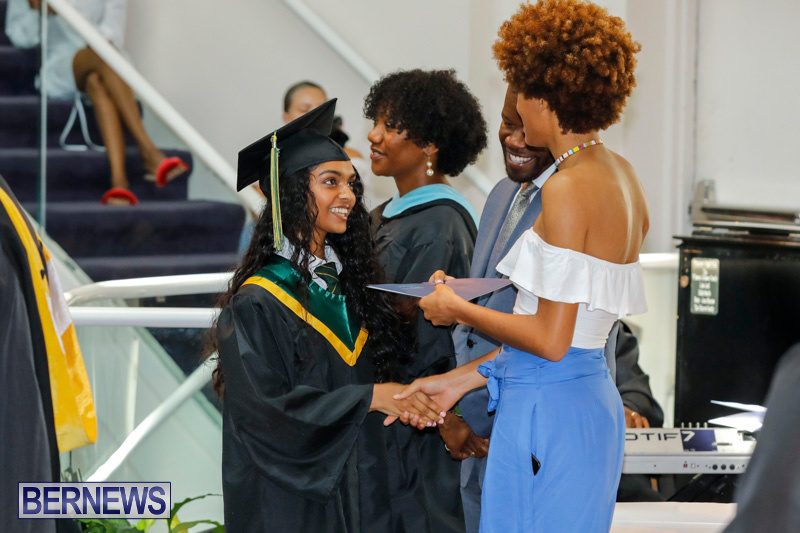 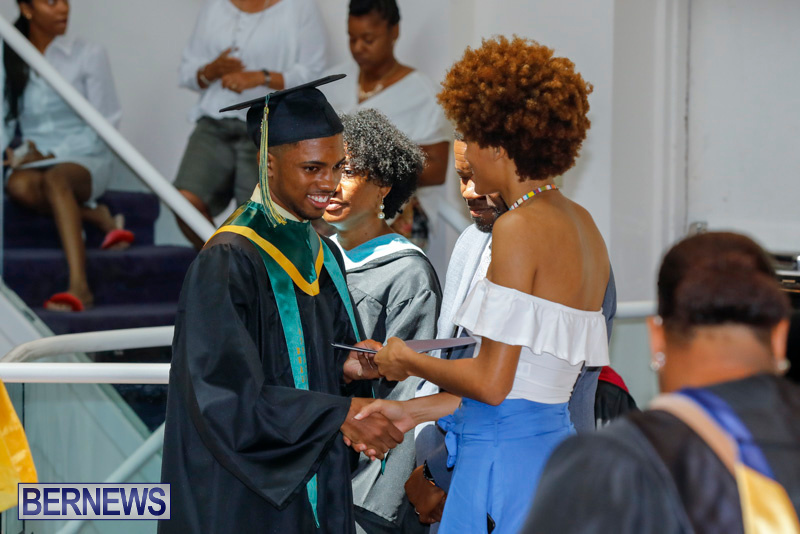 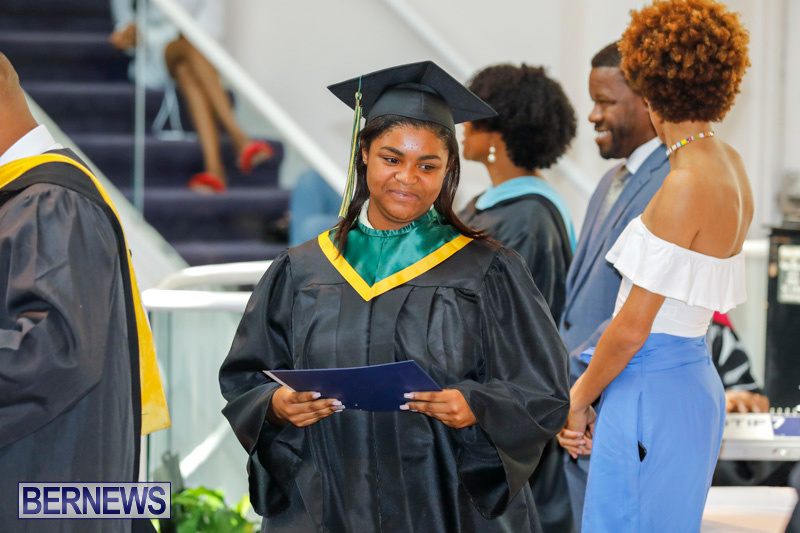 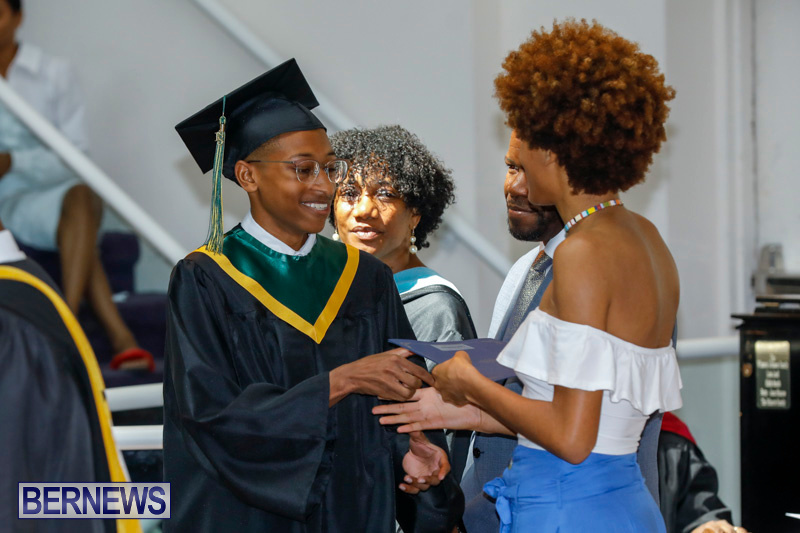 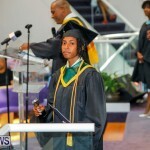 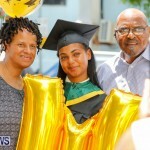 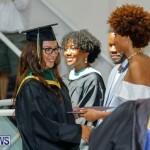 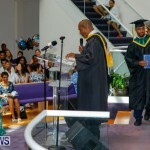 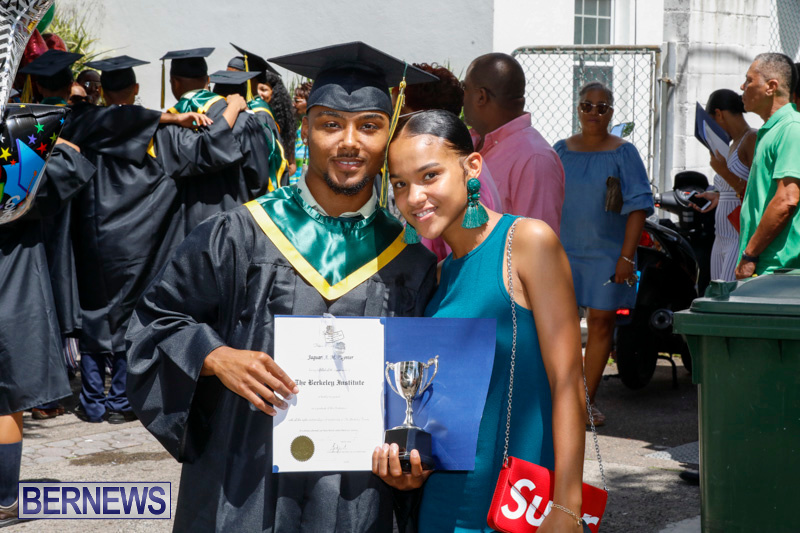 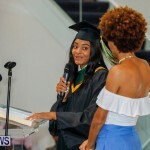 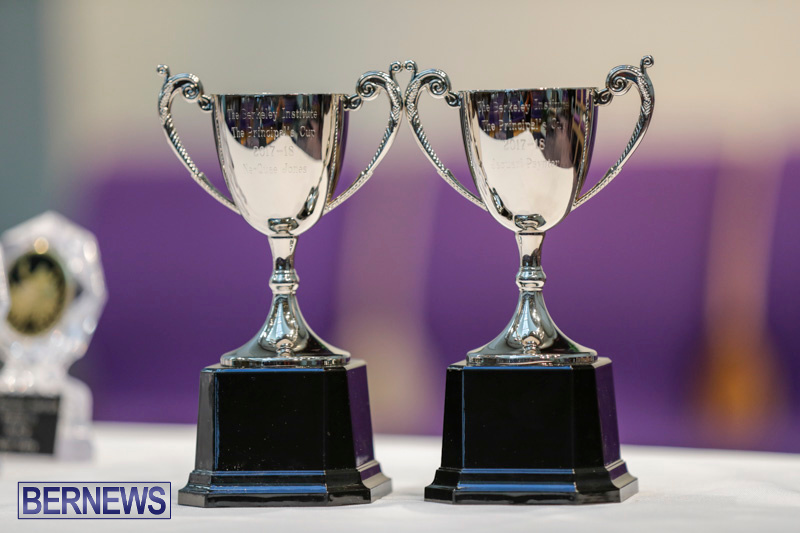 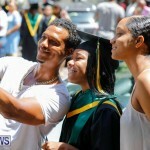 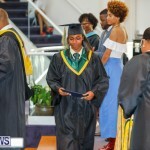 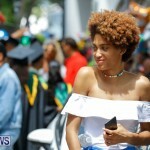 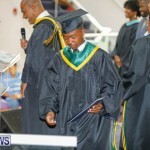 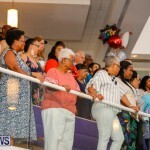 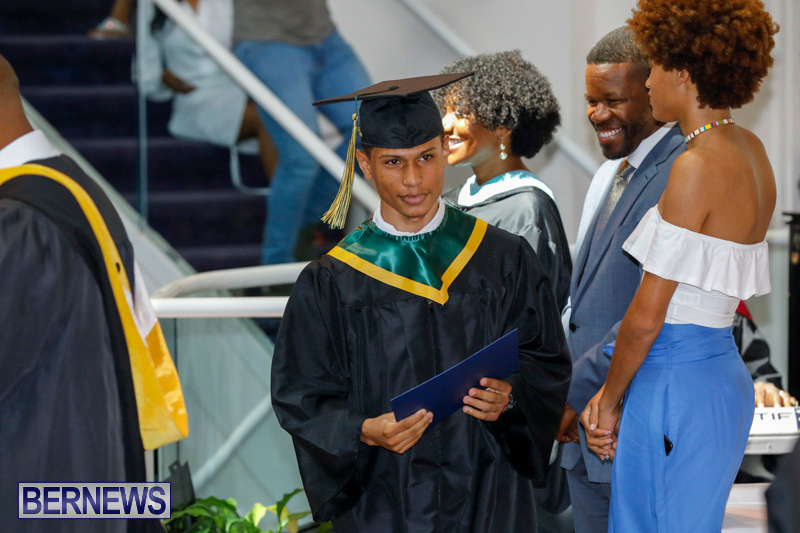 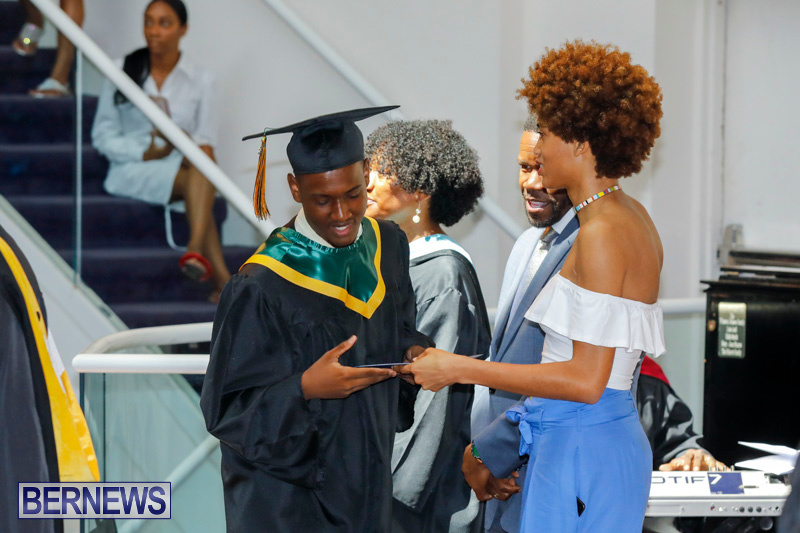 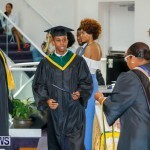 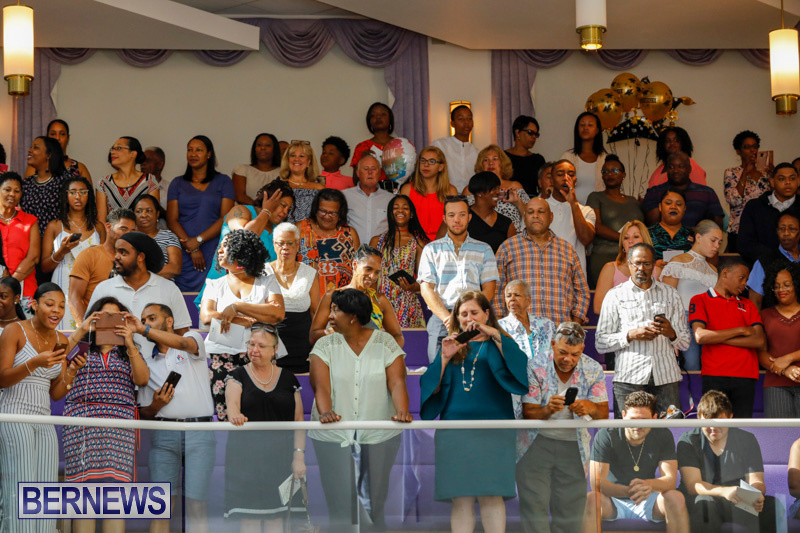 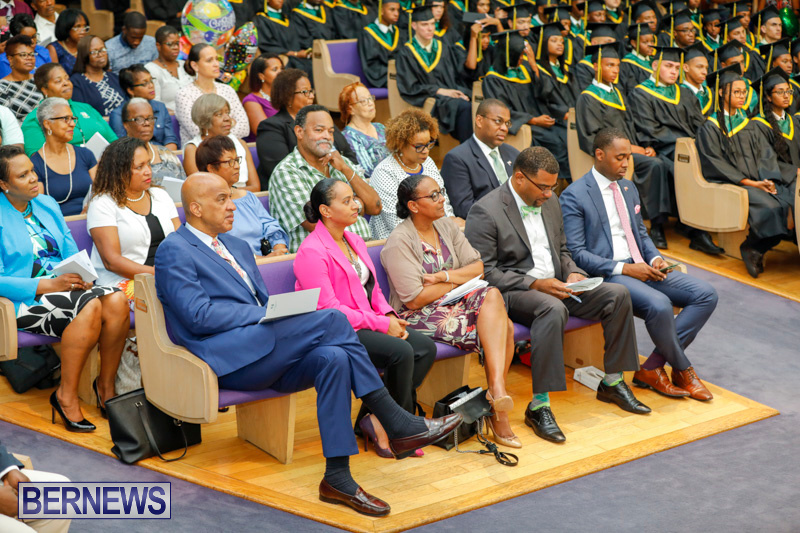 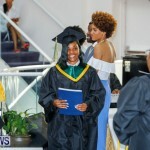 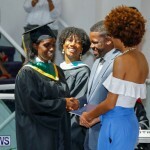 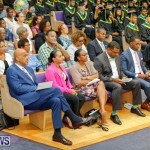 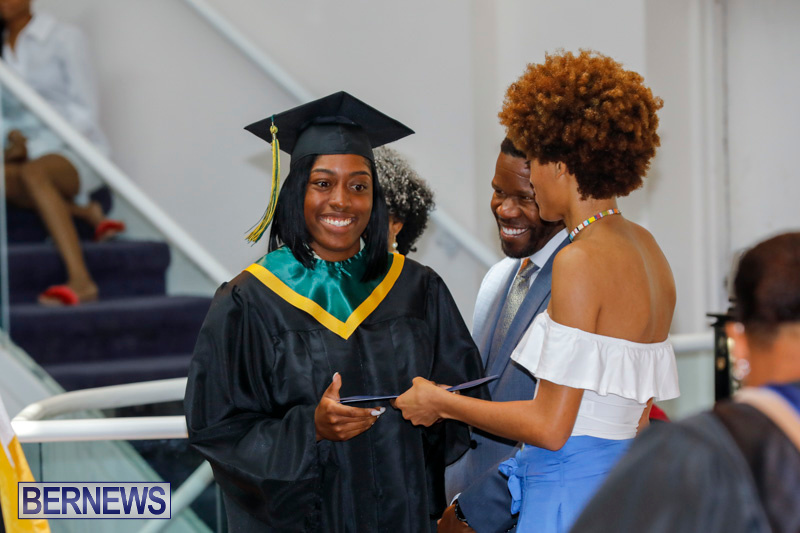 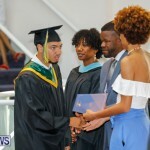 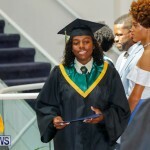 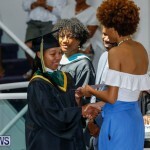 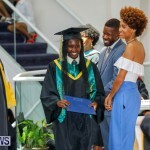 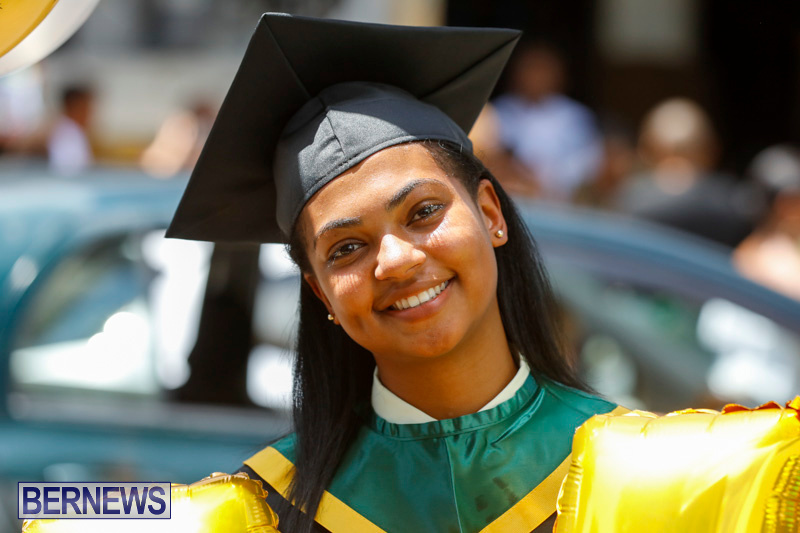 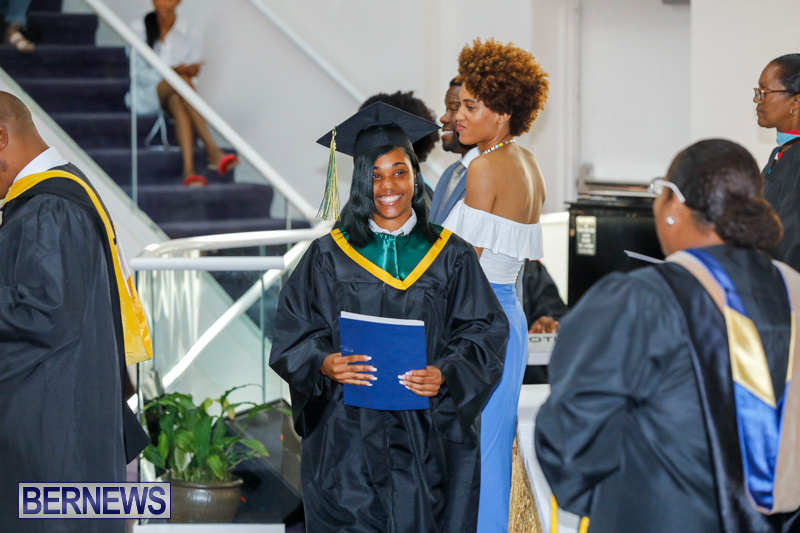 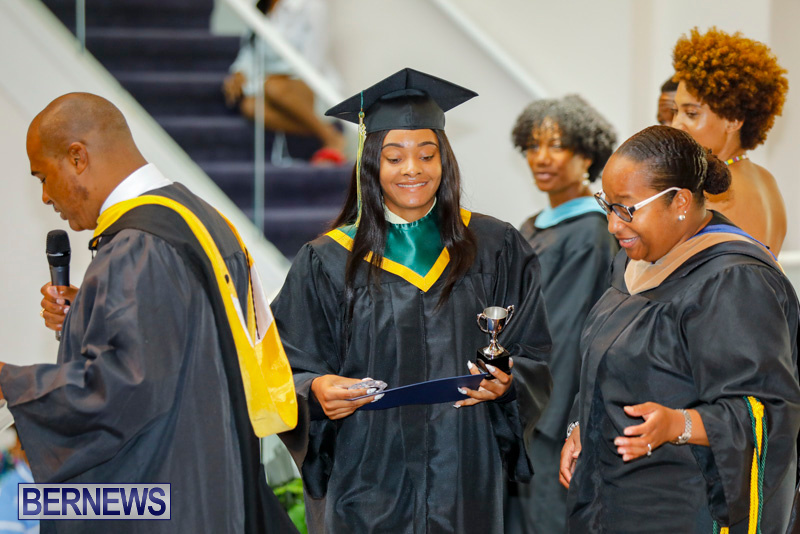 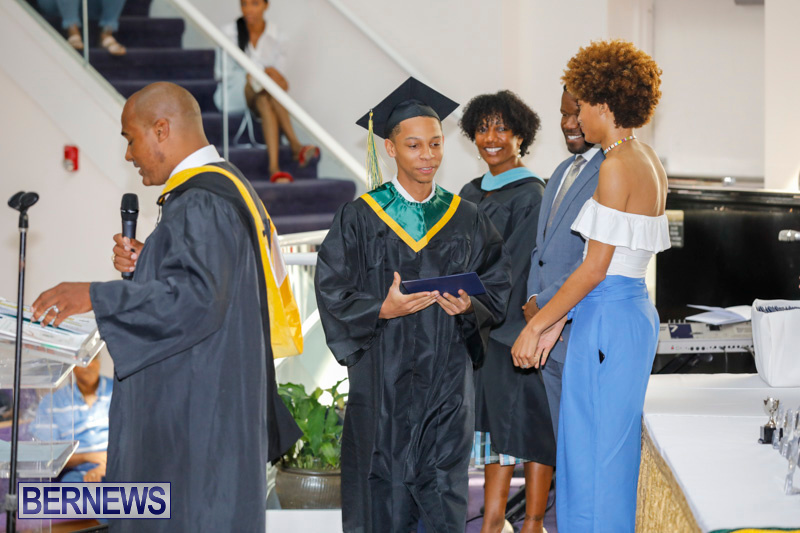 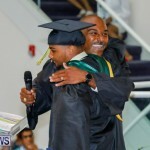 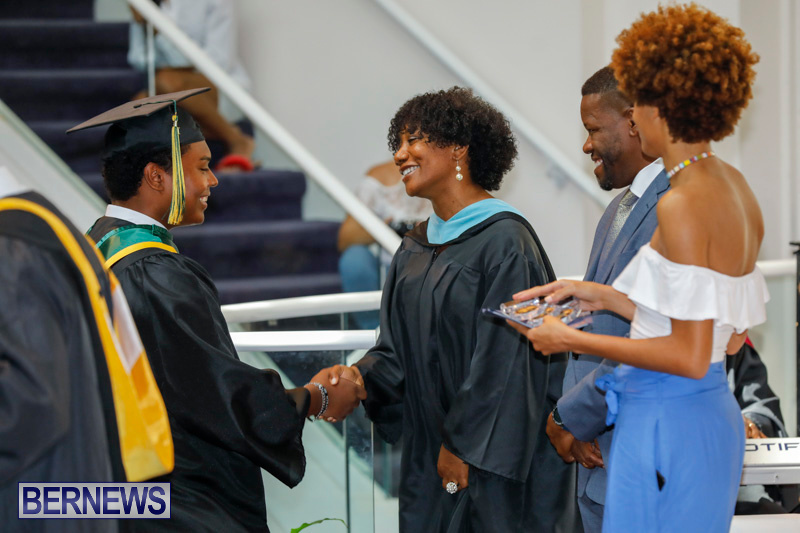 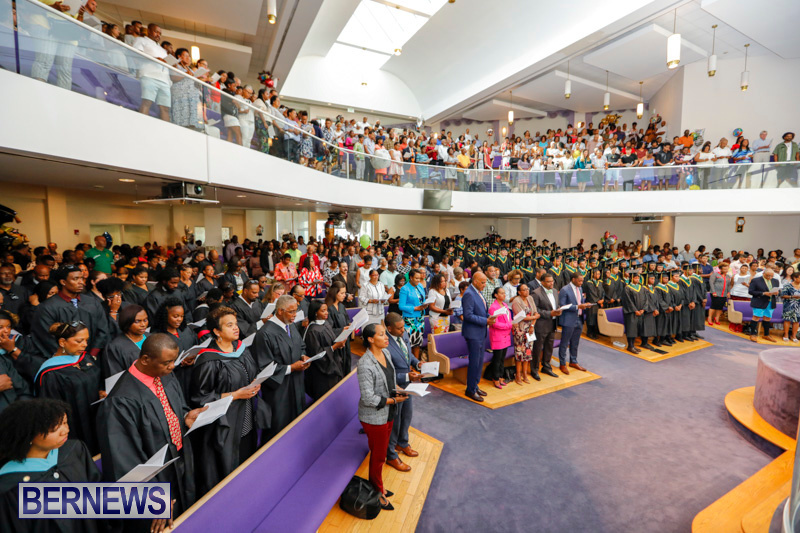 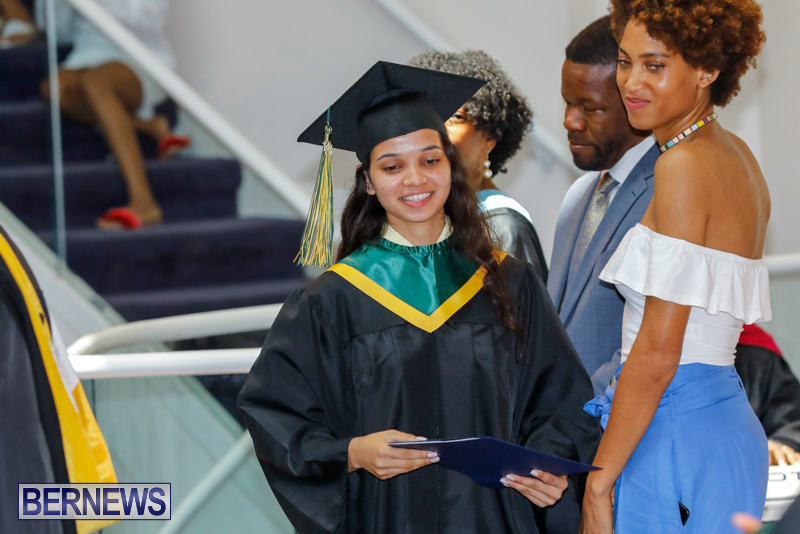 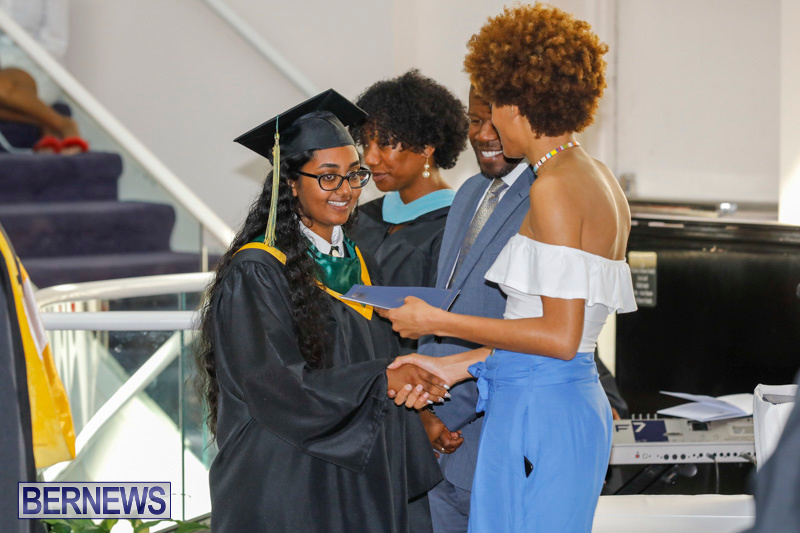 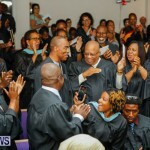 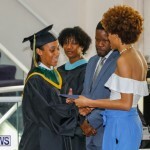 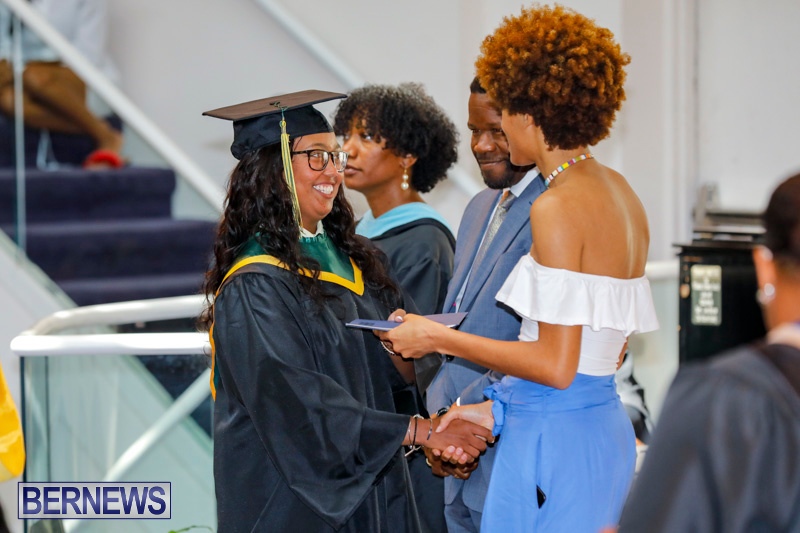 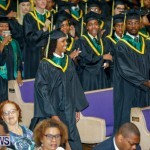 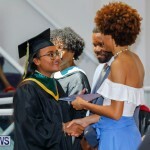 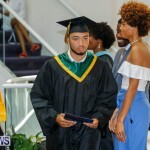 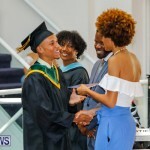 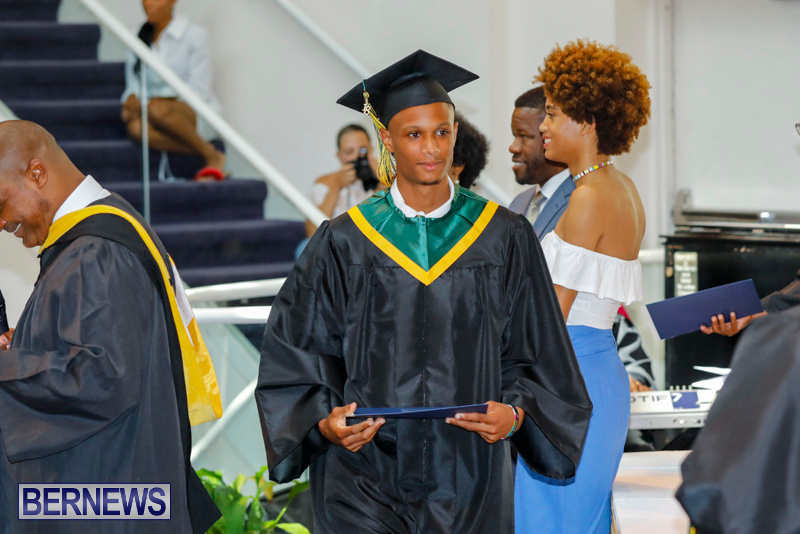 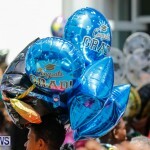 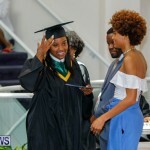 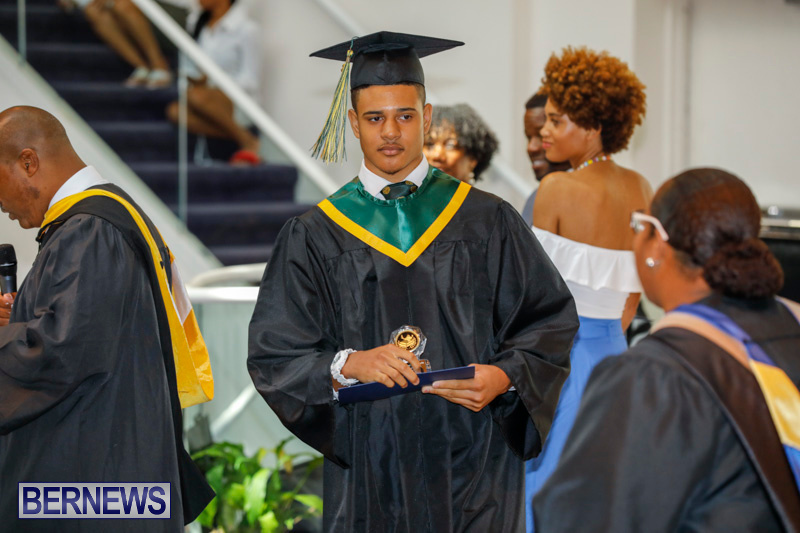 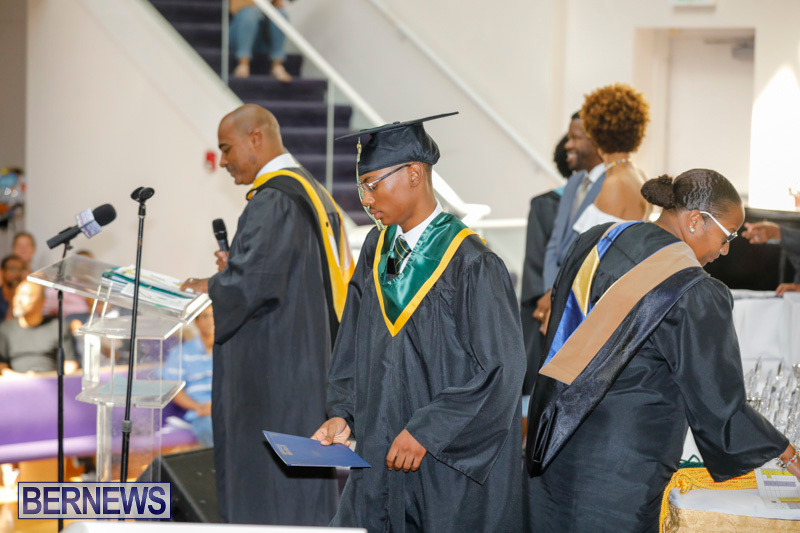 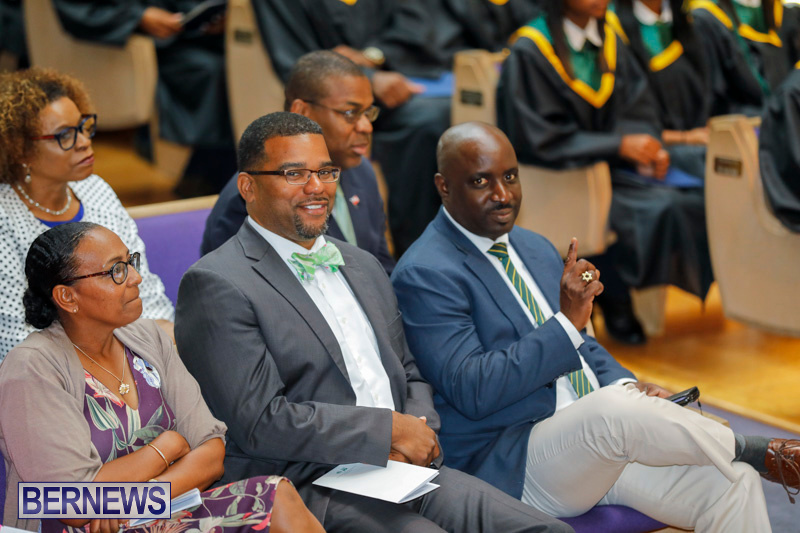 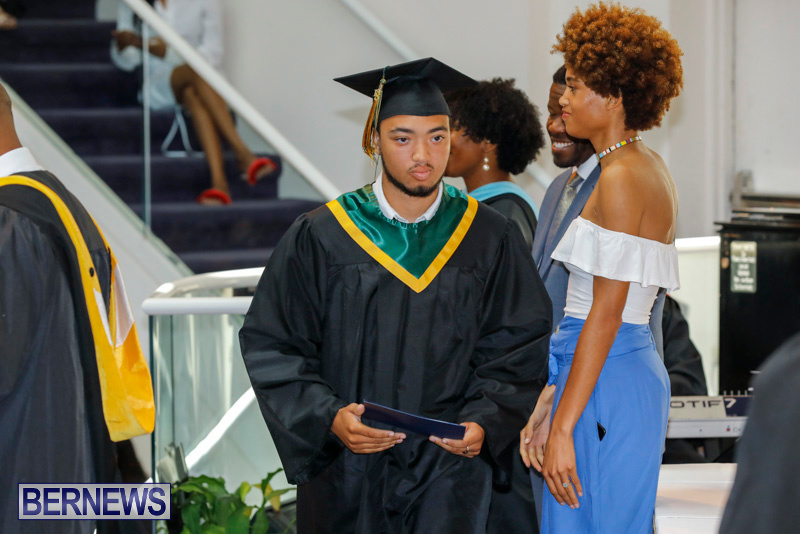 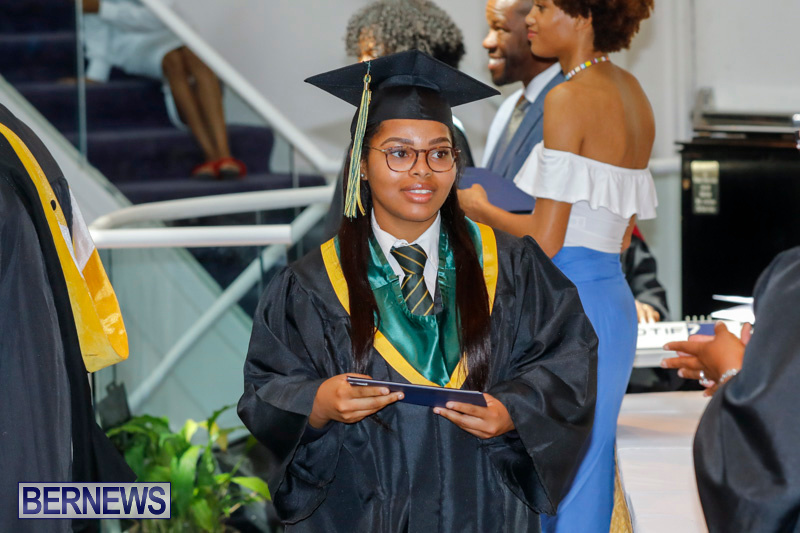 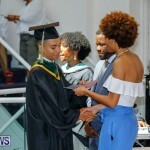 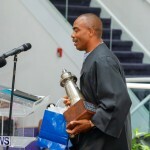 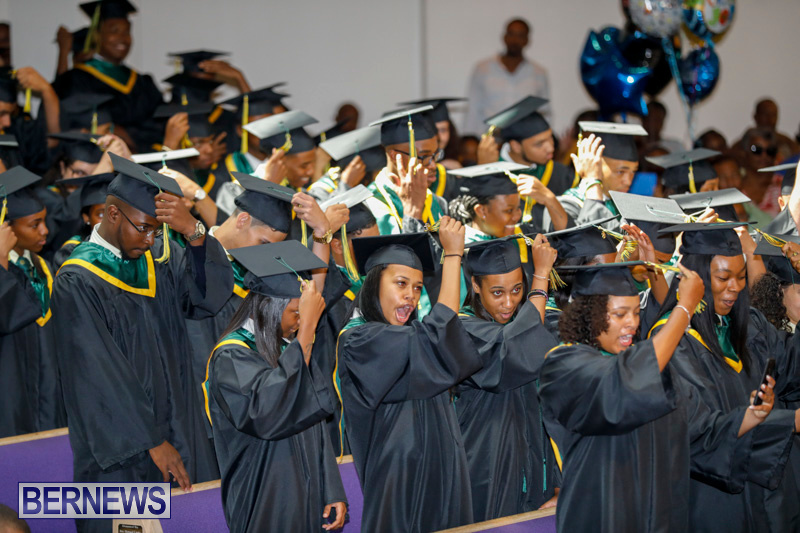 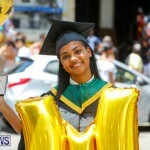 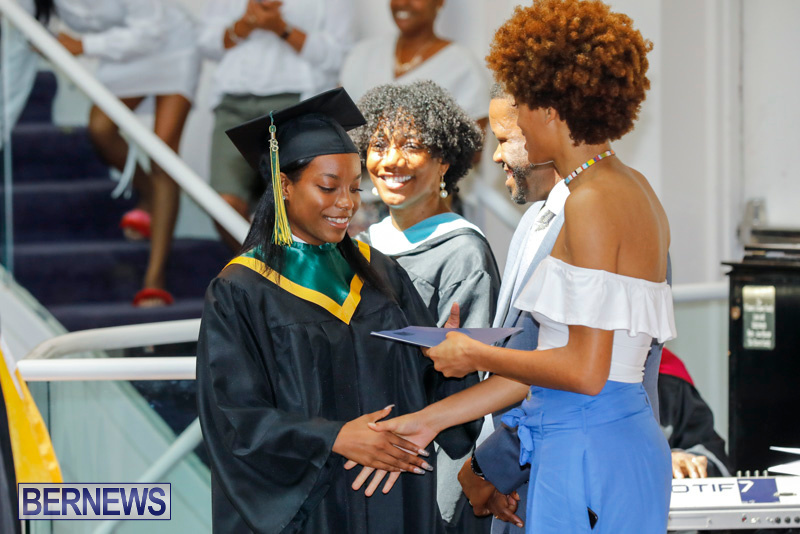 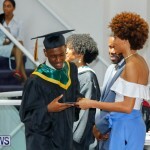 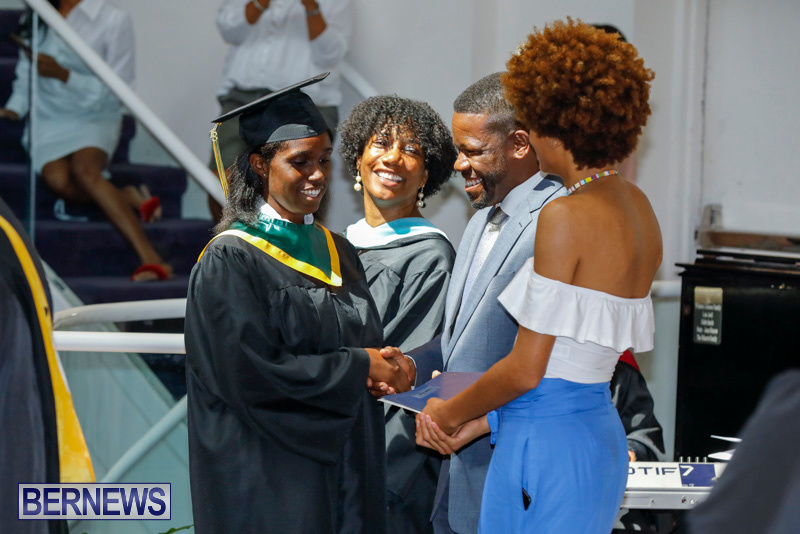 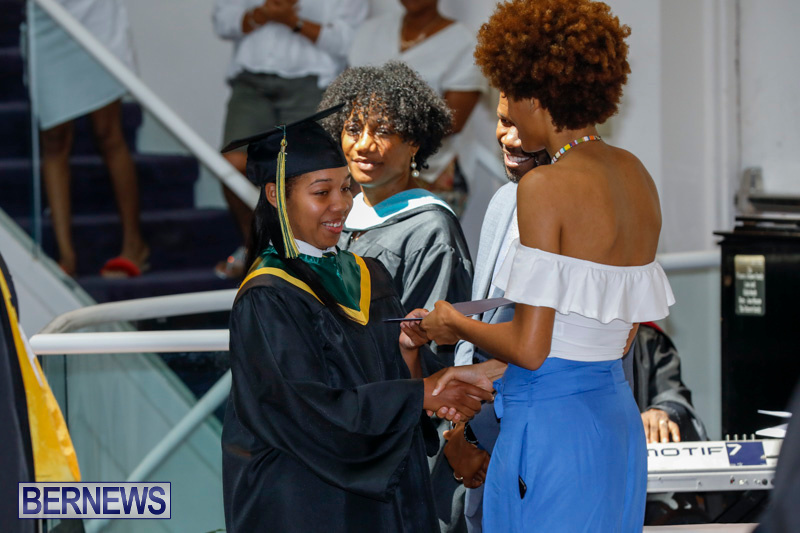 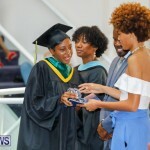 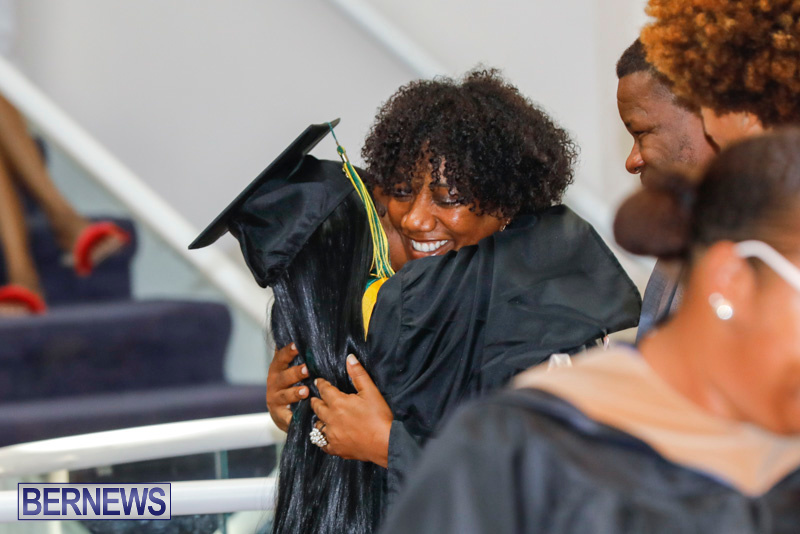 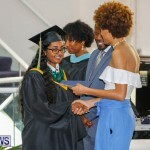 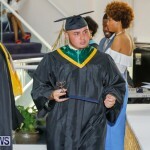 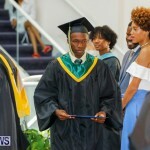 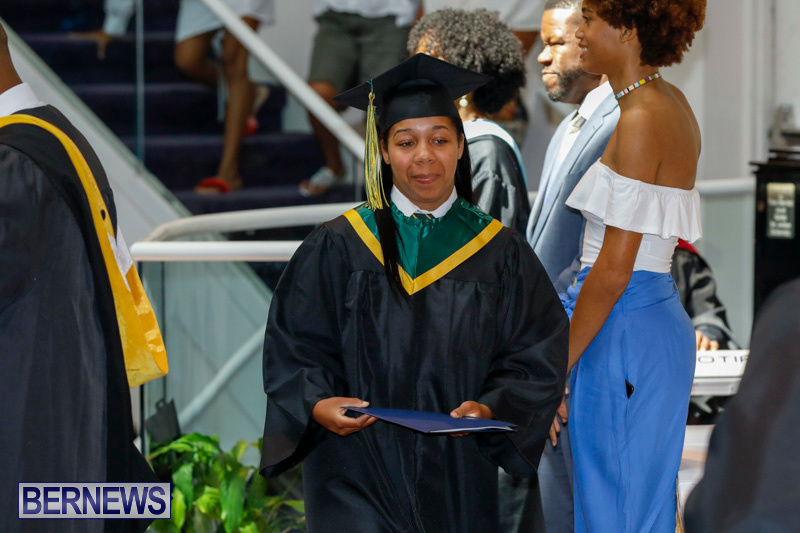 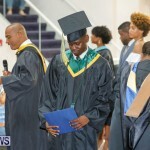 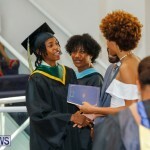 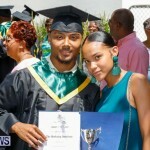 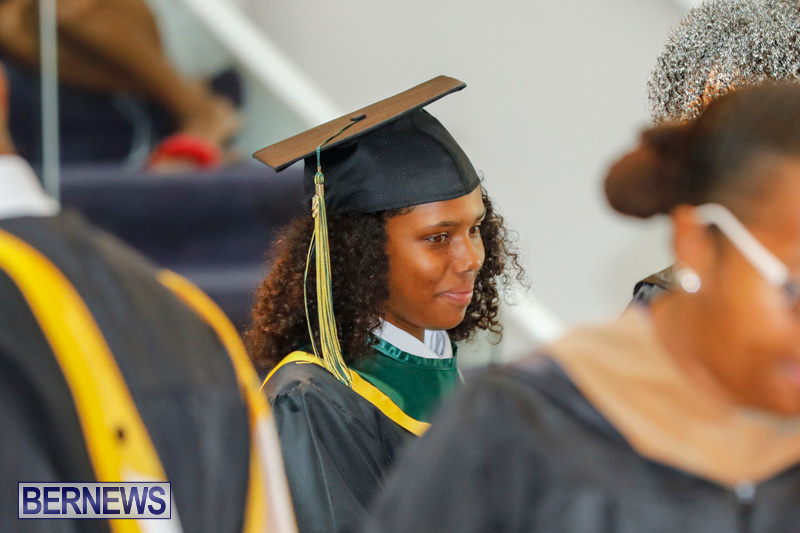 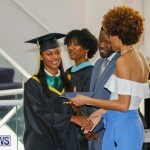 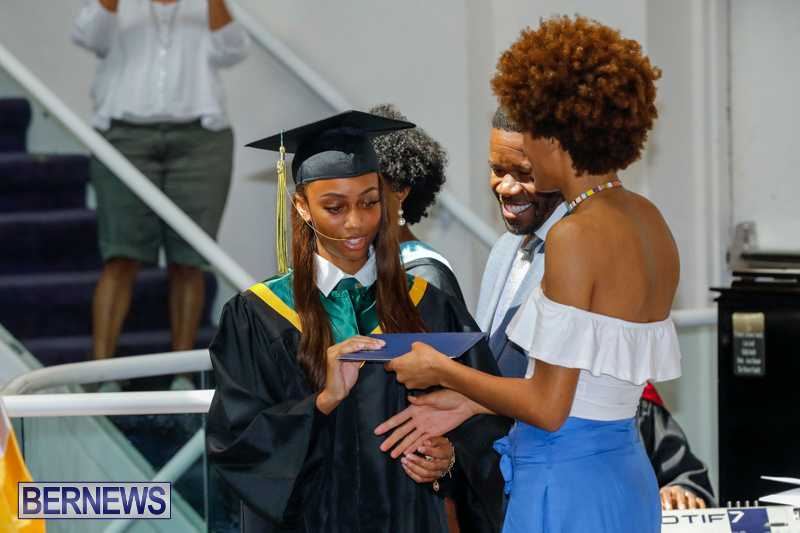 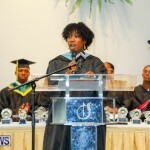 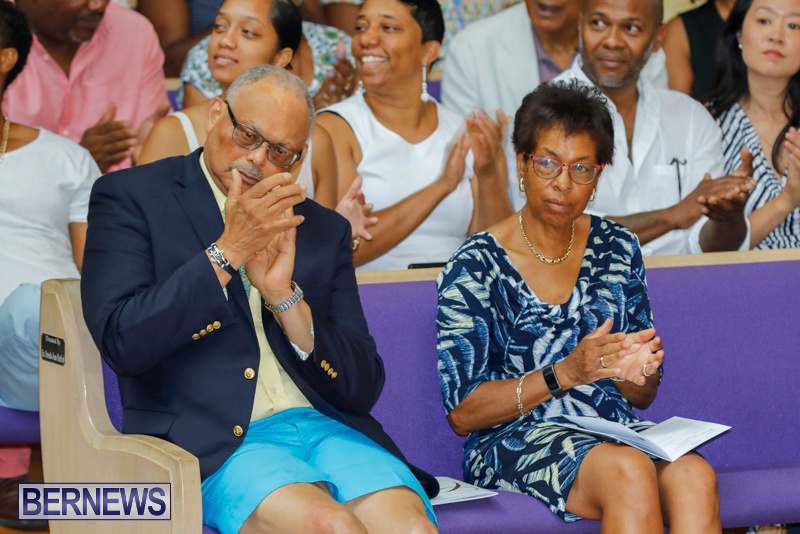 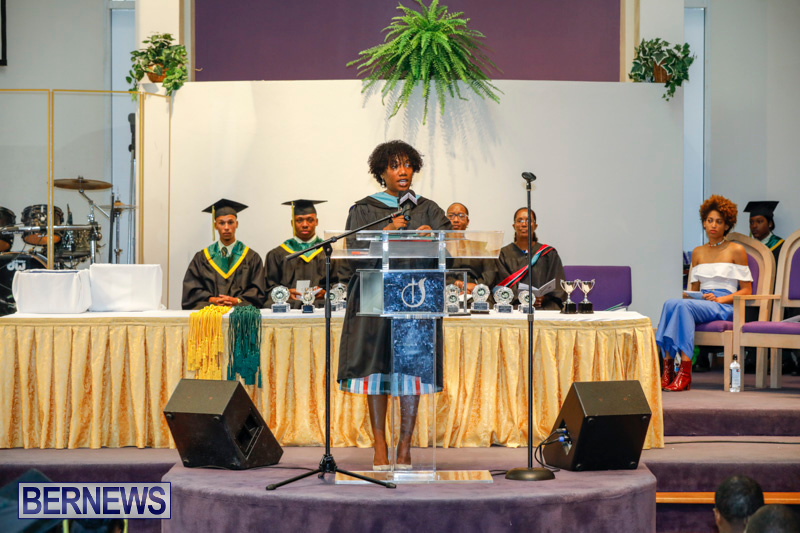 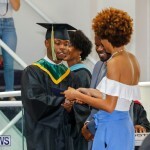 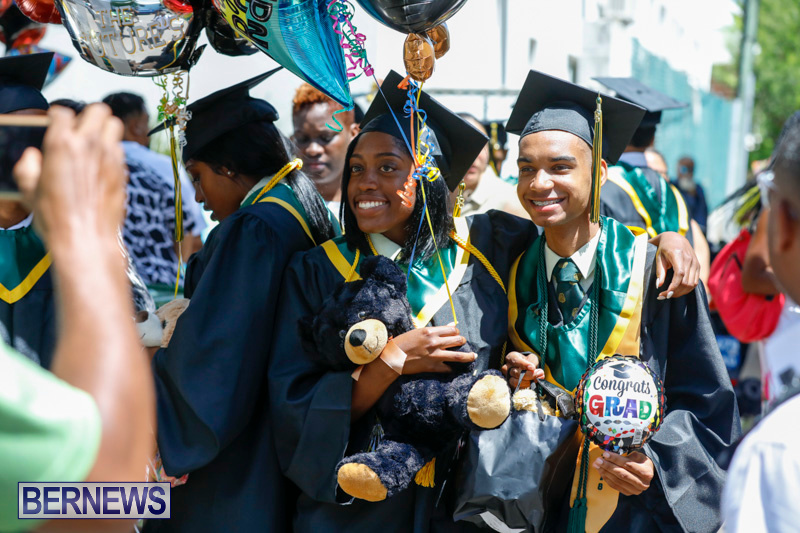 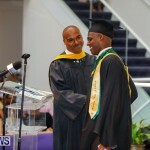 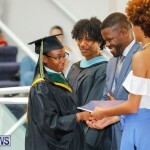 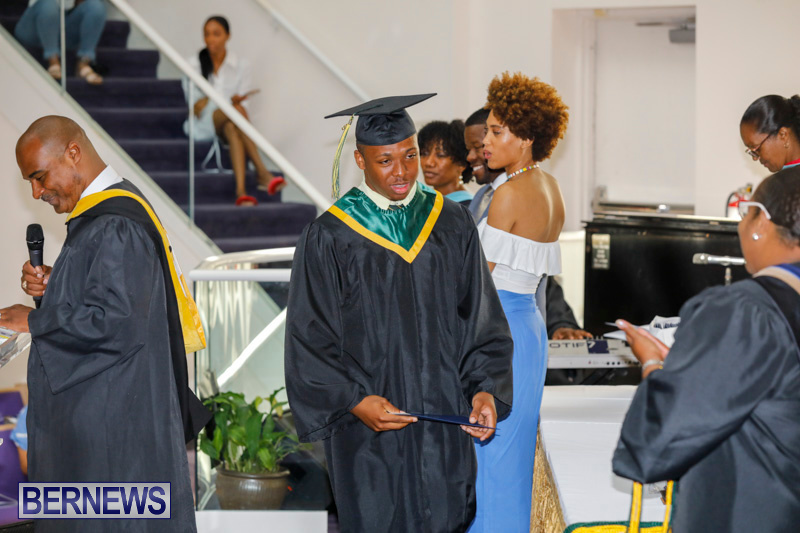 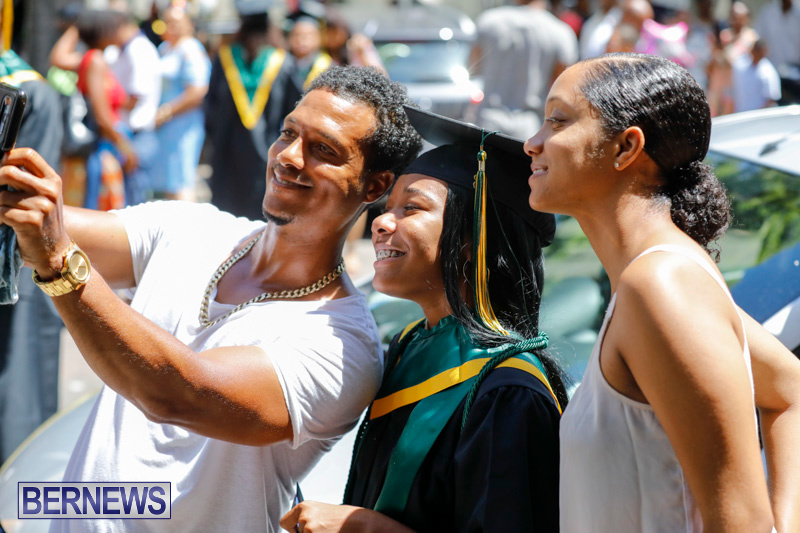 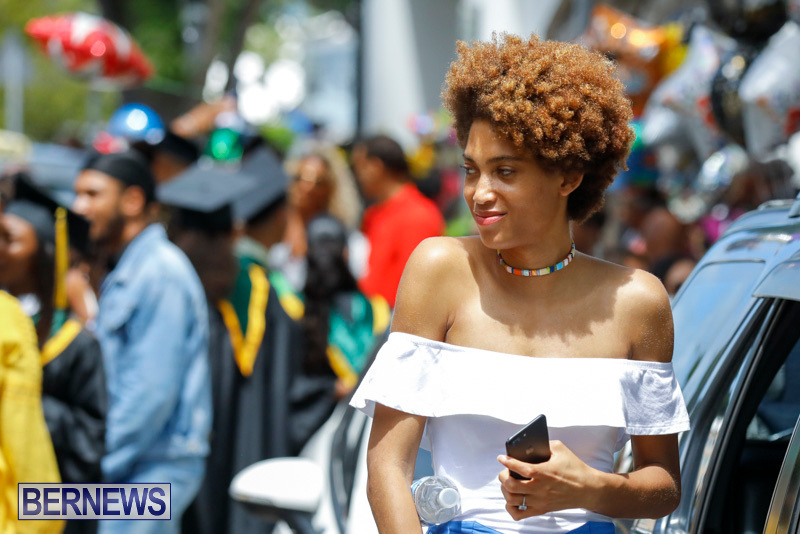 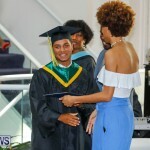 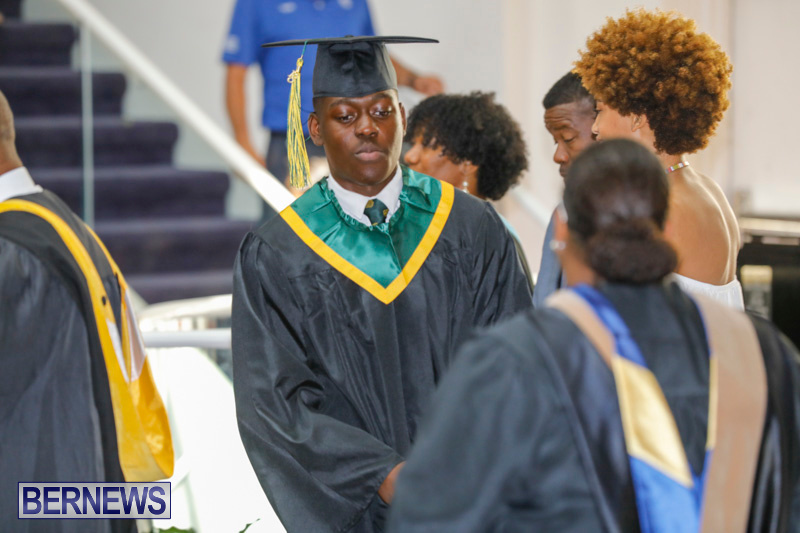 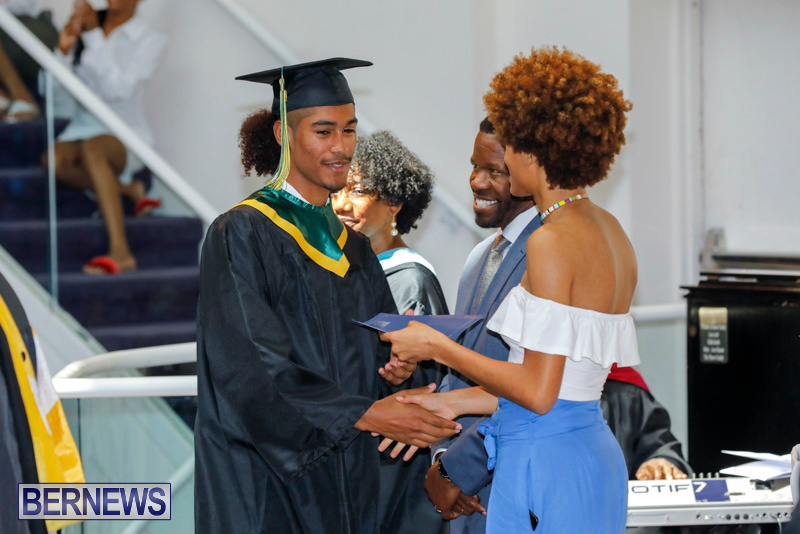 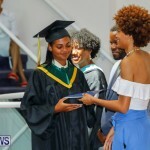 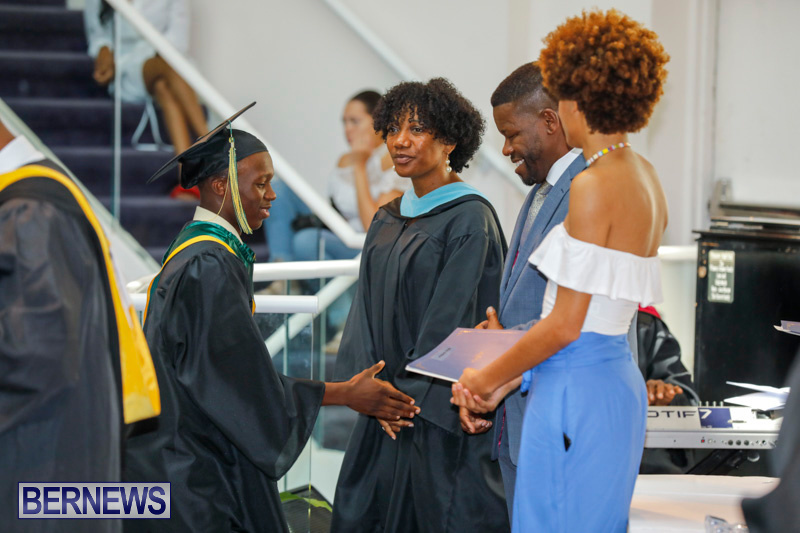 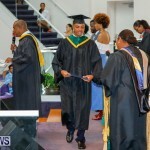 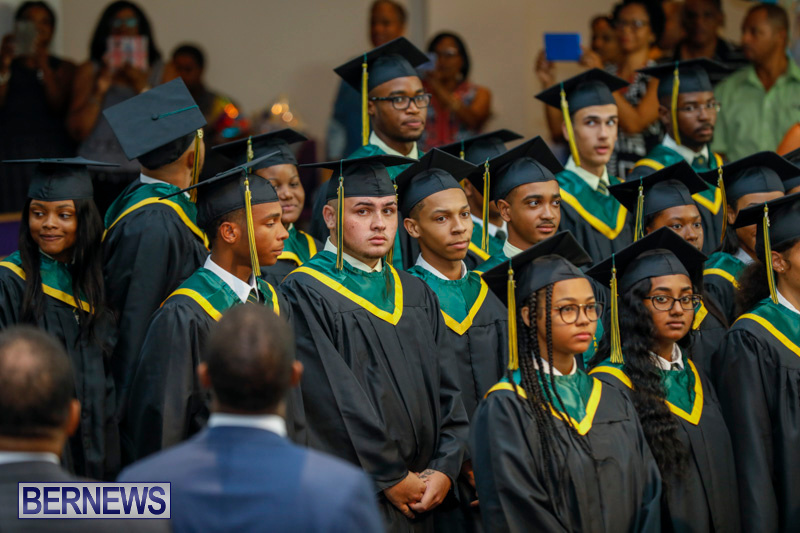 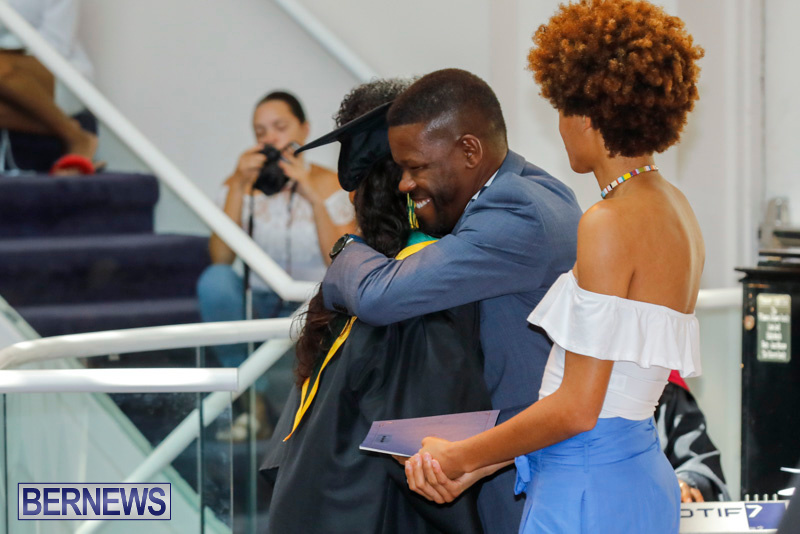 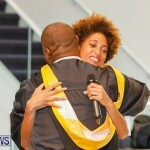 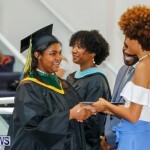 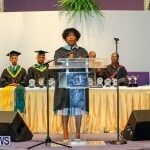 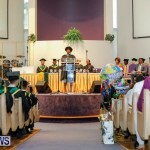 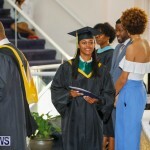 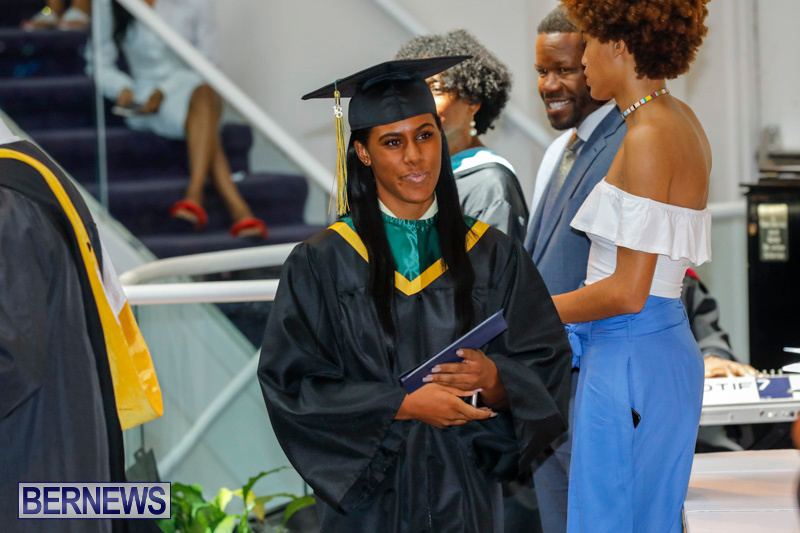 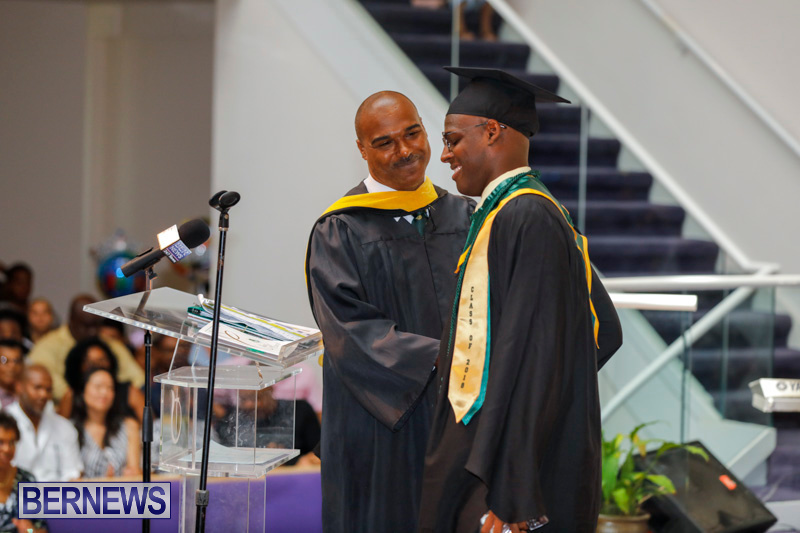 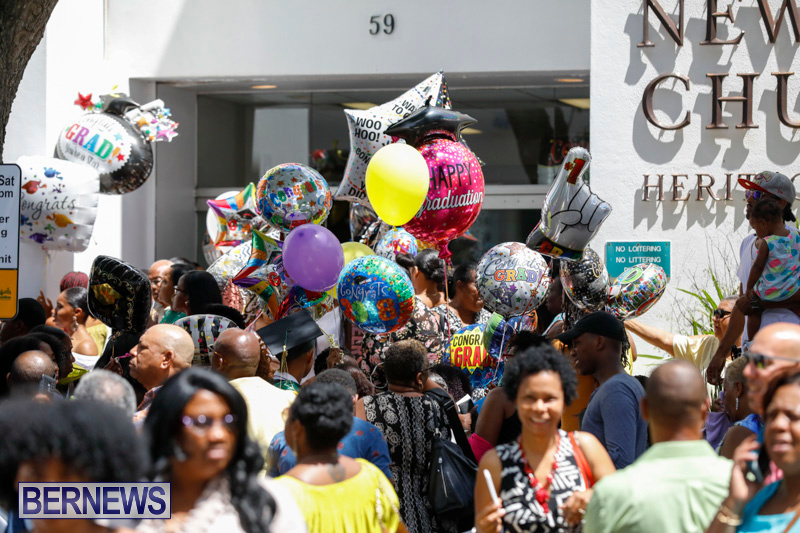 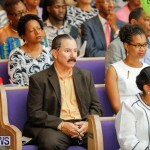 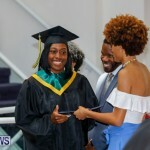 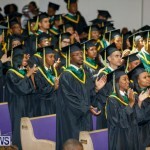 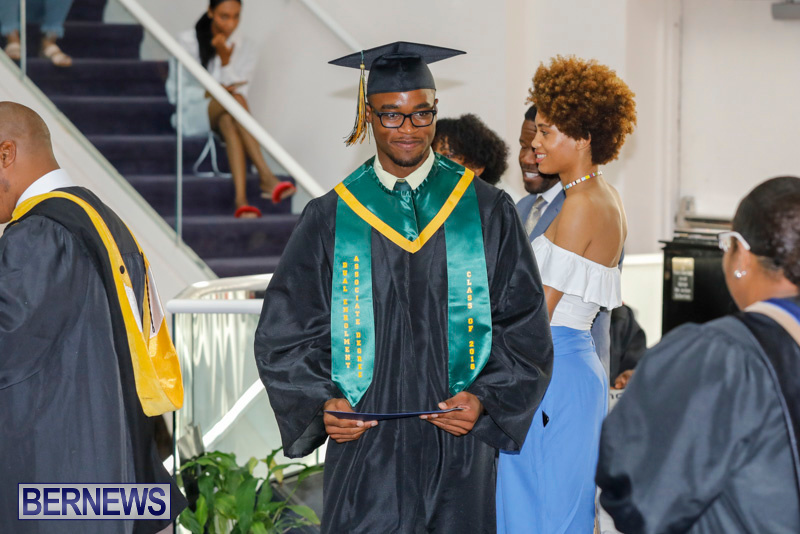 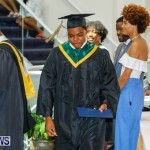 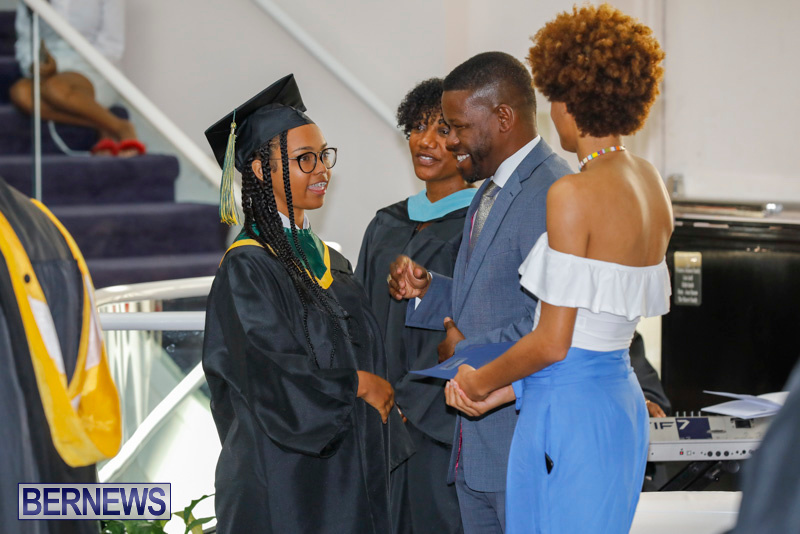 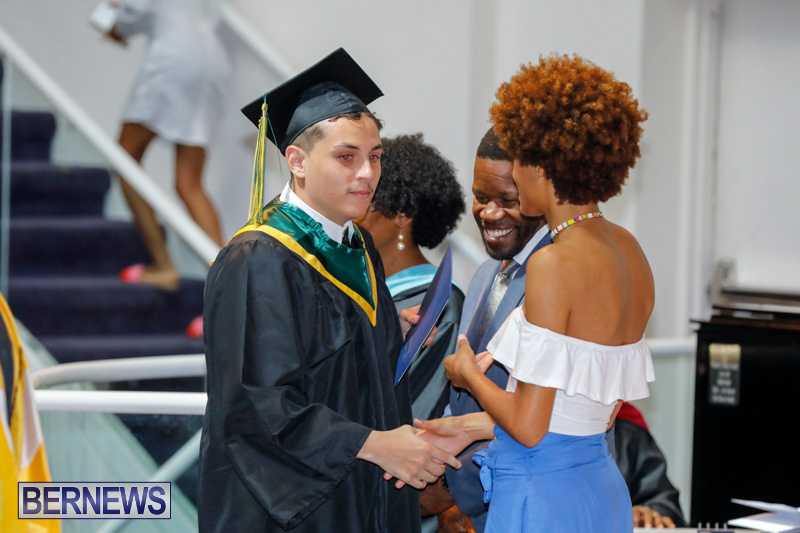 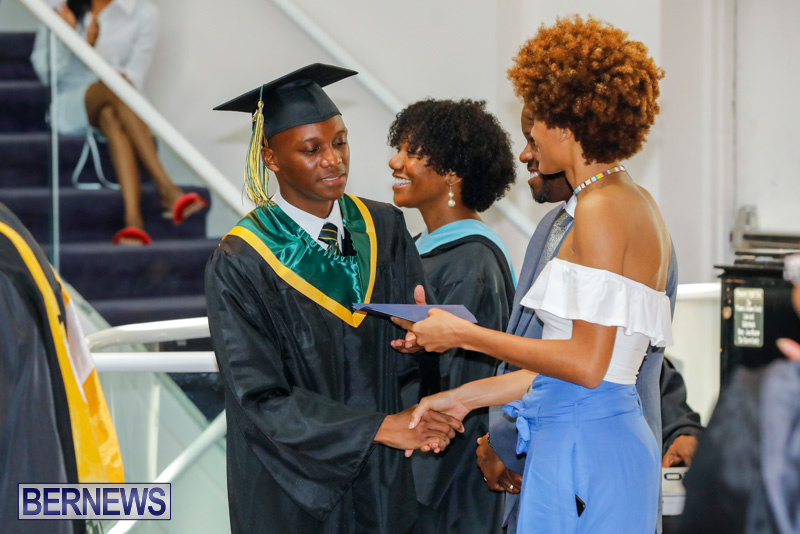 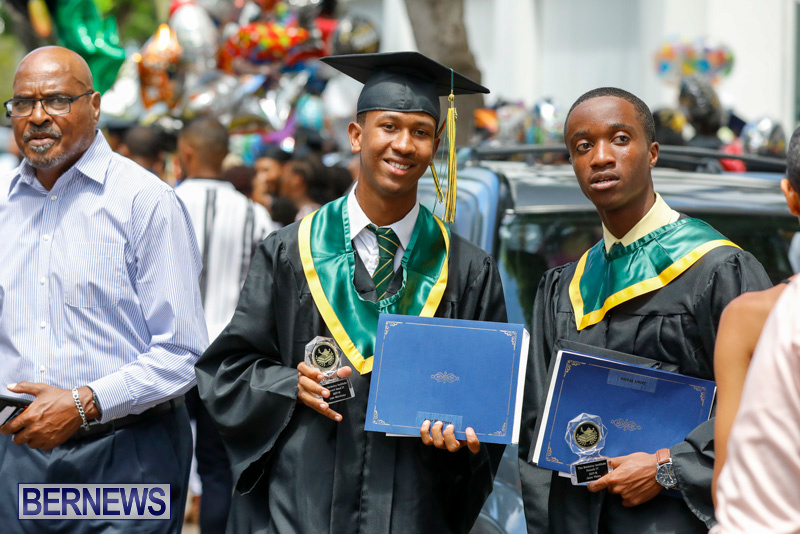 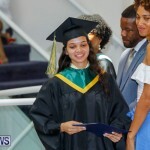 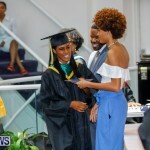 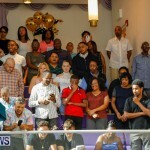 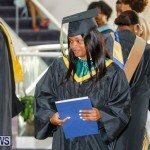 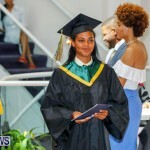 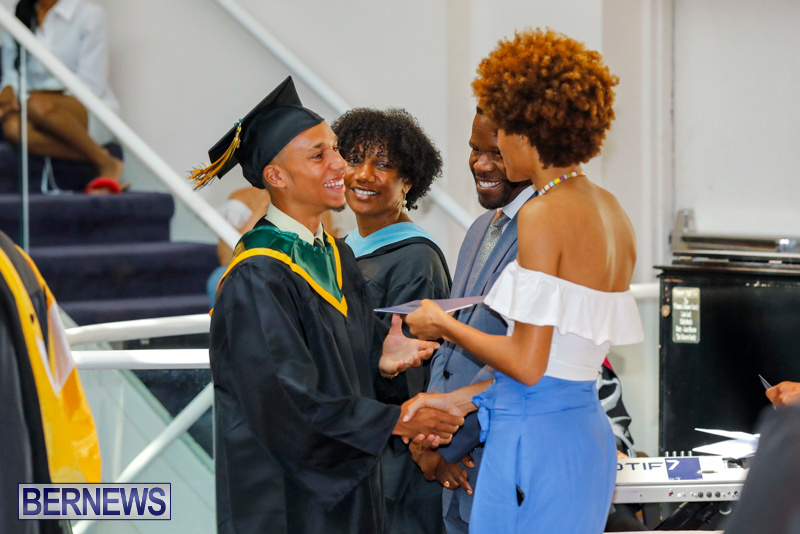 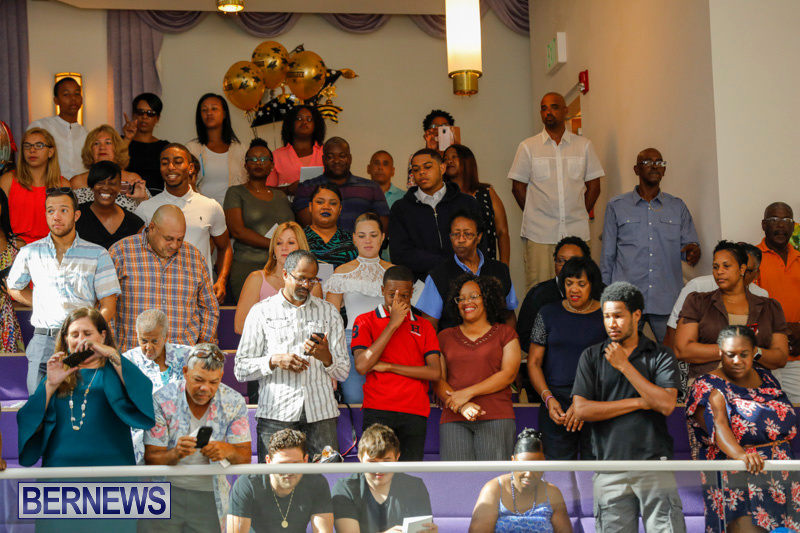 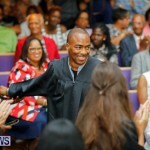 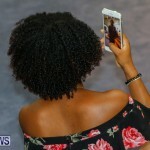 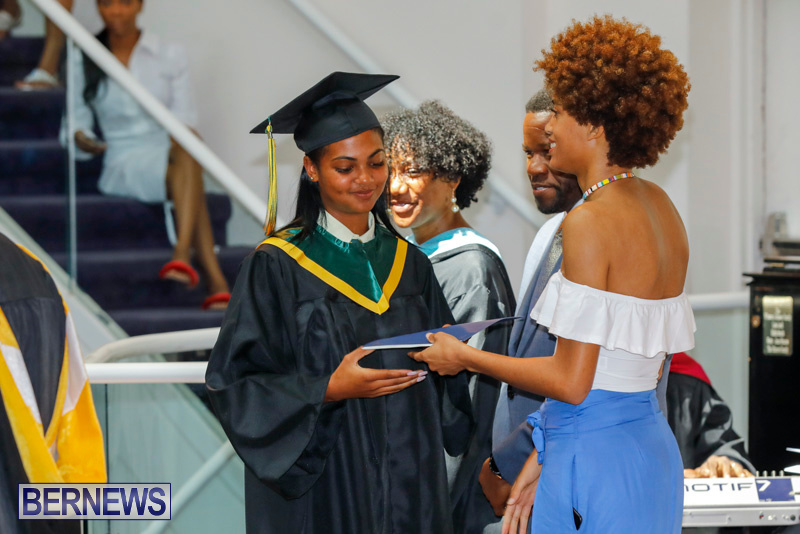 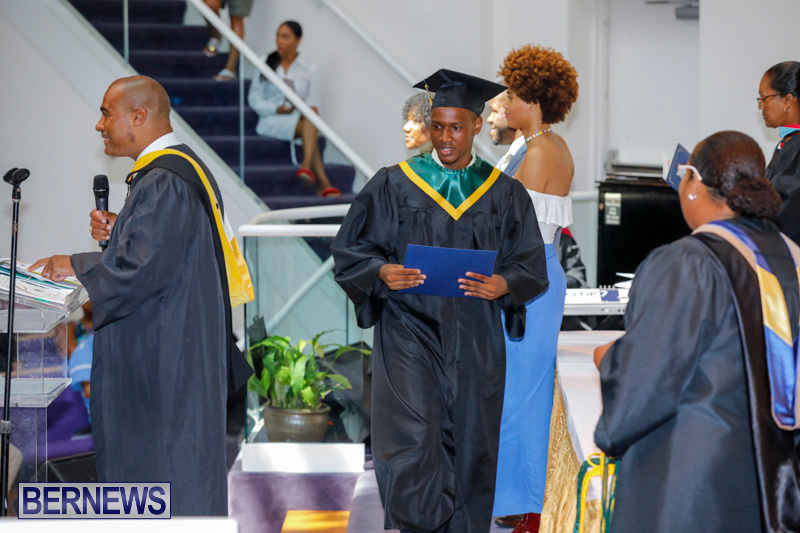 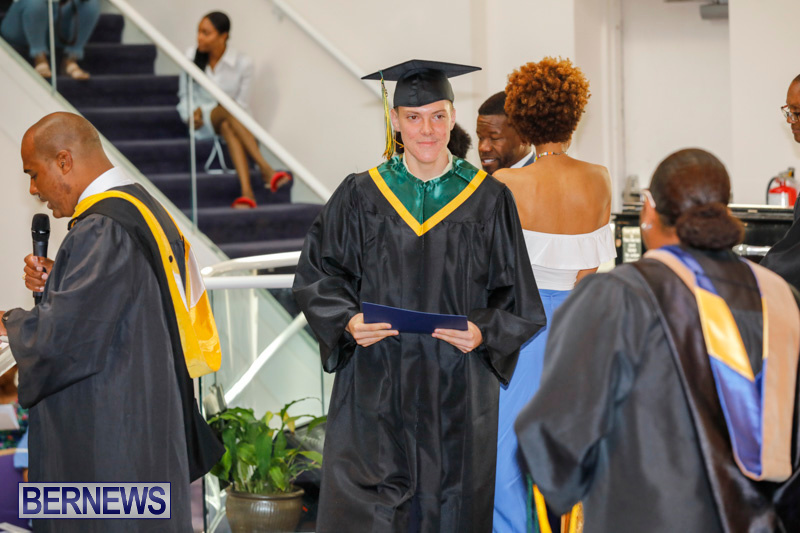 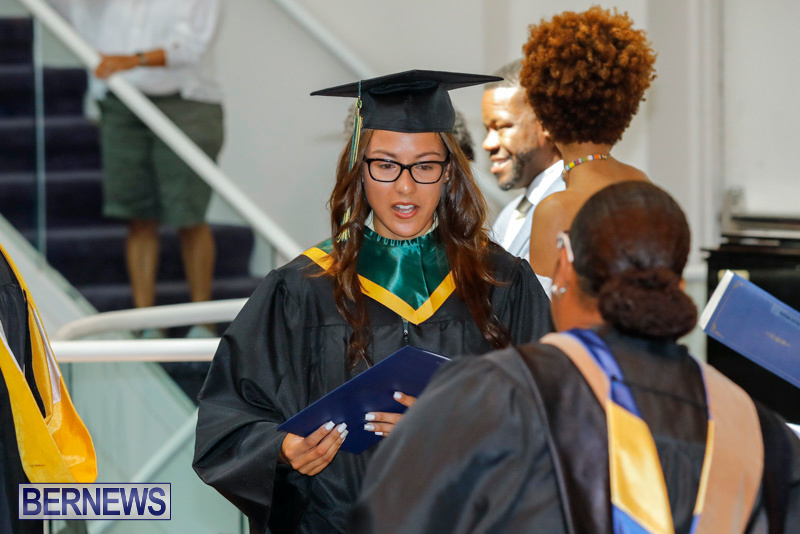 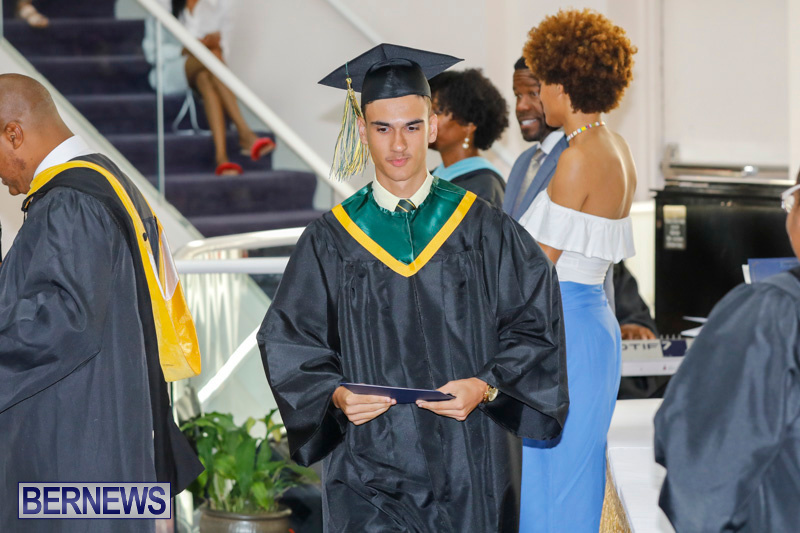 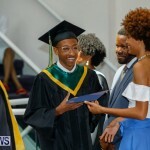 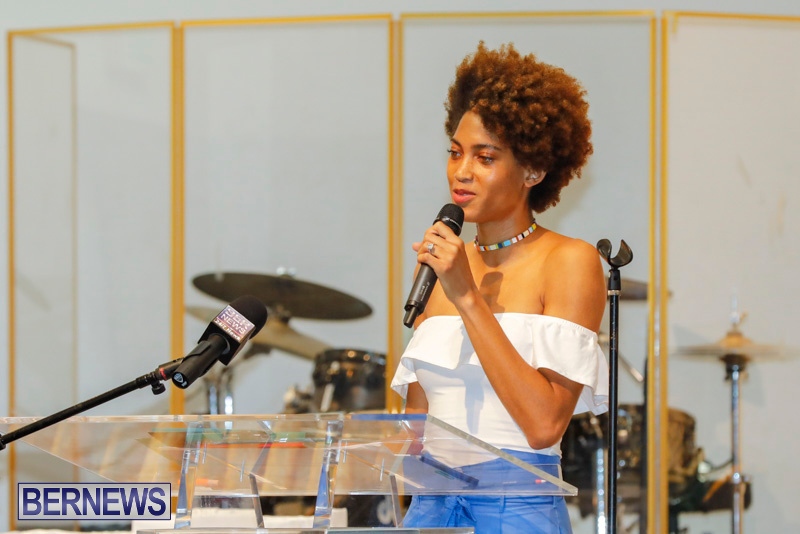 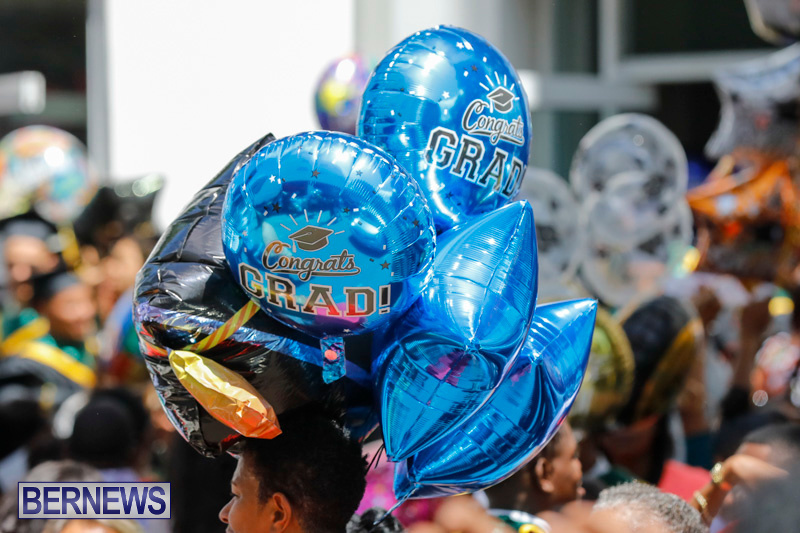 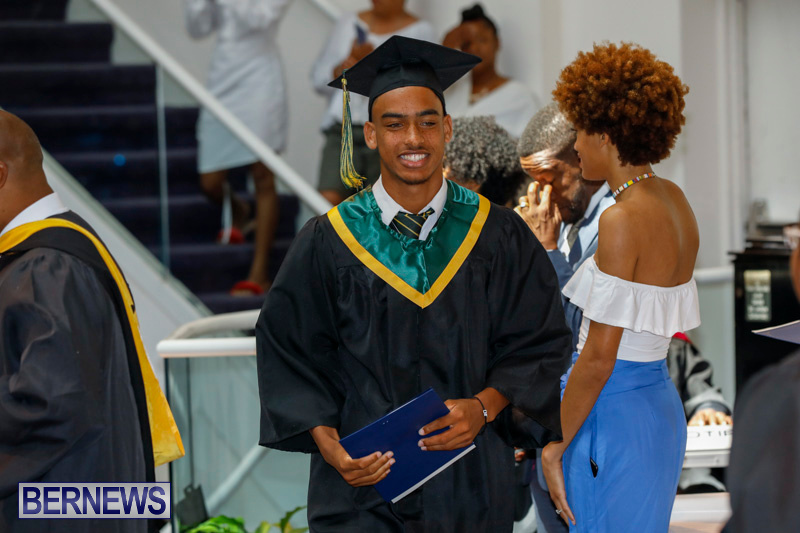 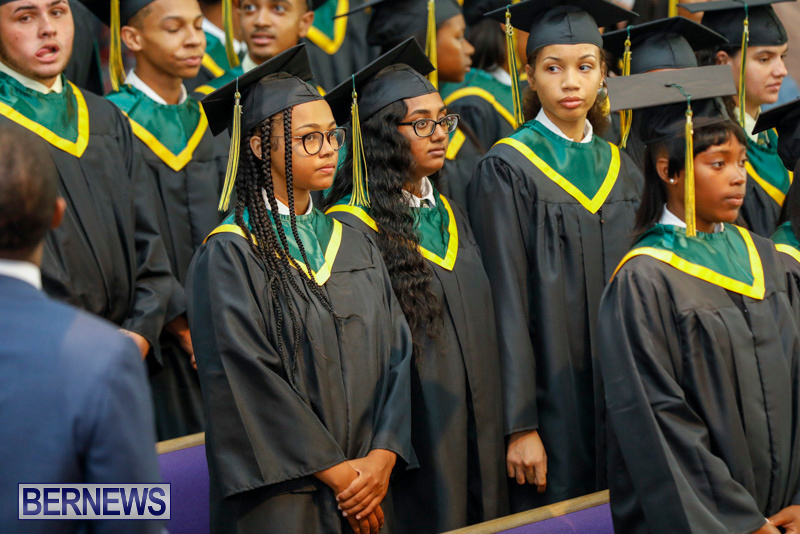 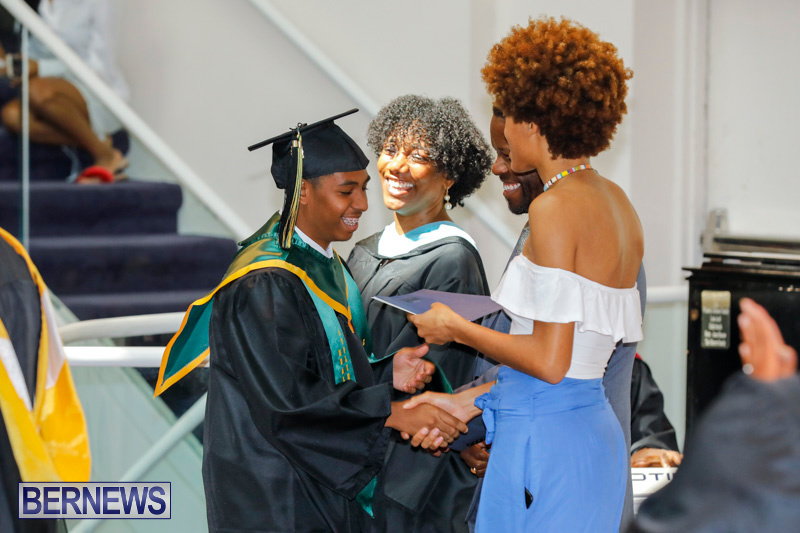 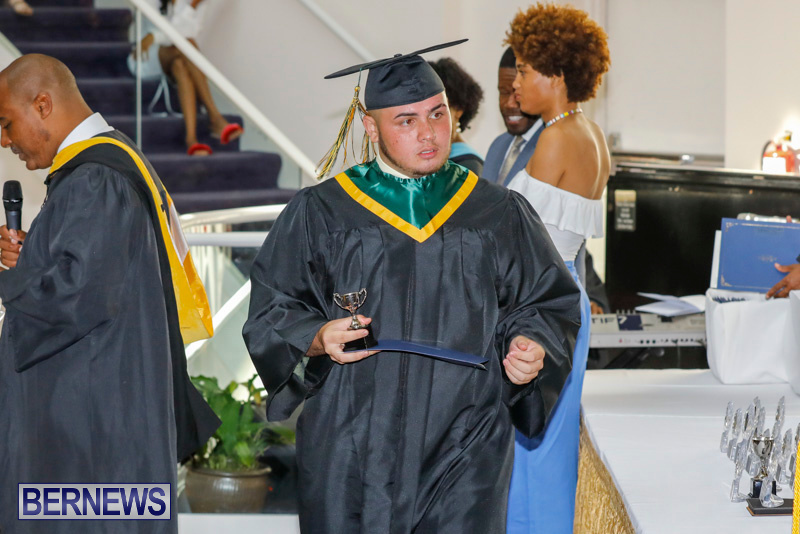 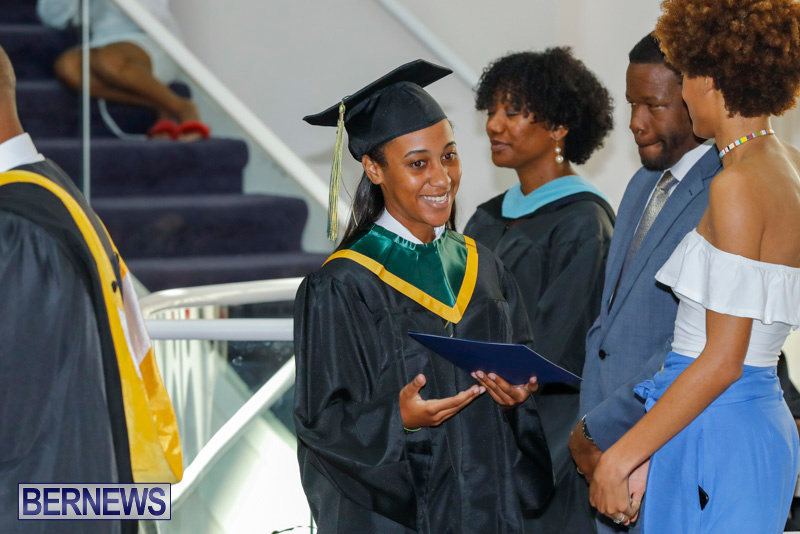 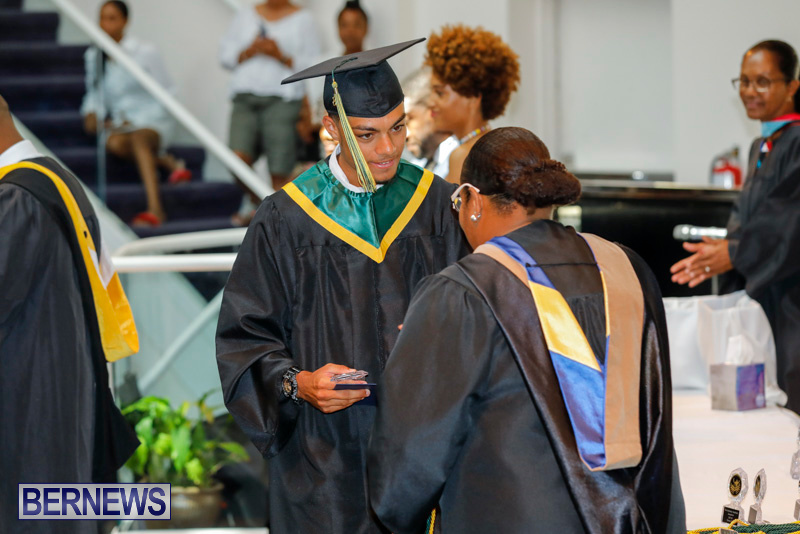 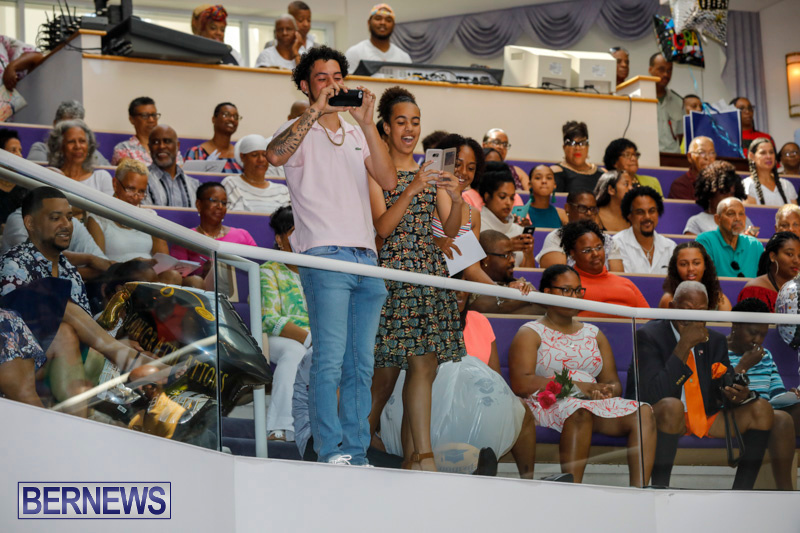 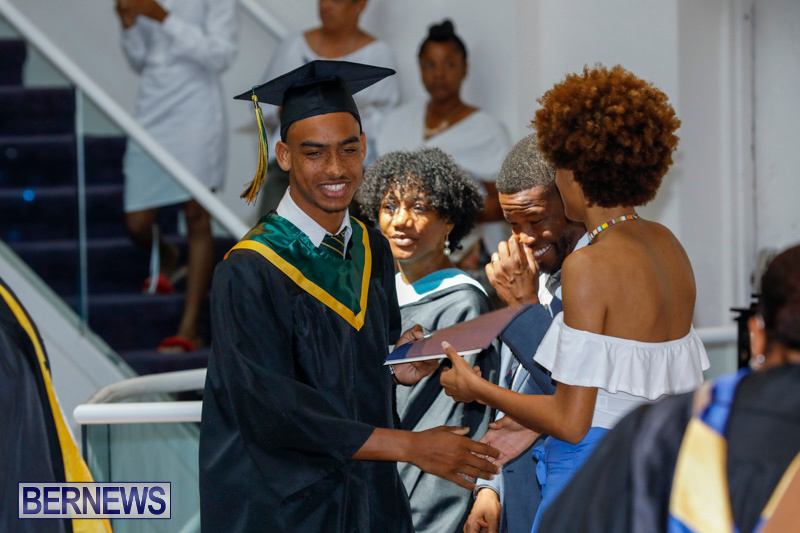 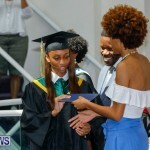 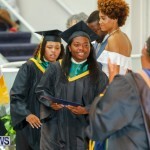 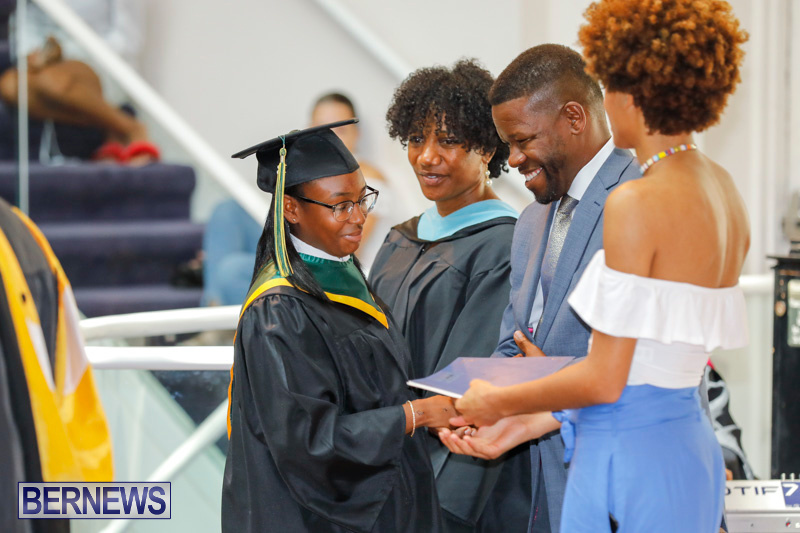 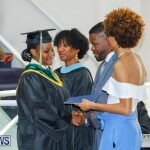 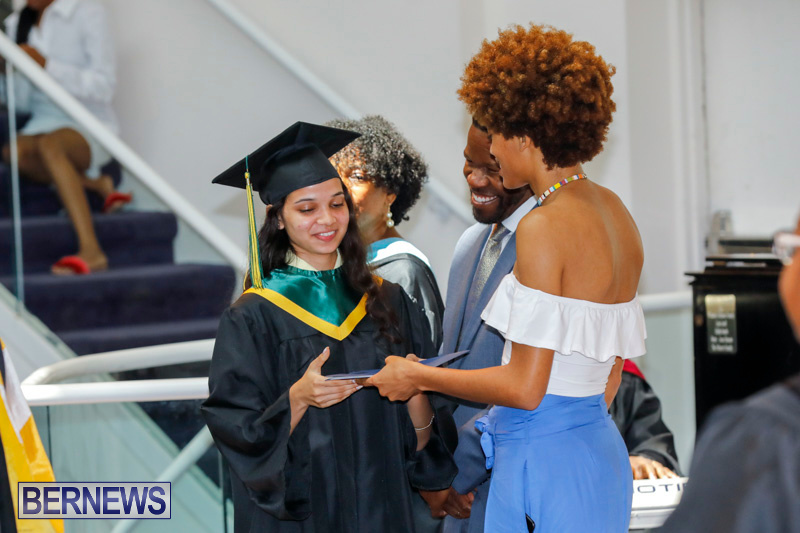 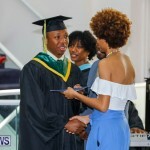 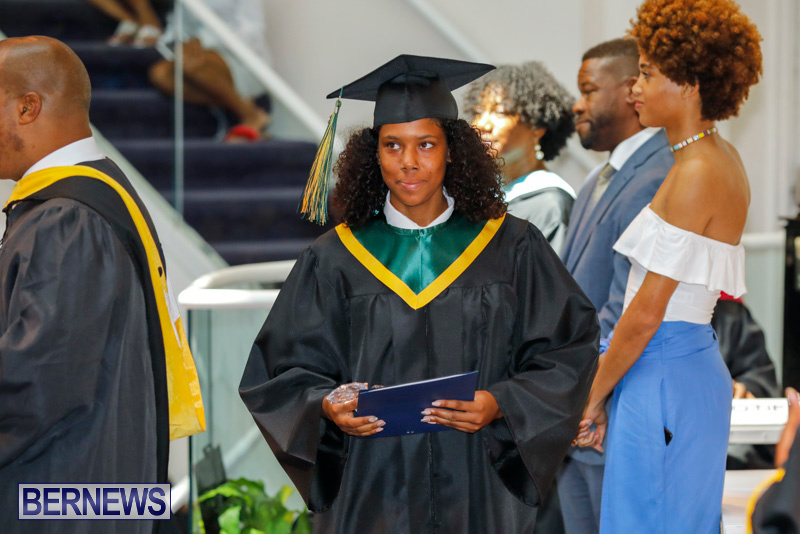 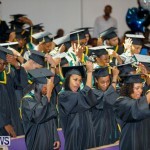 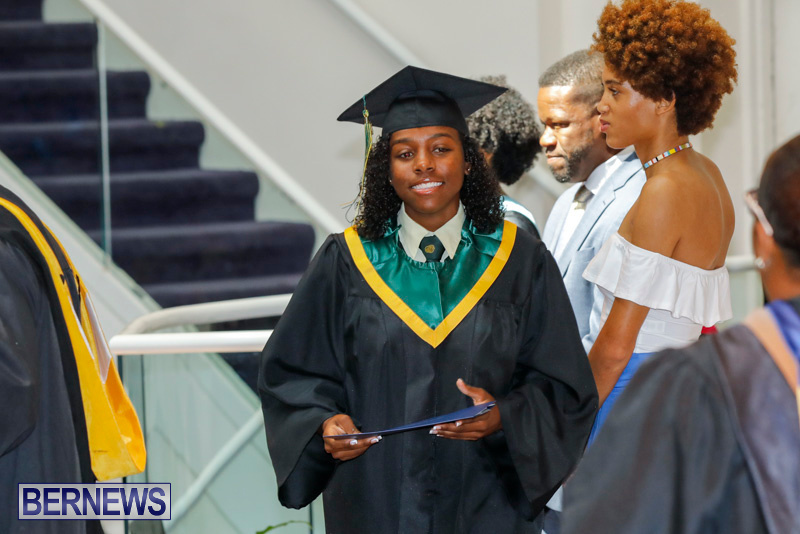 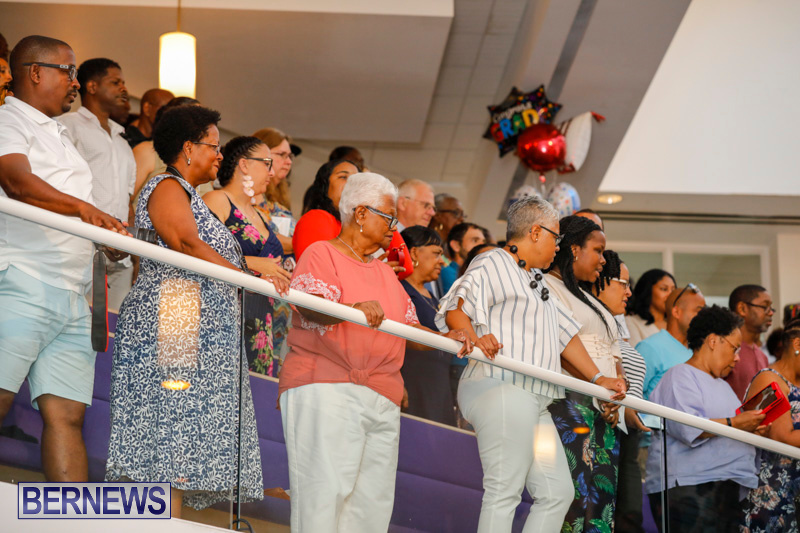 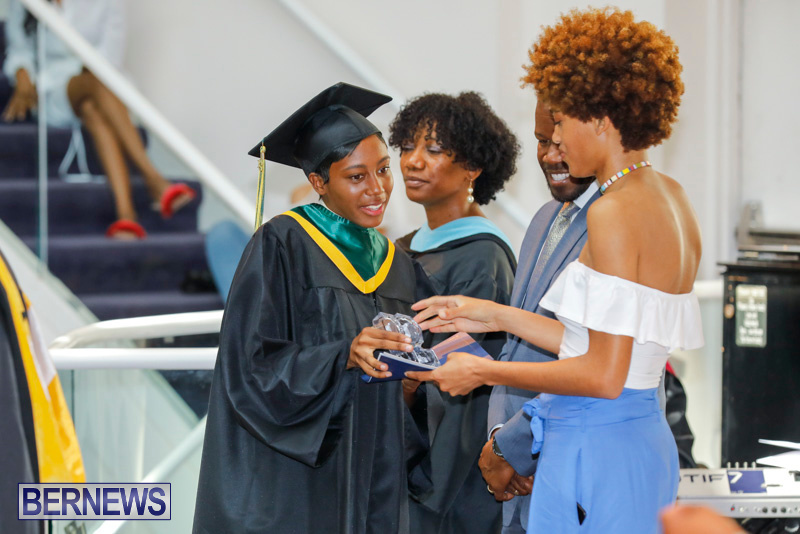 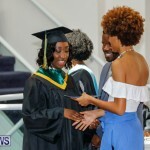 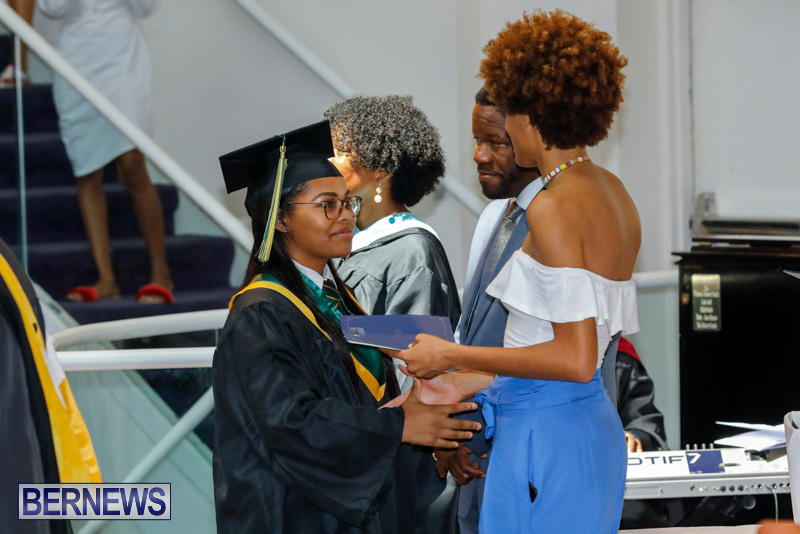 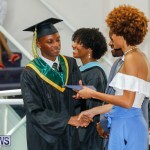 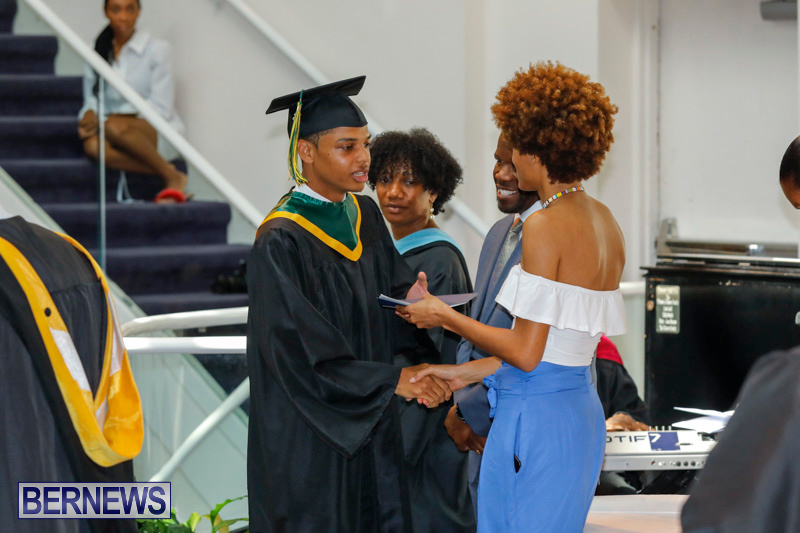 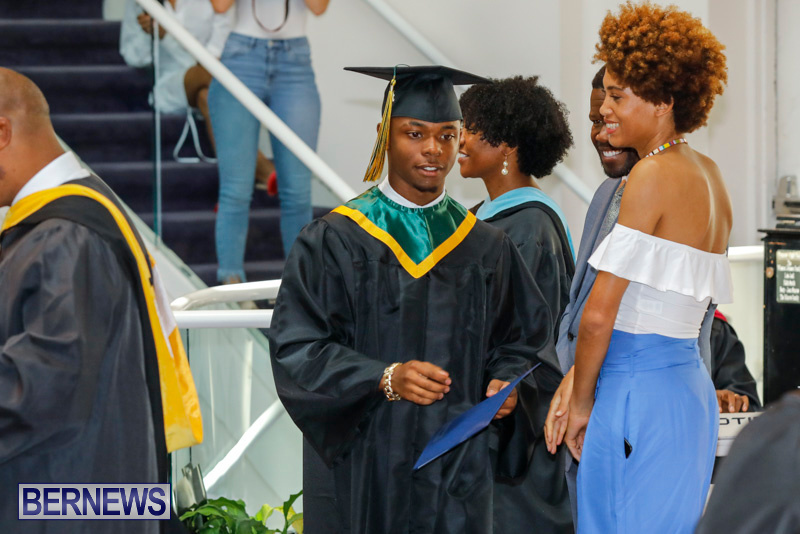 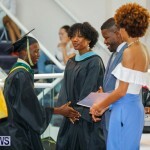 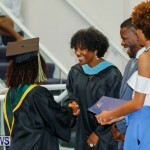 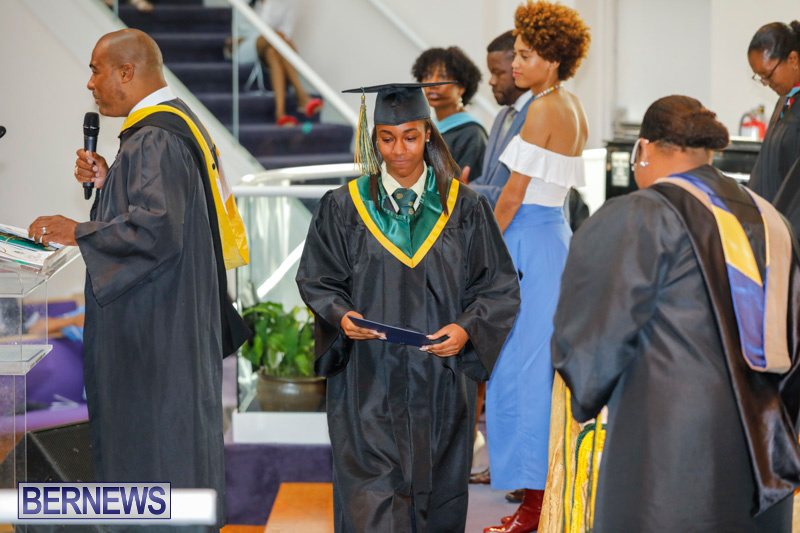 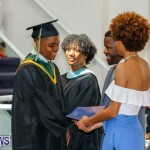 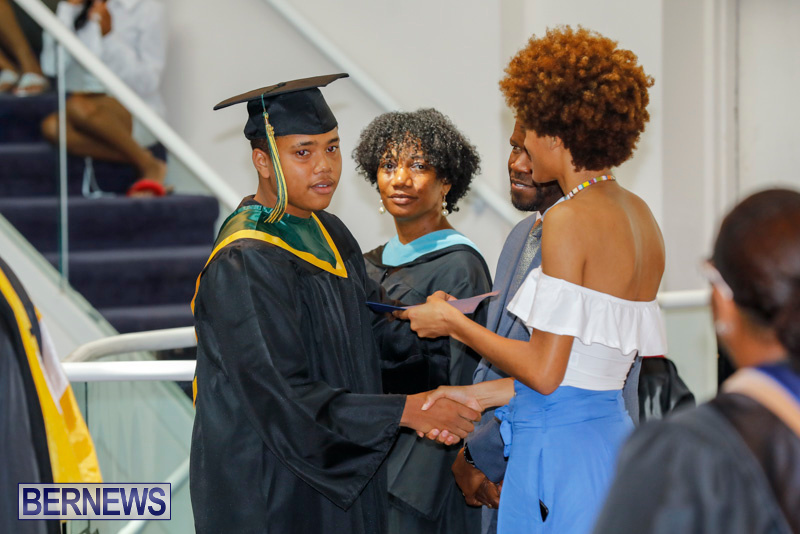 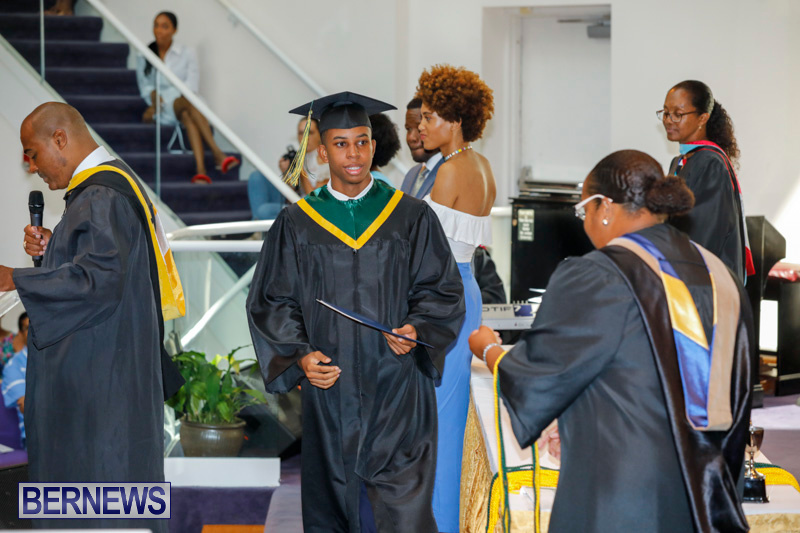 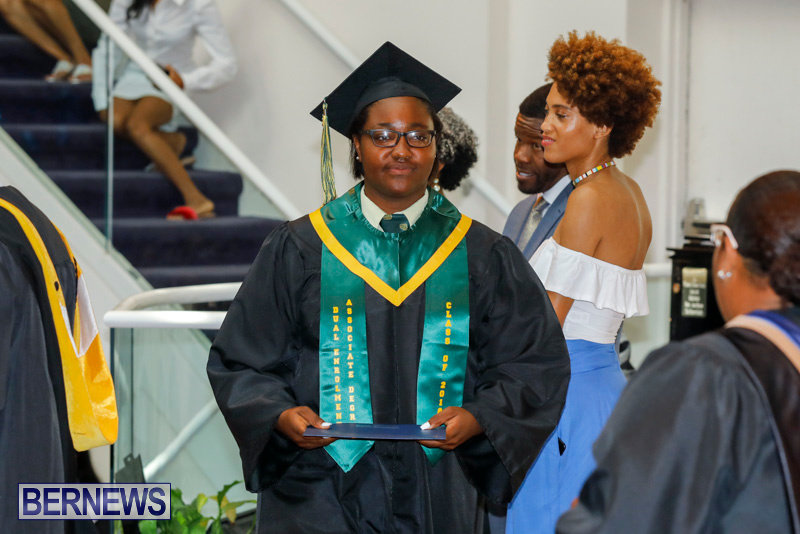 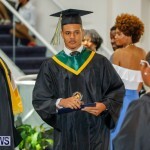 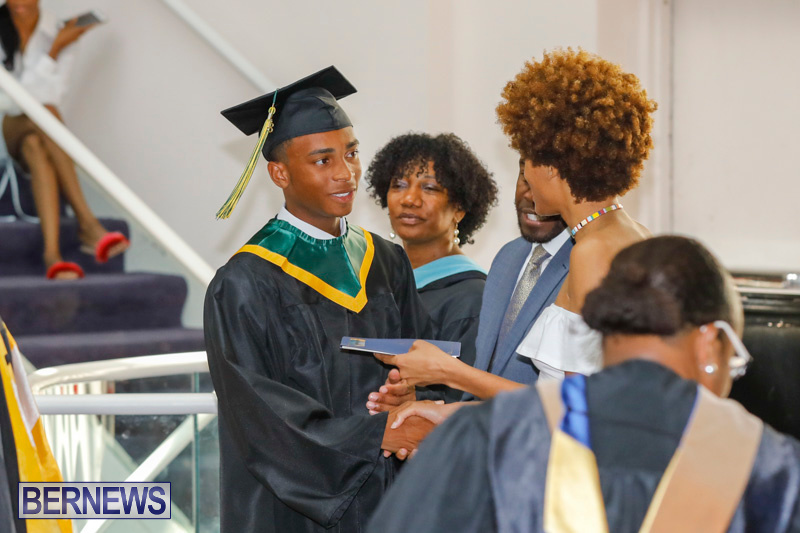 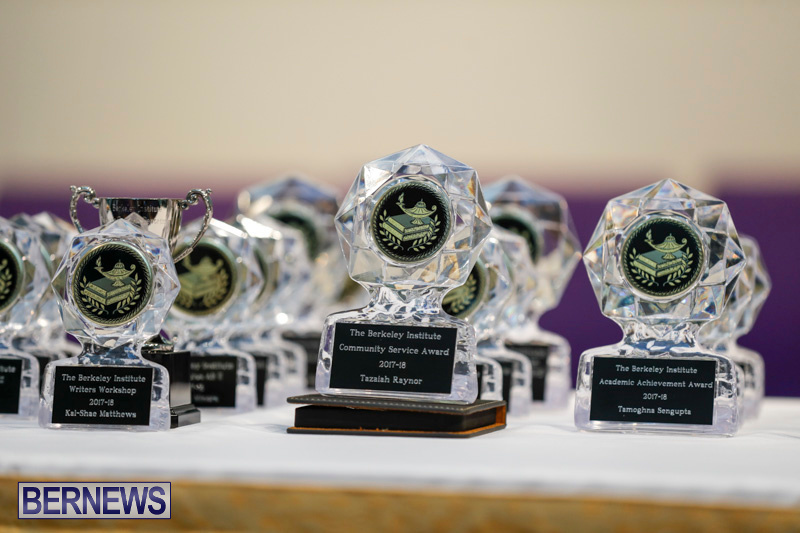 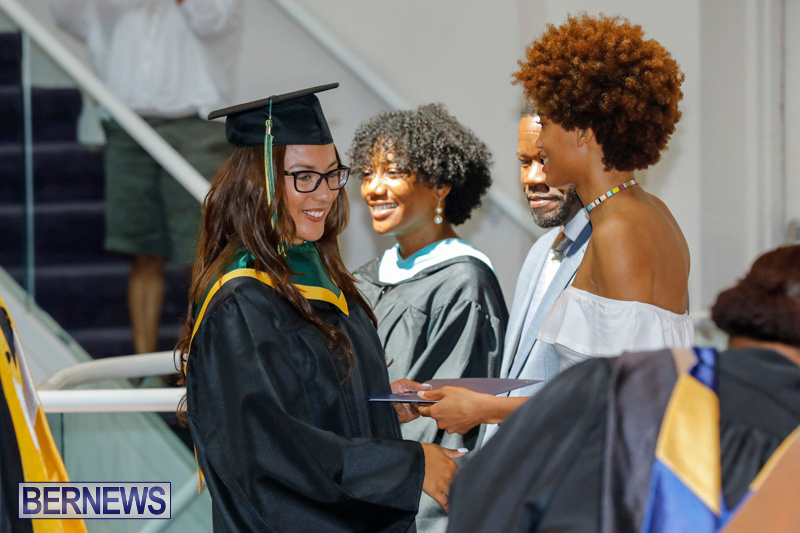 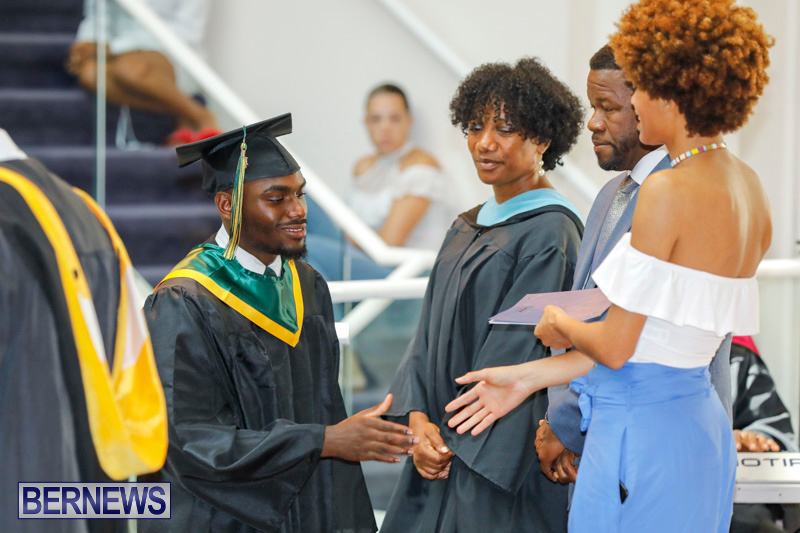 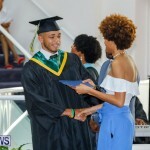 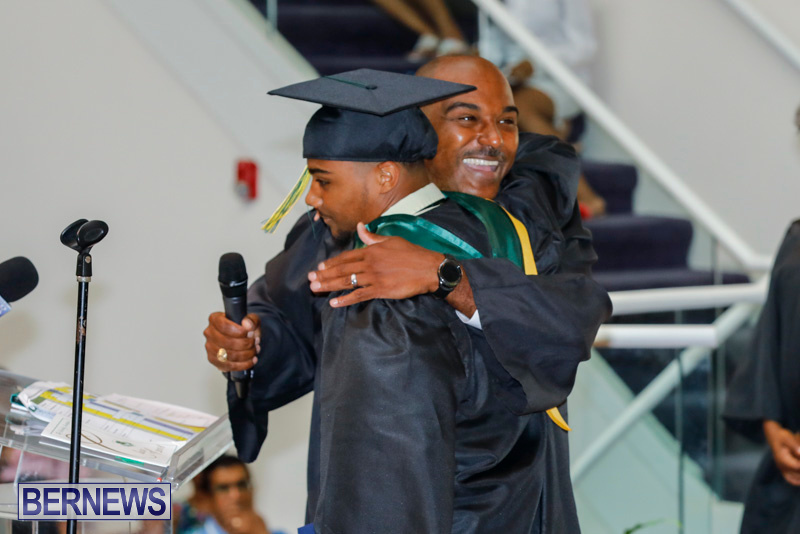 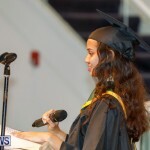 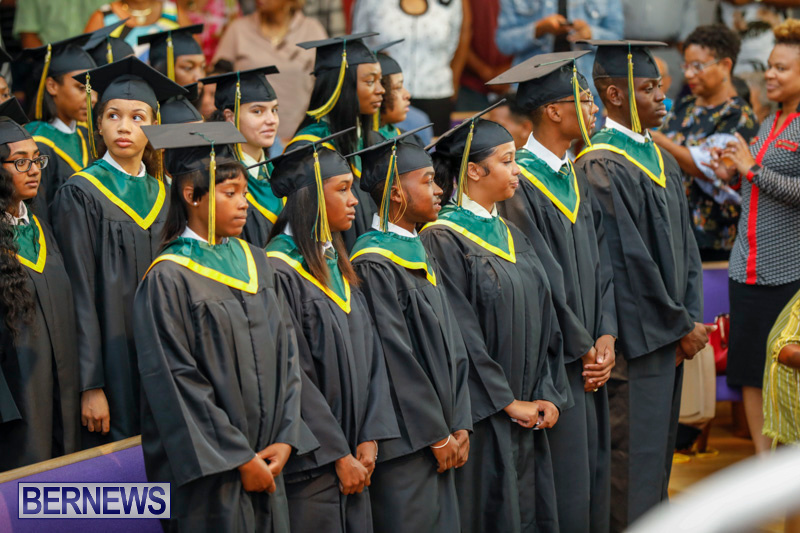 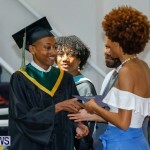 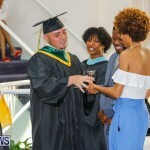 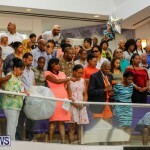 [Updated with photos] The Berkeley Institute is holding their graduation ceremony this morning [June 28], as students, faculty, family and friends gather to commemorate a milestone in their educational endeavors. 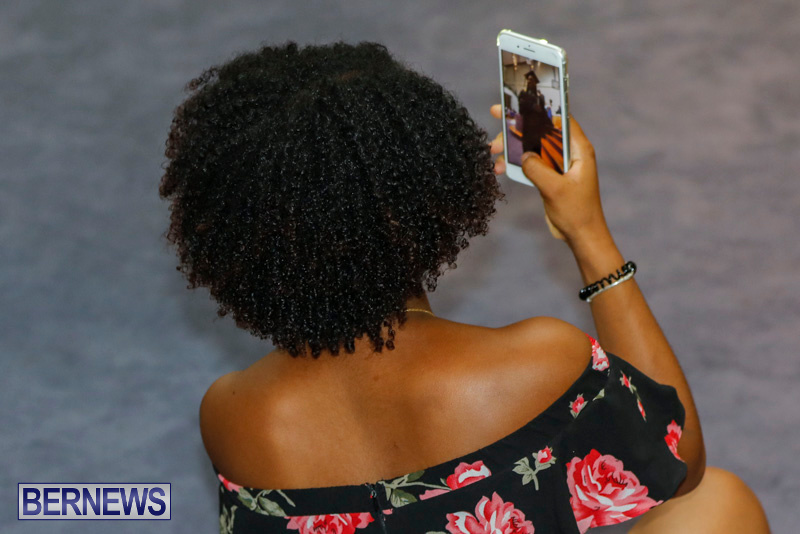 We will have additional information later on, and in the meantime the two hour live video replay is below. 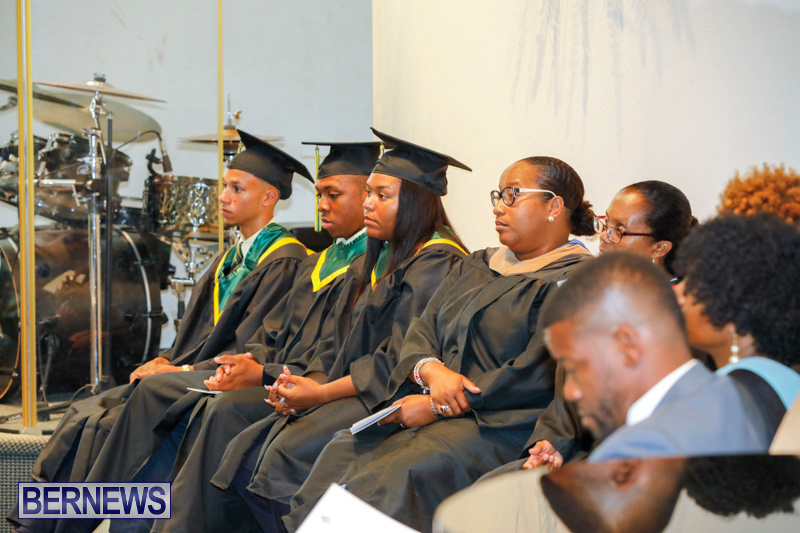 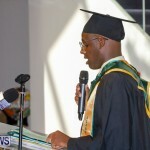 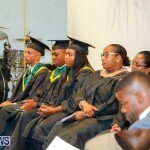 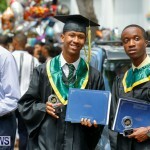 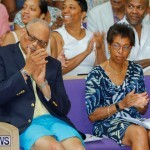 The ceremony was attended by dignitaries including Premier David Burt, Minister of Education and Workforce Development Diallo Rabain, Opposition Leader Jeanne Atherden, Shadow Education Minister Cole Simons, Minister of the Cabinet Office with Responsibility for Government Reform Lovitta Foggo, Junior Minister of Disability Affairs Tinee Furbert, Acting Commissioner of Education Kalmar Richards, Berkeley Institute alumnus MP Chris Famous and more. 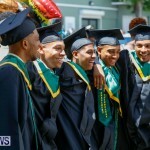 Very nice, now I hope they can find jobs or create their own.